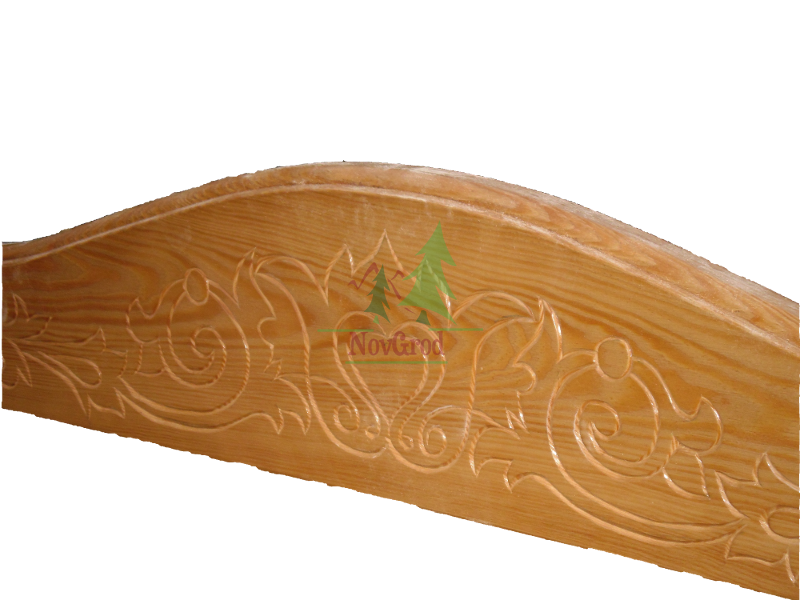 Only natural products - proven by more than one century. 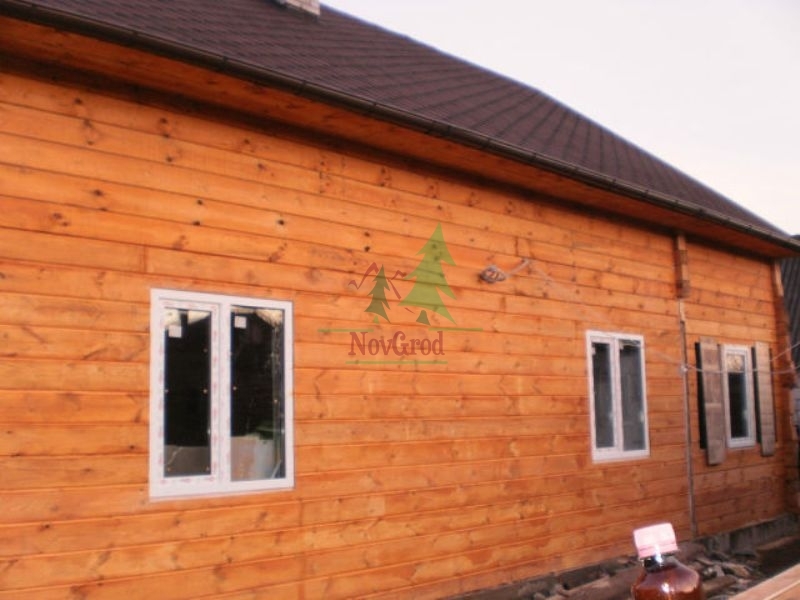 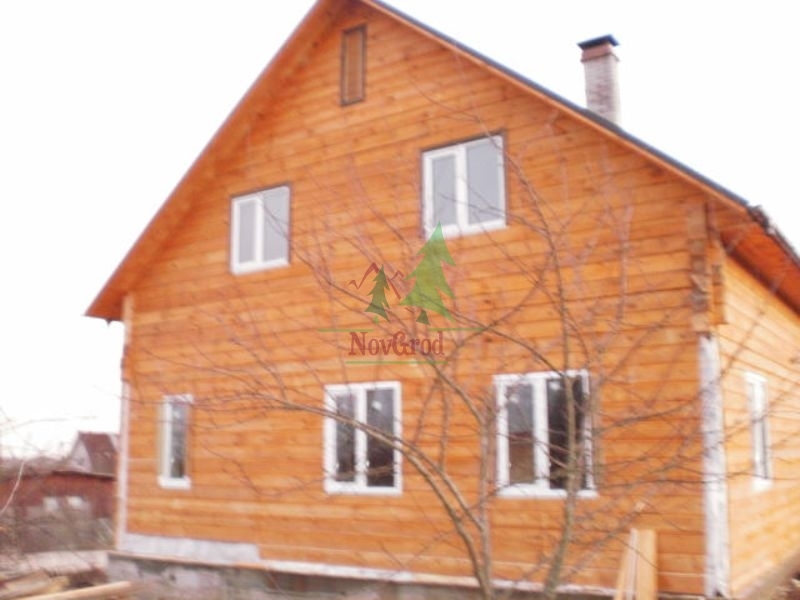 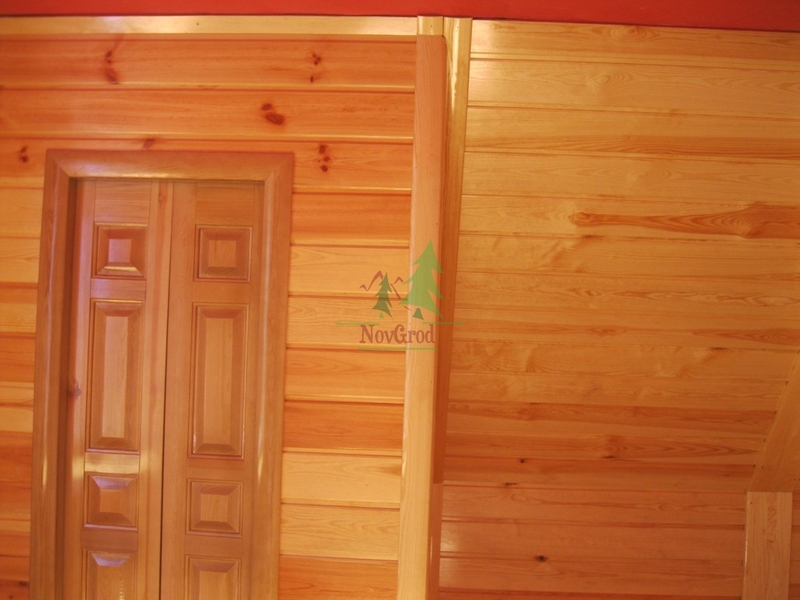 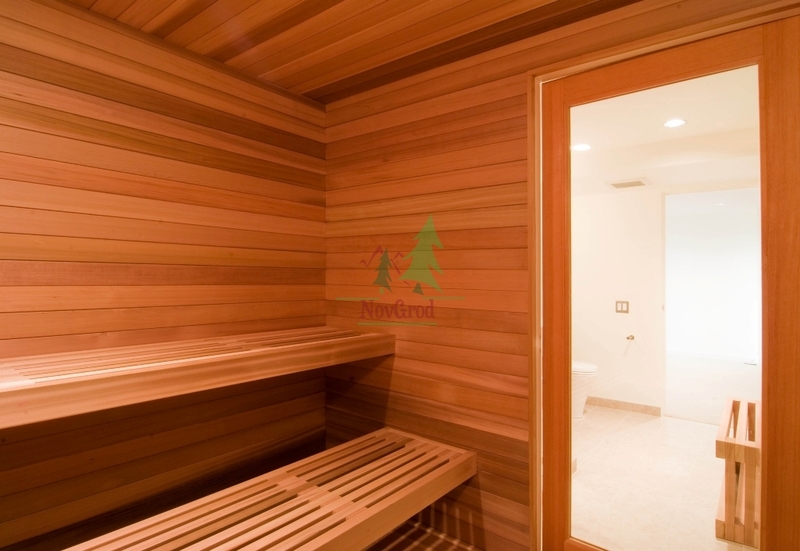 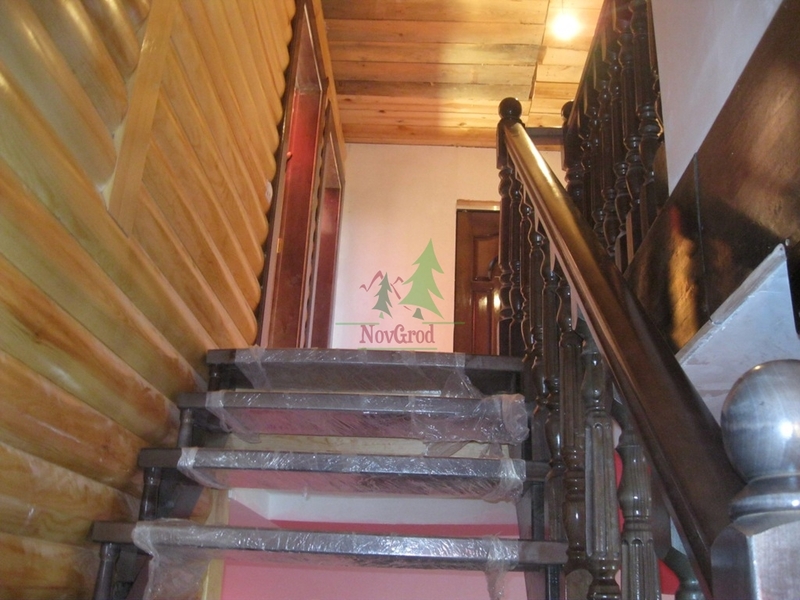 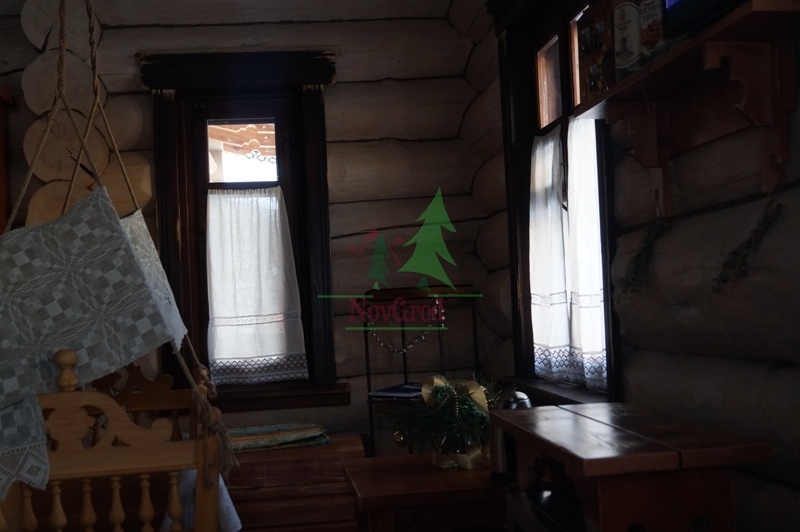 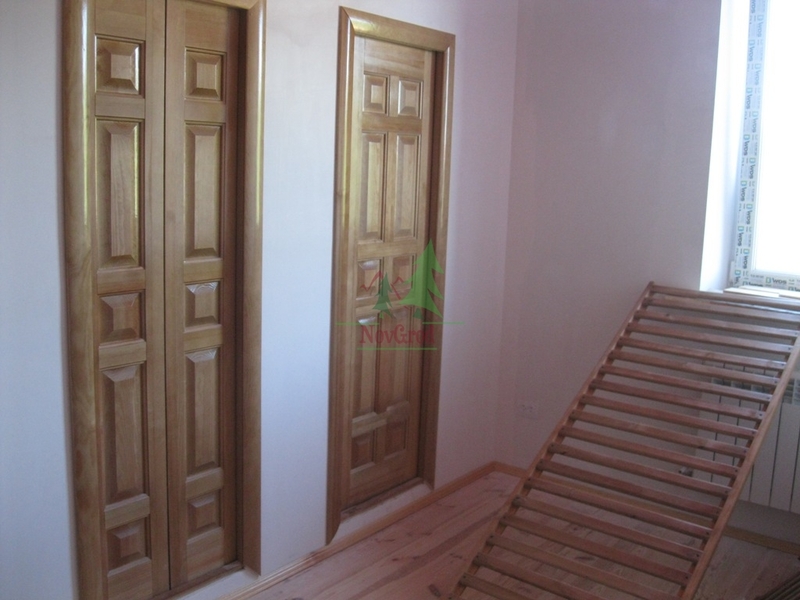 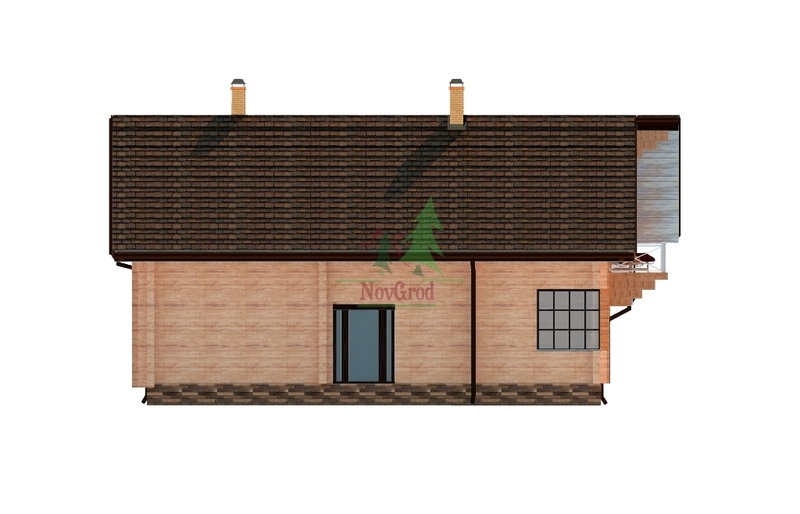 Our company"NovGrod" It specializes in the production of wood products, creating today from small parts of the interior and finishing fully completed condominium. 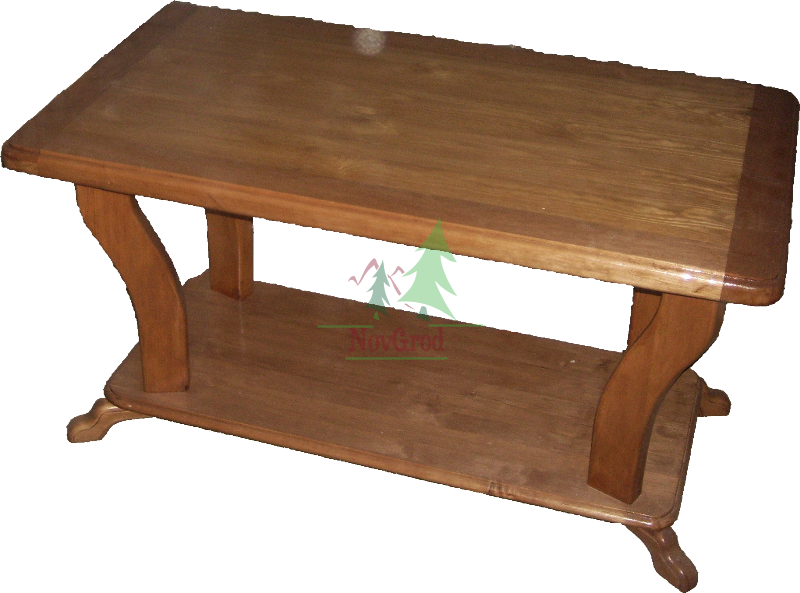 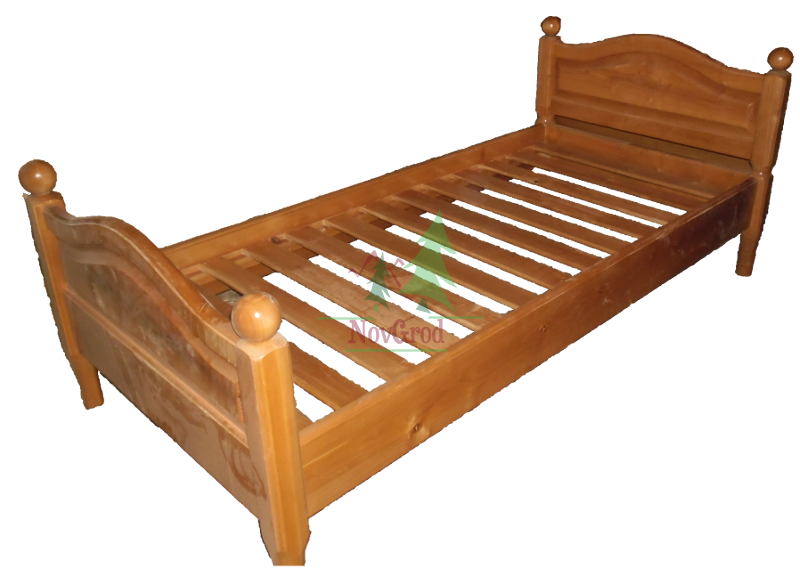 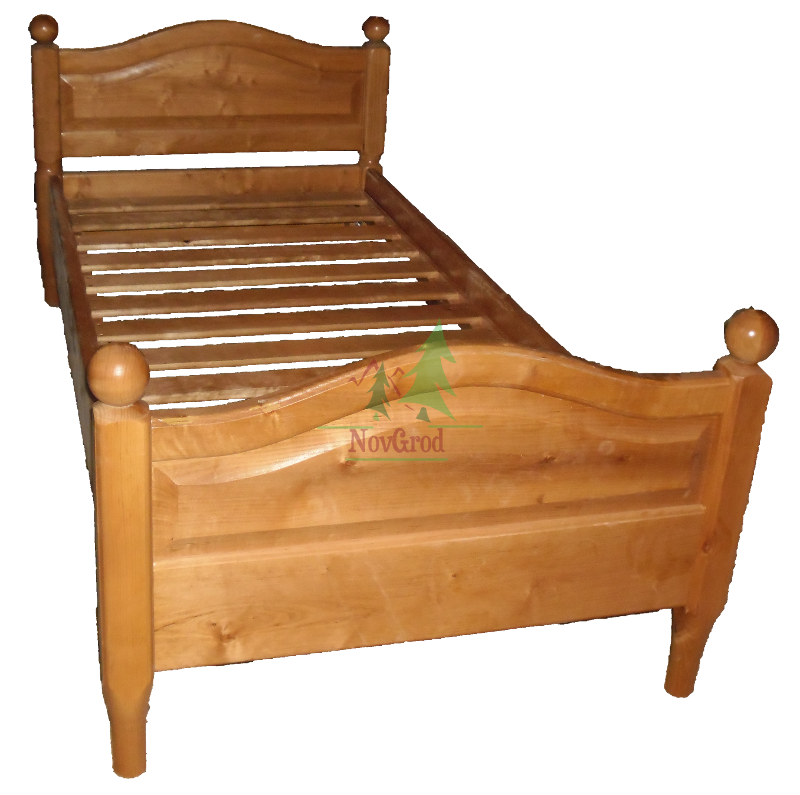 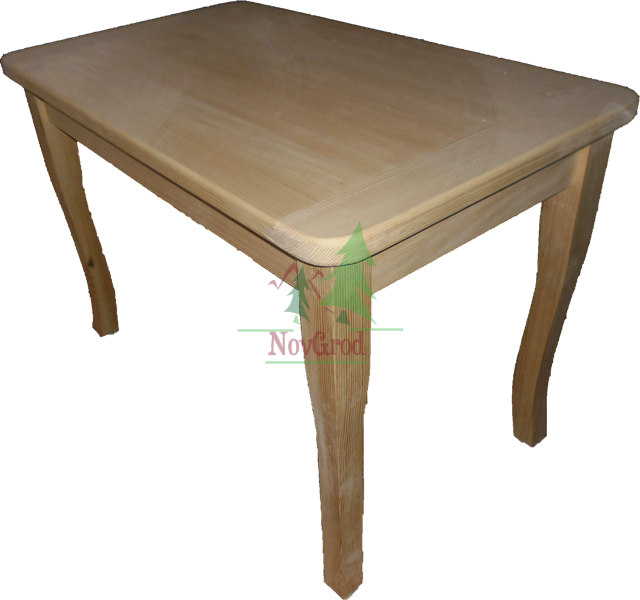 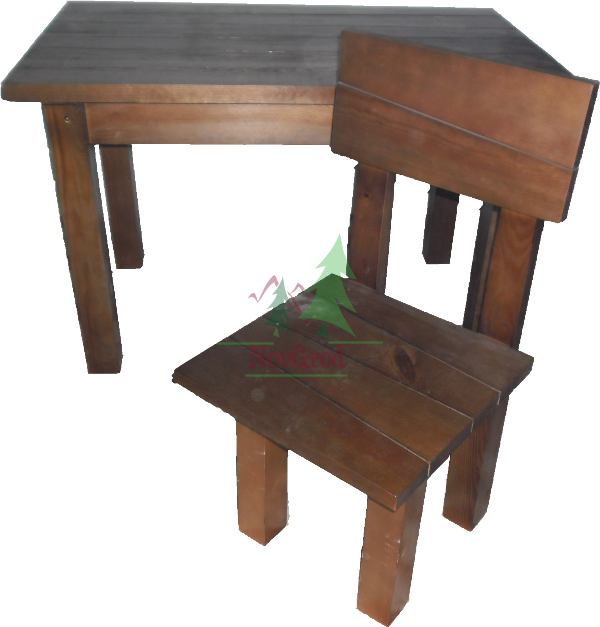 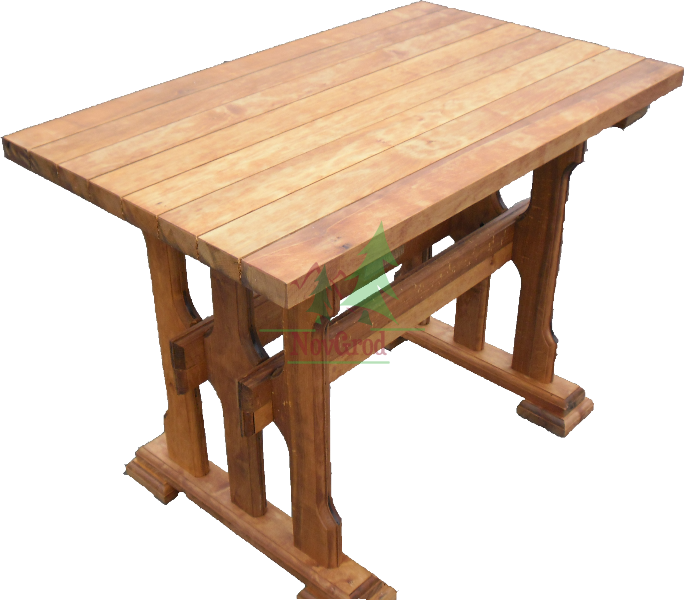 We produce home furniture, kitchen furniture, bedroom furniture, living room furniture, furniture for children, garden furniture, garden decoration, summer houses, wooden houses, frame houses, saunas, pergolas and more. 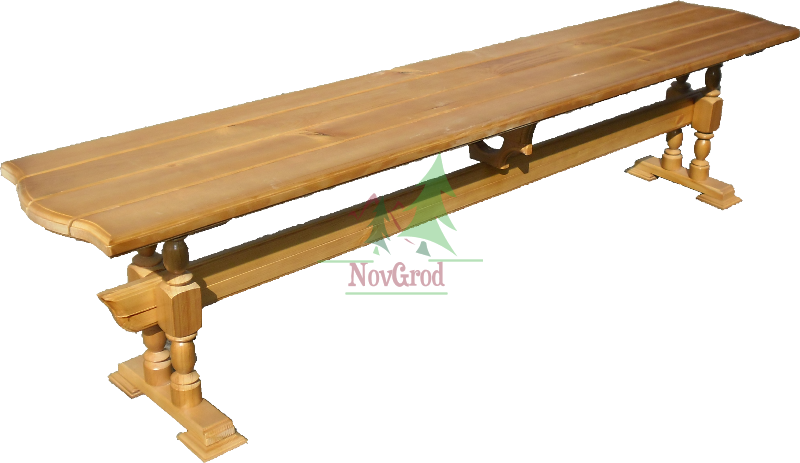 The company «NovGrod» is located in the Eastern part of Europe and is considered international. 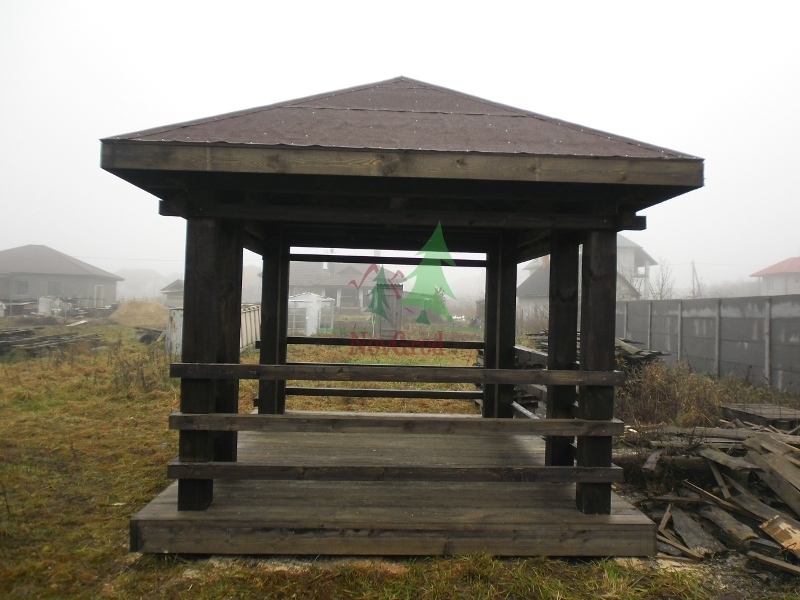 Our markets are today both Europe and Asia. 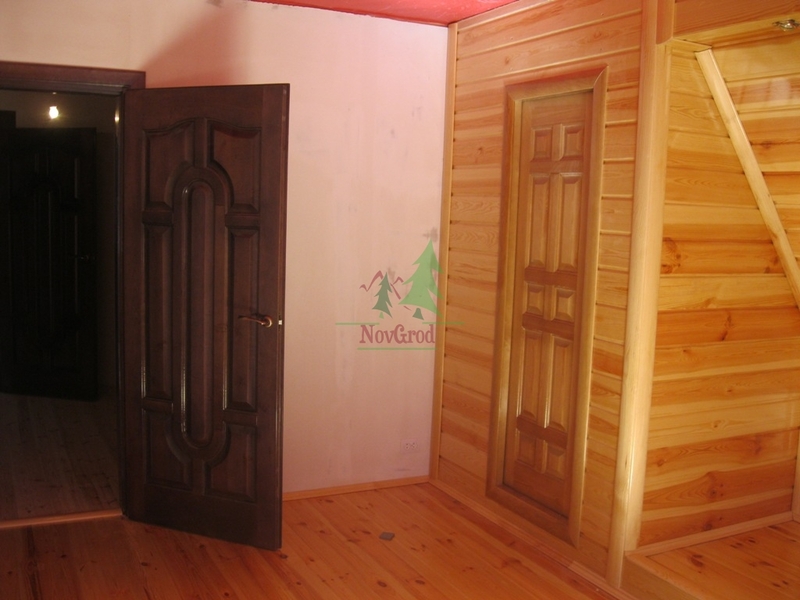 Currently, the company's staff to be at the level of more than 50 people and is located in more than two countries. 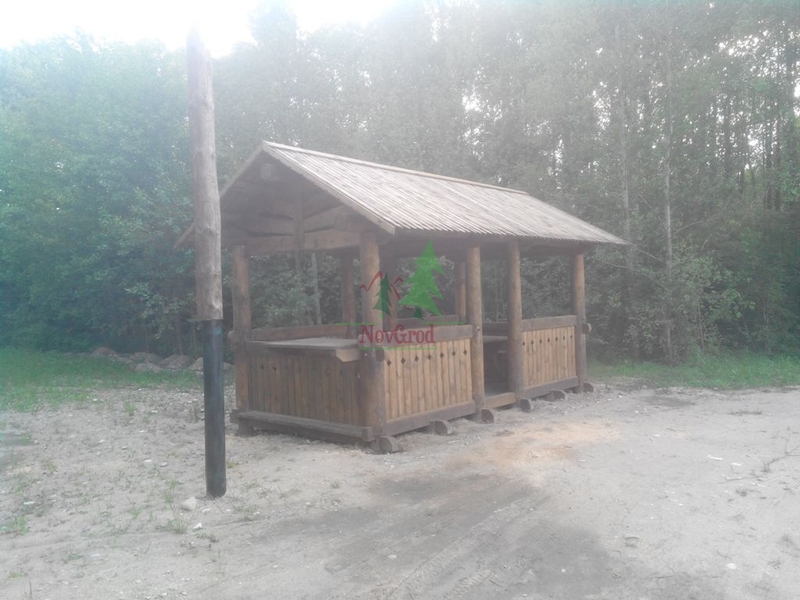 With the new automation and simplification of production we were able to minimize the whole process of production and sale of finished projects. 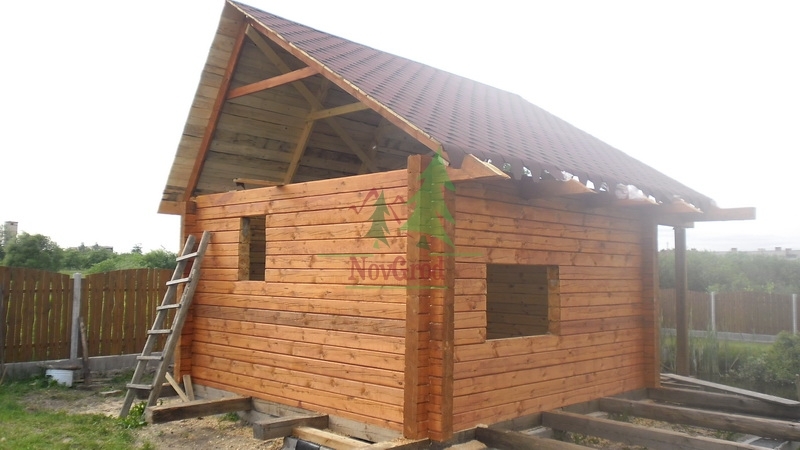 At the initial stage of establishment of the company staged two directions: to create a completely safe and environmentally friendly products and to reunite the old school building of wooden houses and modern technology. 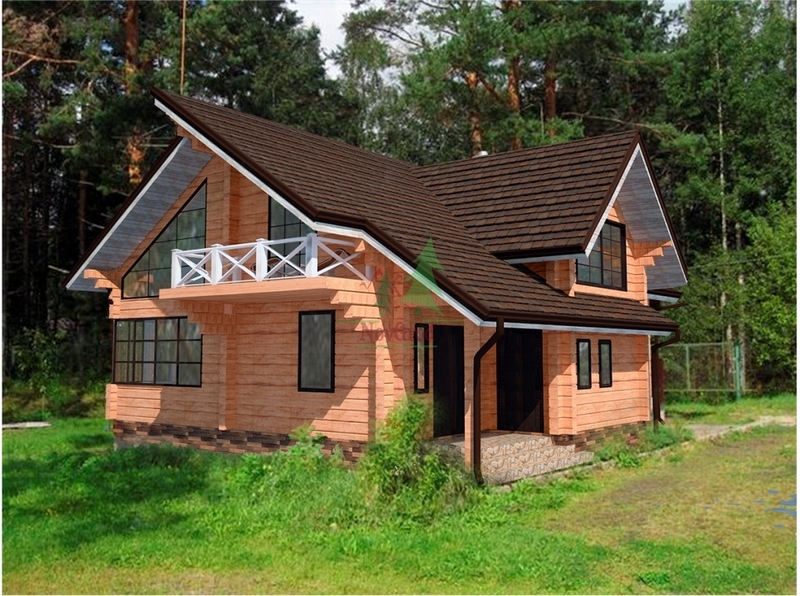 To date, the efforts we succeeded to create. 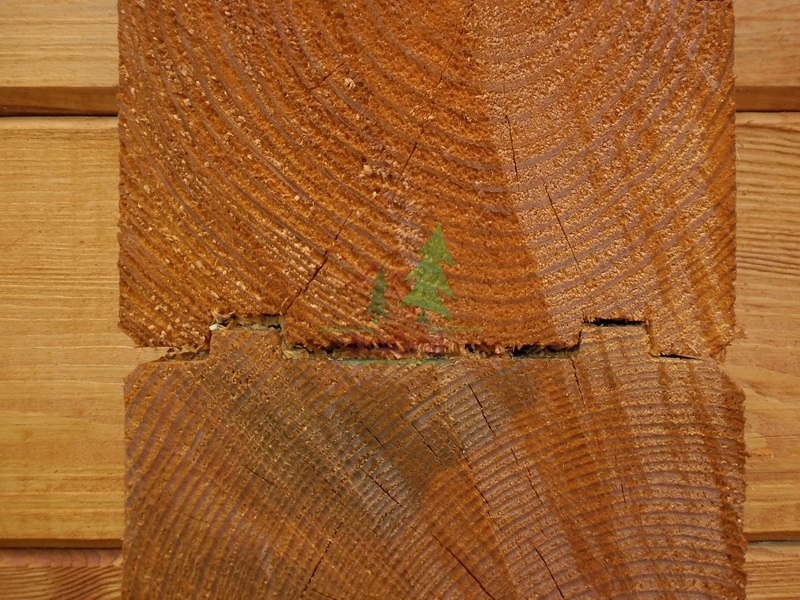 We work with this slogan today. 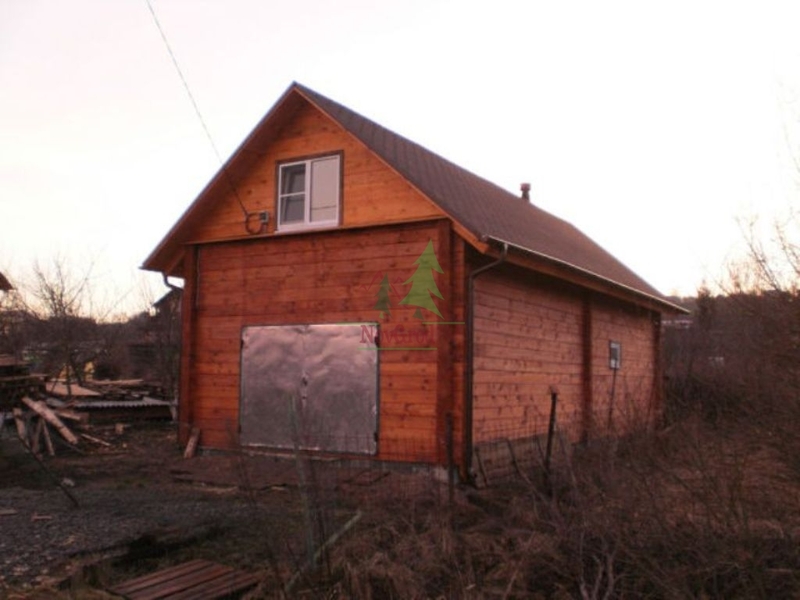 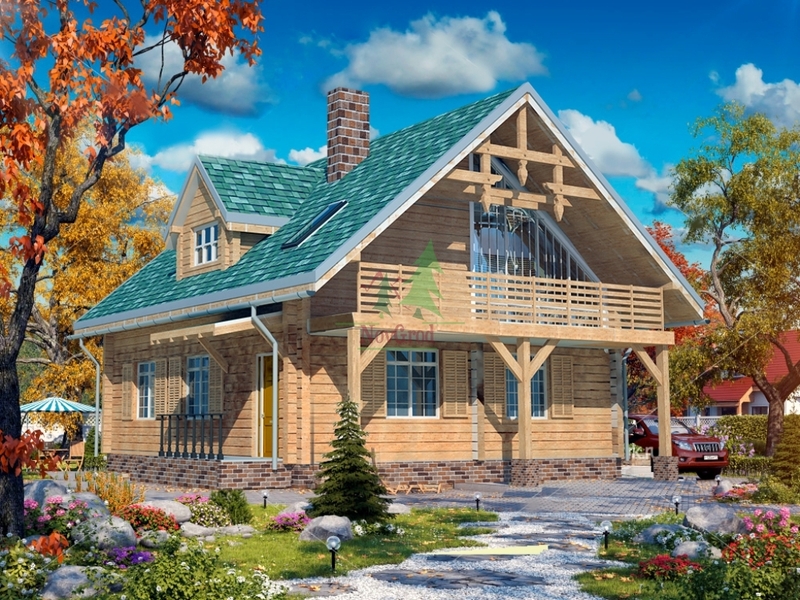 Construction of wooden houses, has now become an entire science. 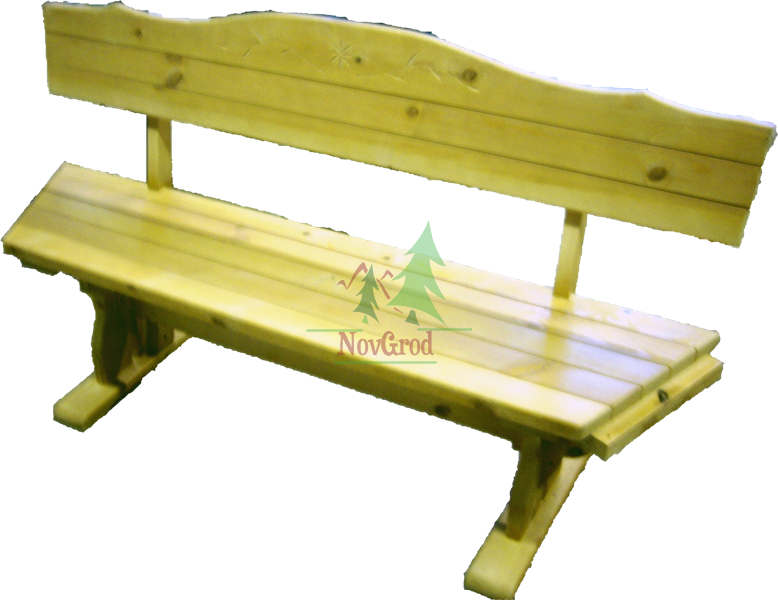 The man who thinks he knows all about the wood today, in fact, do not know not what. 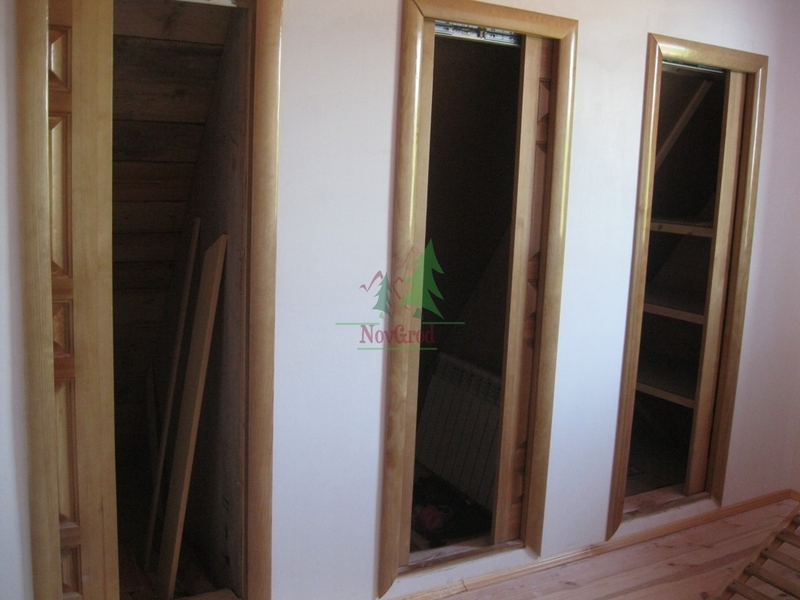 In this trade there is a huge experience in the nuances. 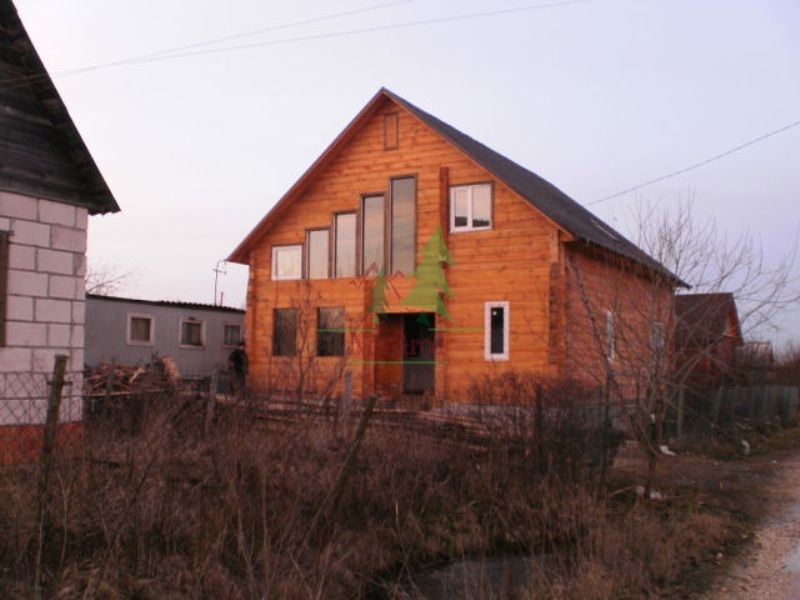 Today, we are specialists, whose profession is building wooden houses passed from generation to generation. 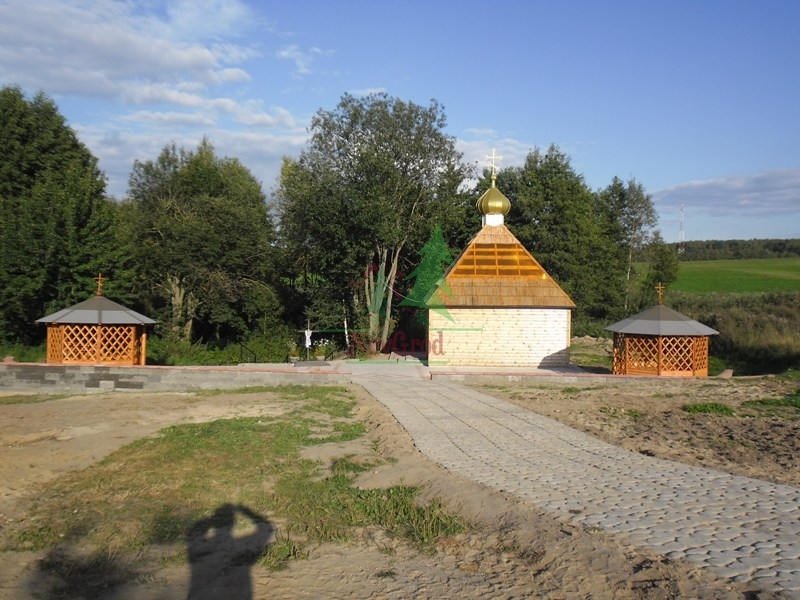 Not only can they create unparalleled and unique things, but also to correct the work of self-taught. 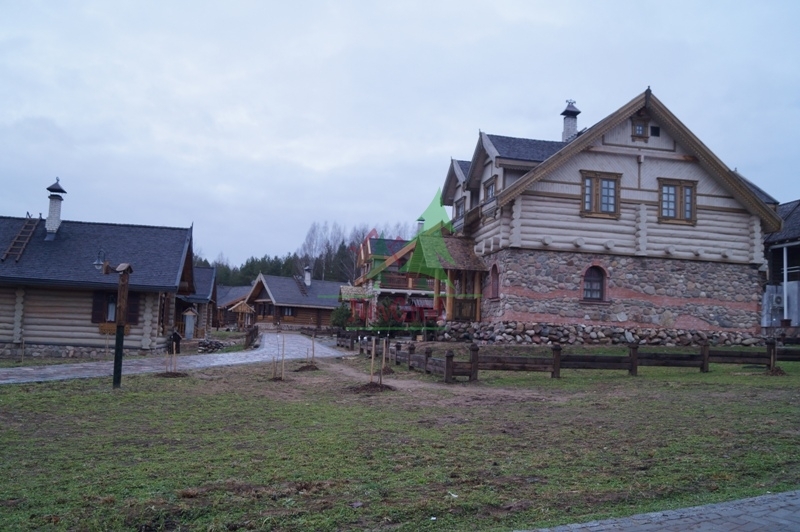 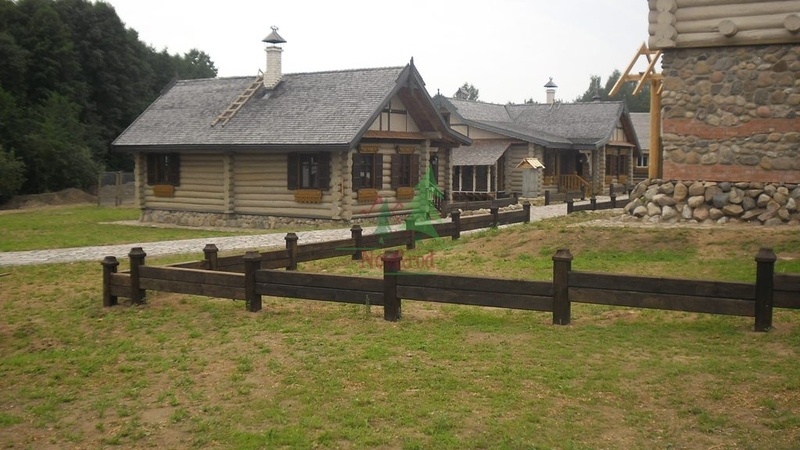 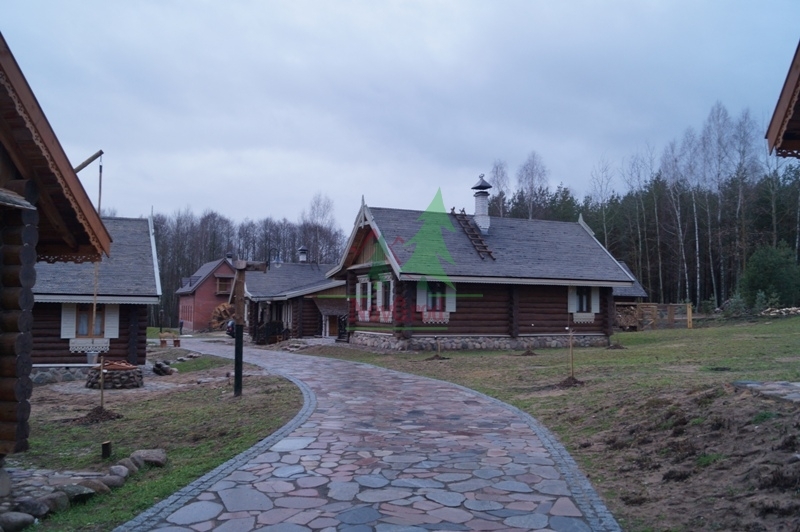 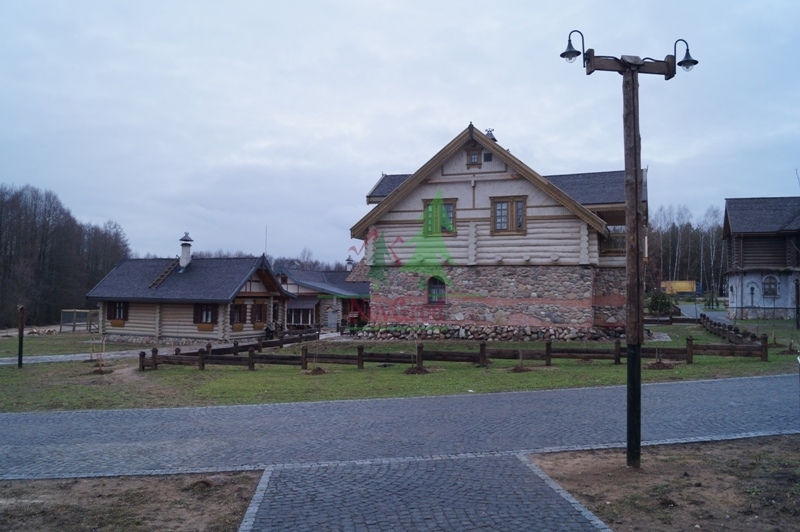 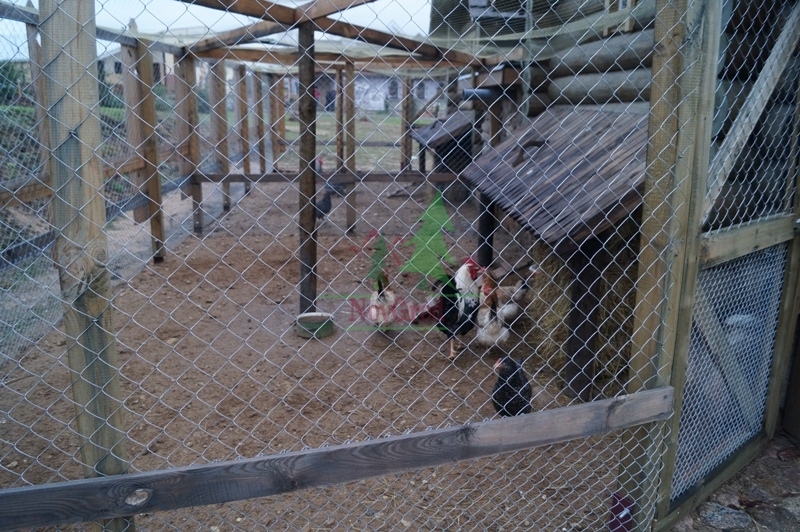 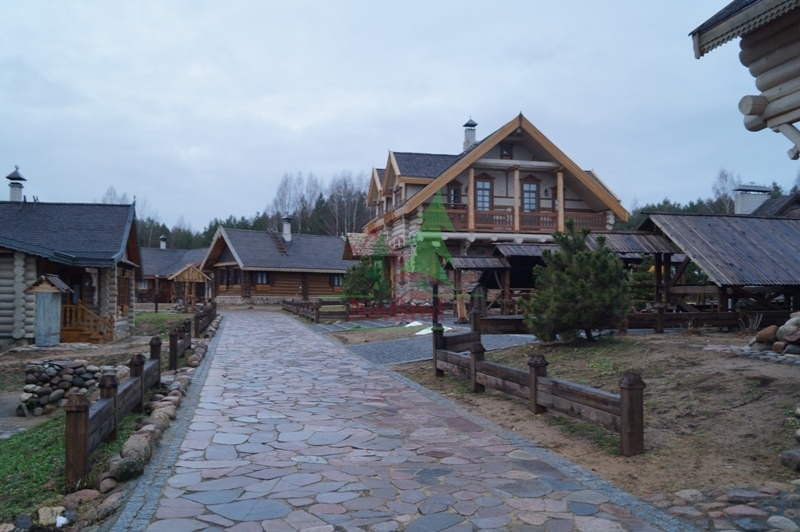 The main production facility is located in Western Belarus, in a unique natural setting, away from the big cities. 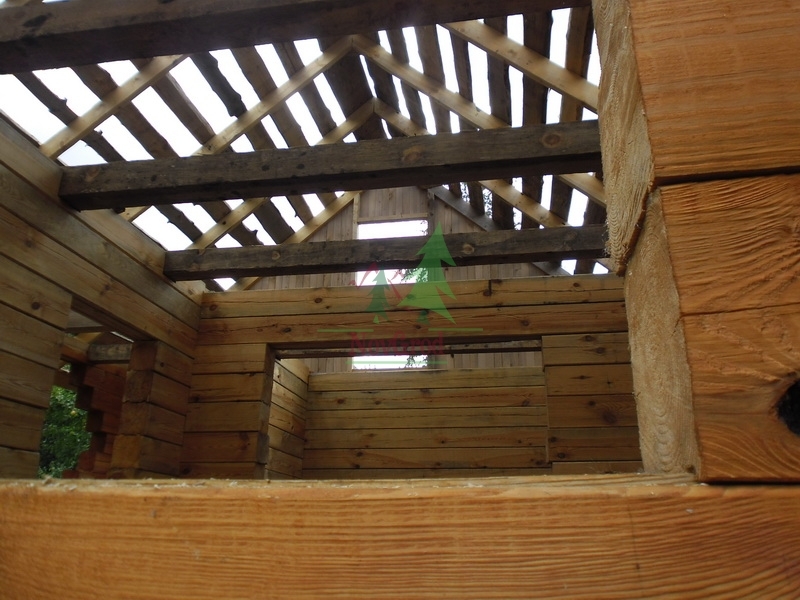 We have subjected all the stages of production. 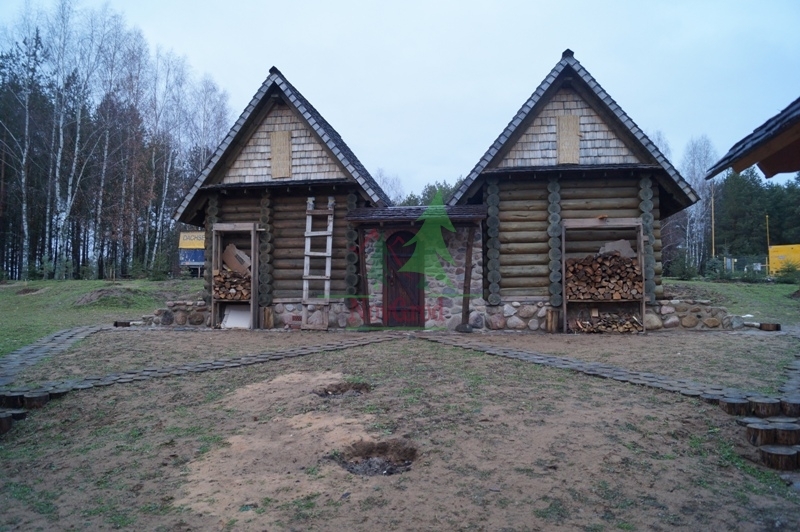 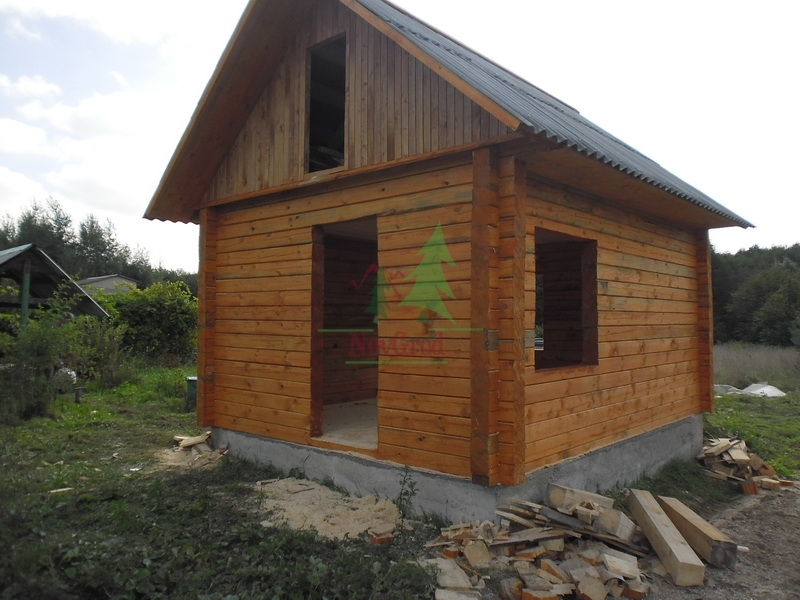 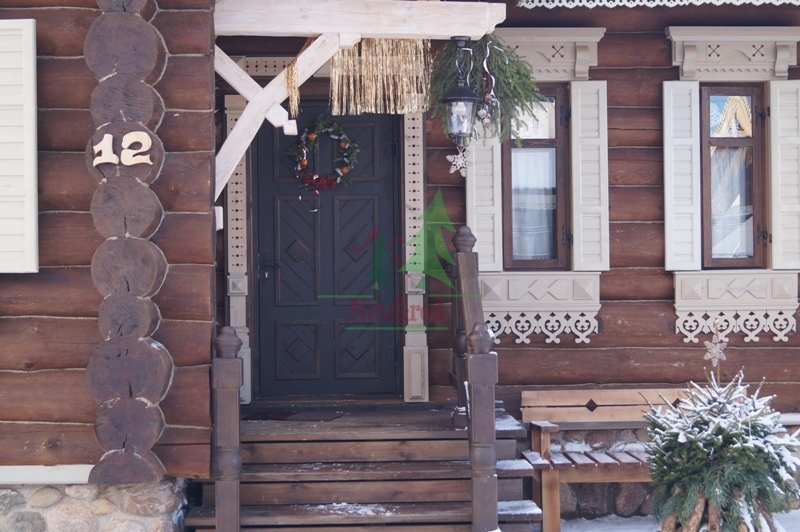 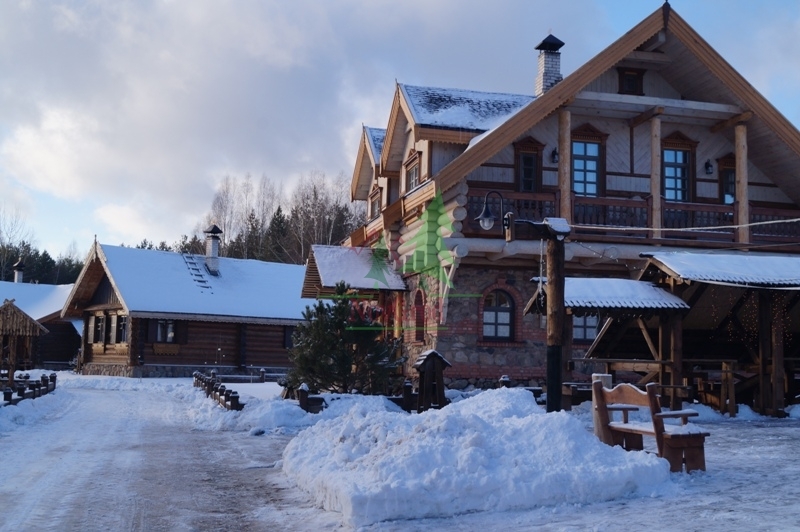 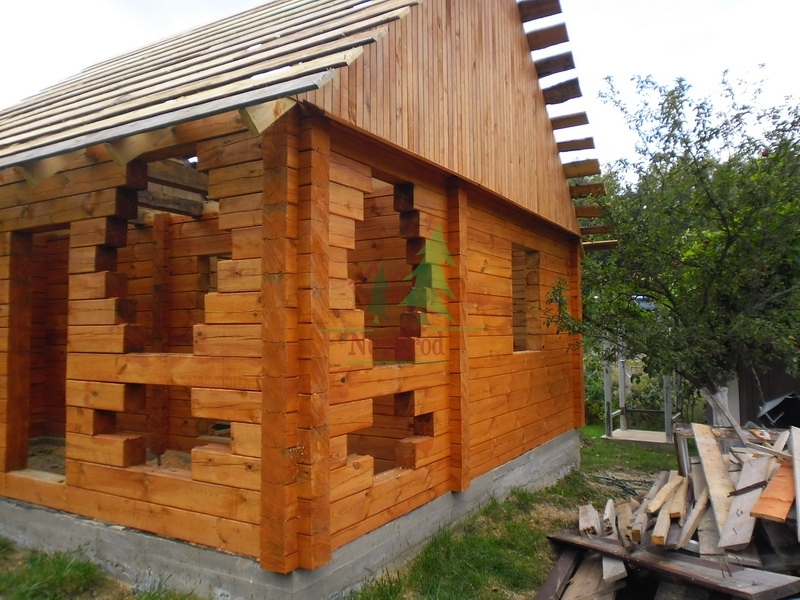 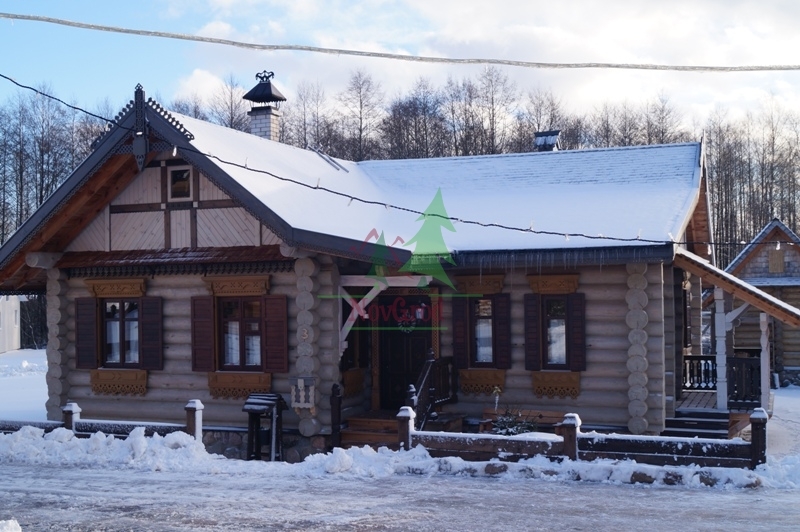 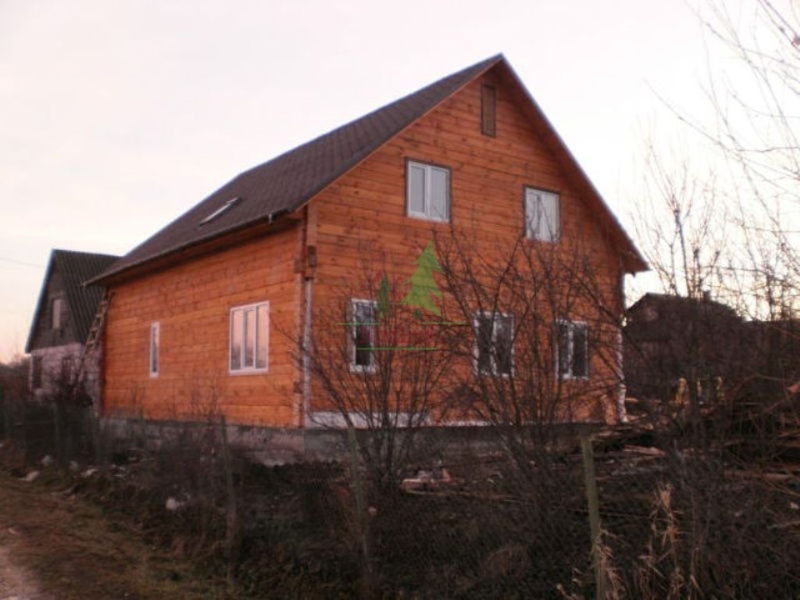 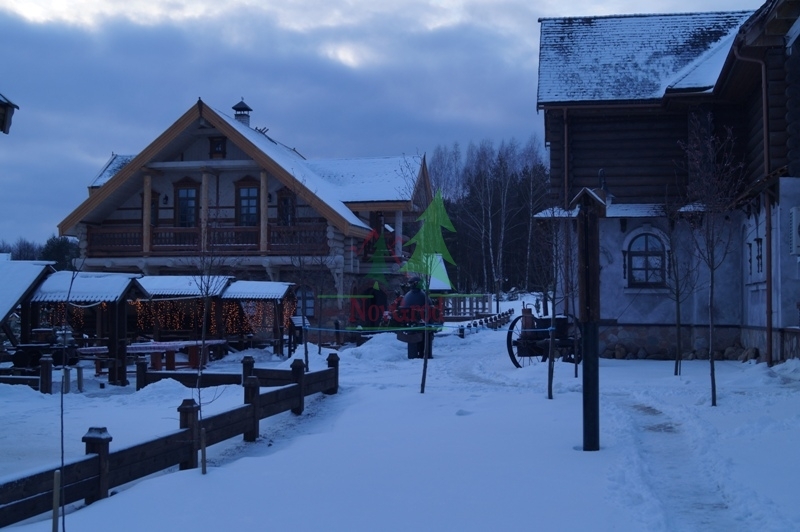 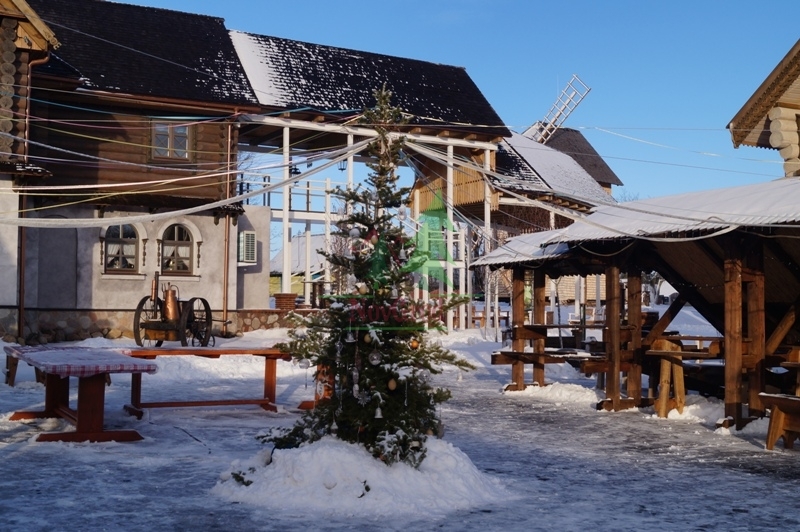 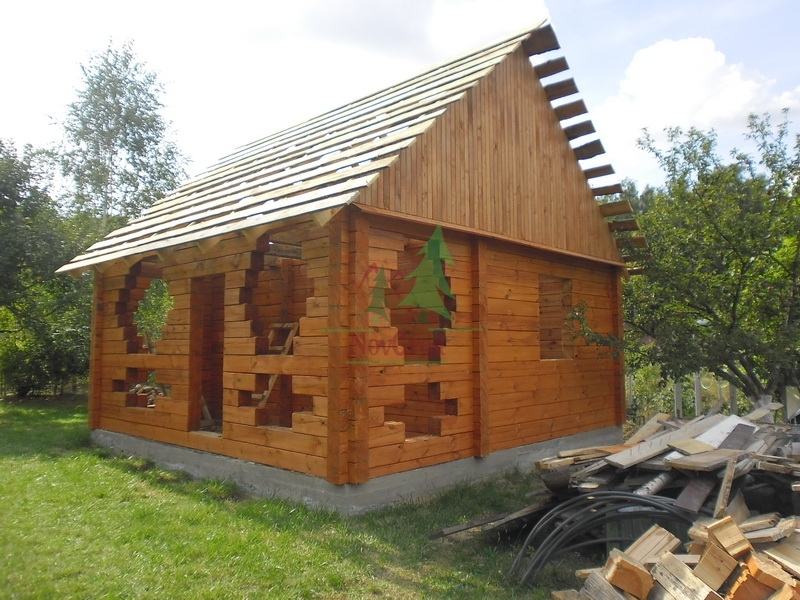 Starting from the beautiful winter forest felling, which is ideal for the construction of wooden frames to complete the manufacture of wooden houses turnkey and furniture. 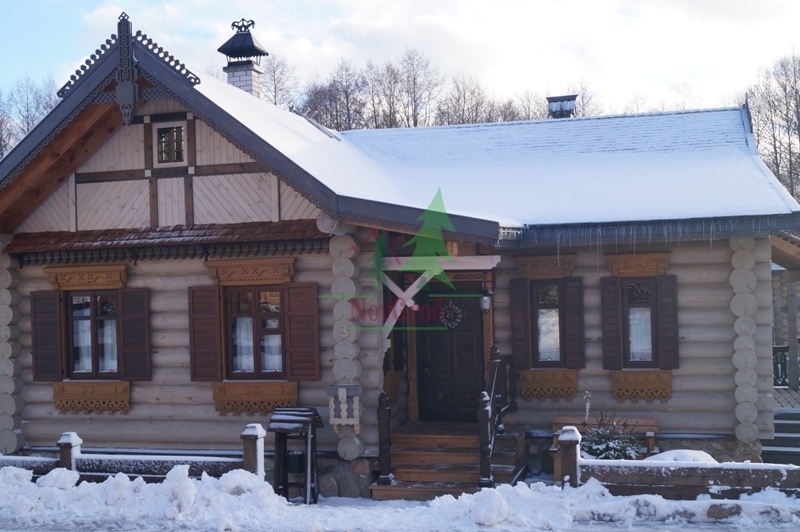 Our offices are also located in Siberia, where is the most severe forest planet. 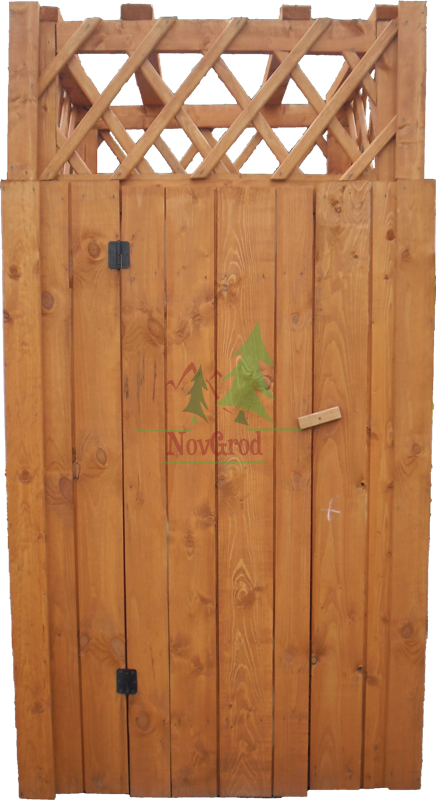 Today, we choose the best wood in Eastern Europe. 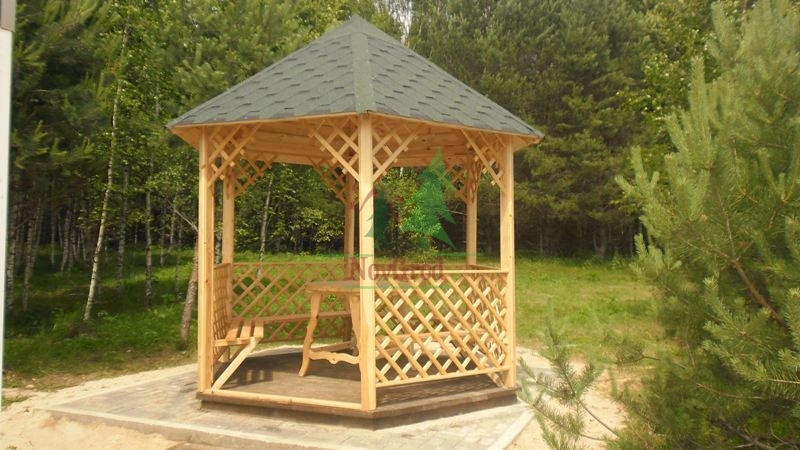 Forest are not affected by natural factors and time. 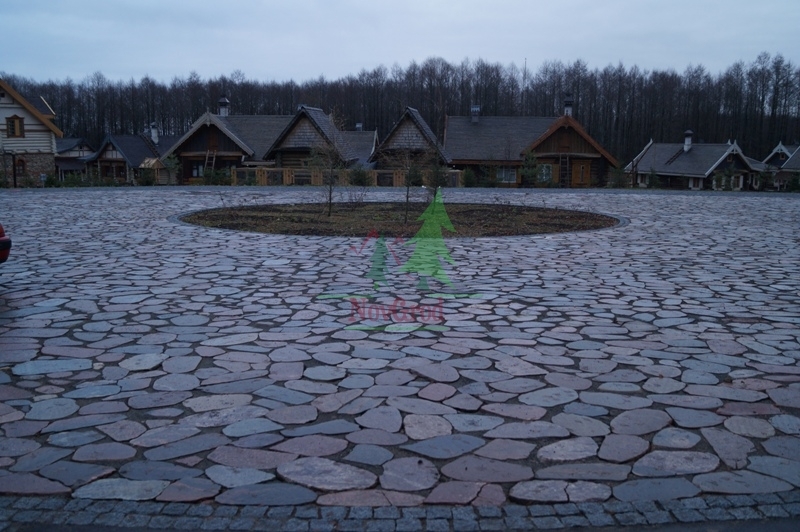 Used today, trees, spread not only throughout Eurasia, but also "left" on other continents. 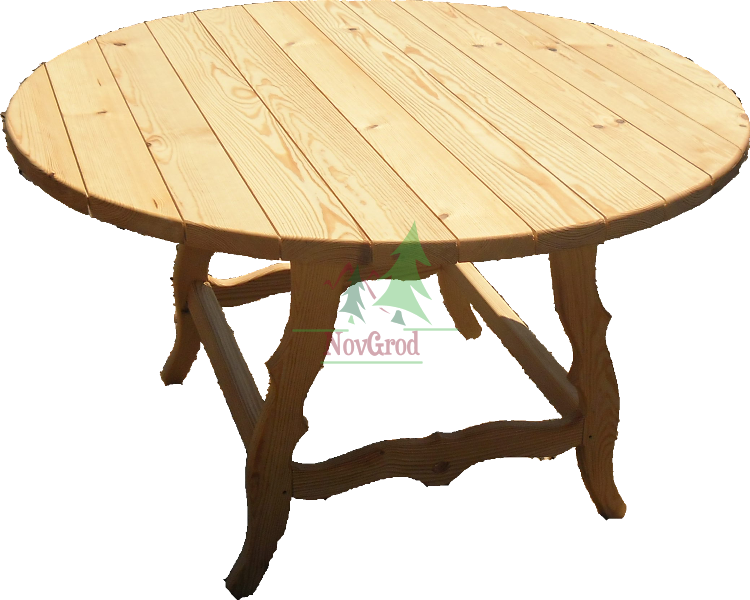 The company, founded in 2009, brings together the best professionals in the region, each year increasing its power and industrial strength. 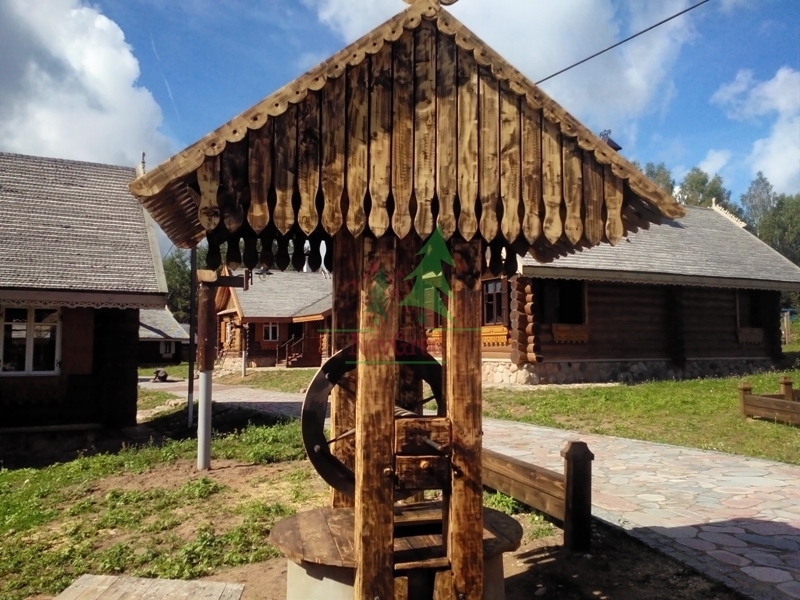 The main purpose in creating the company was to gather all the professionals and using the latest advances in the industry create a real work of art. 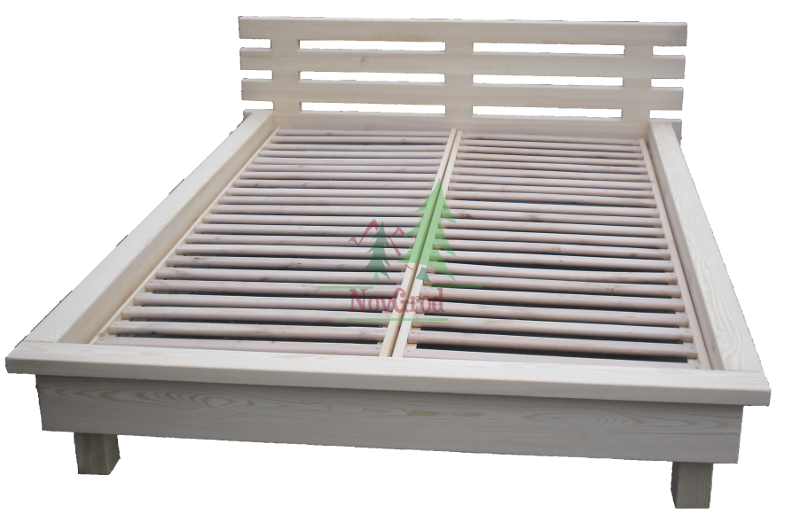 Given all the innovations in the developed countries and the recent advances in technology, our company is constantly developing our products to the maximum. 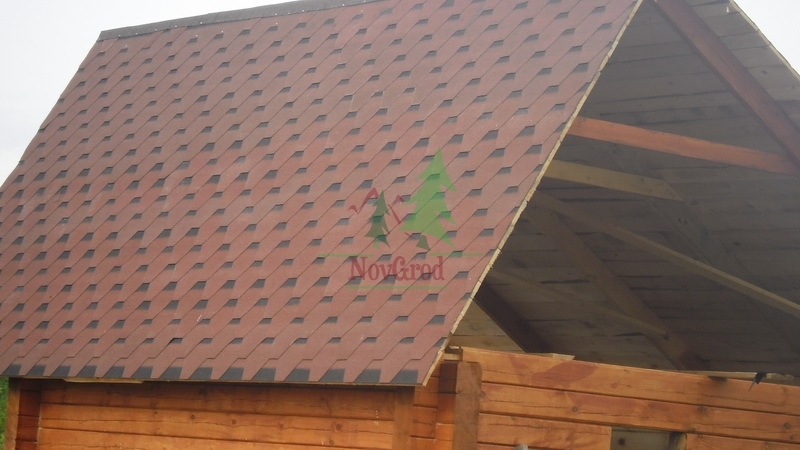 The company's products "NovGrod" keeps up with the times. 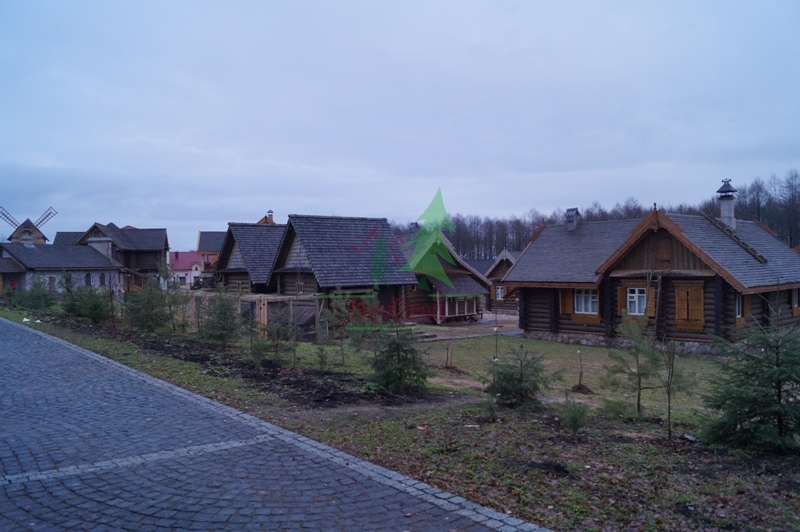 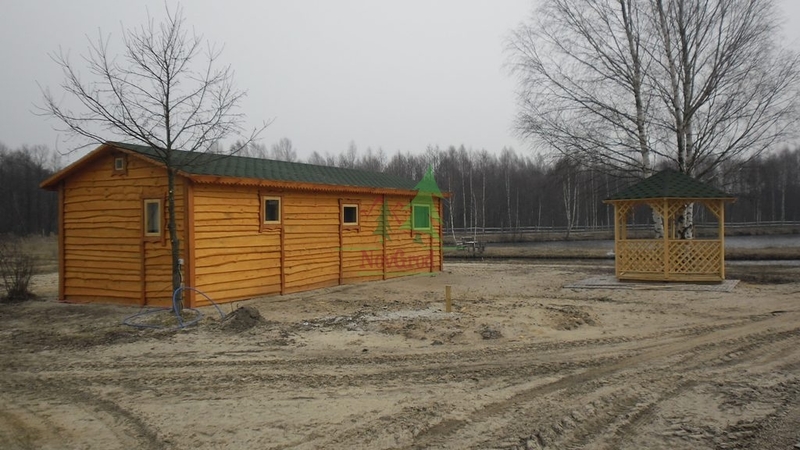 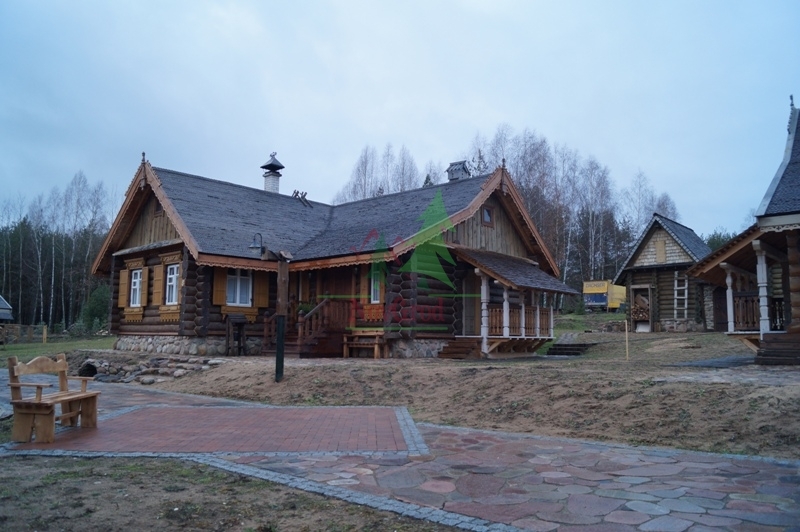 Wooden houses from the company NovGrod. 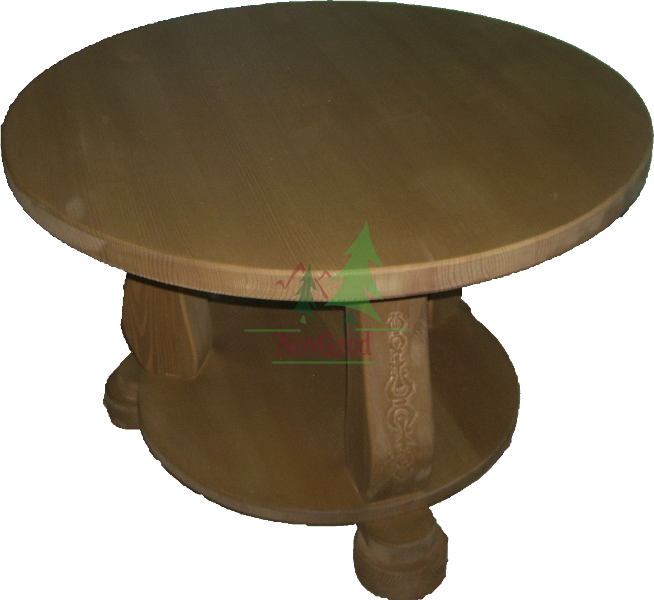 Our focus is on quality and reliability of our products. 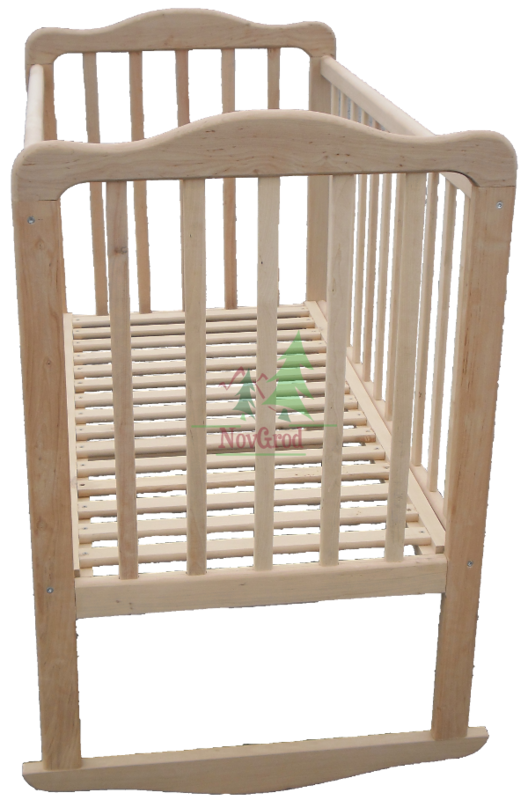 Completely safe products for you and your family. 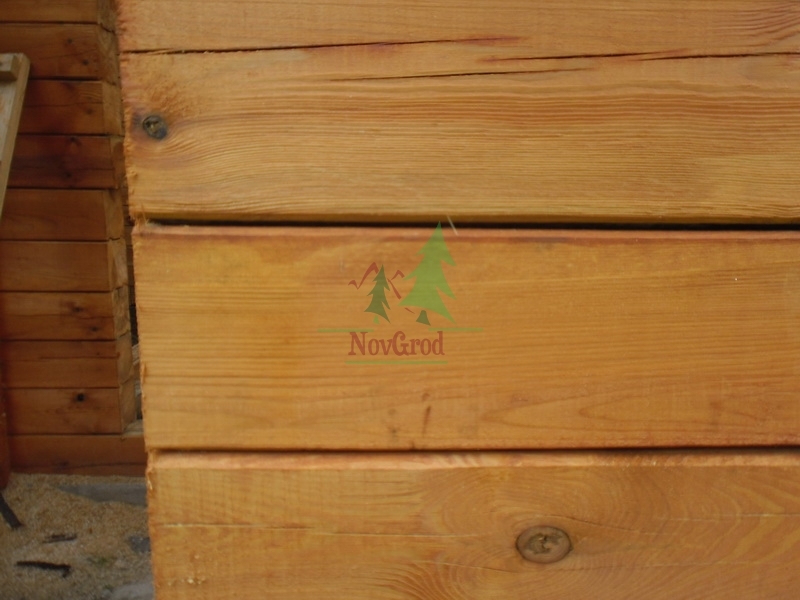 The best type of wood and the highest quality. 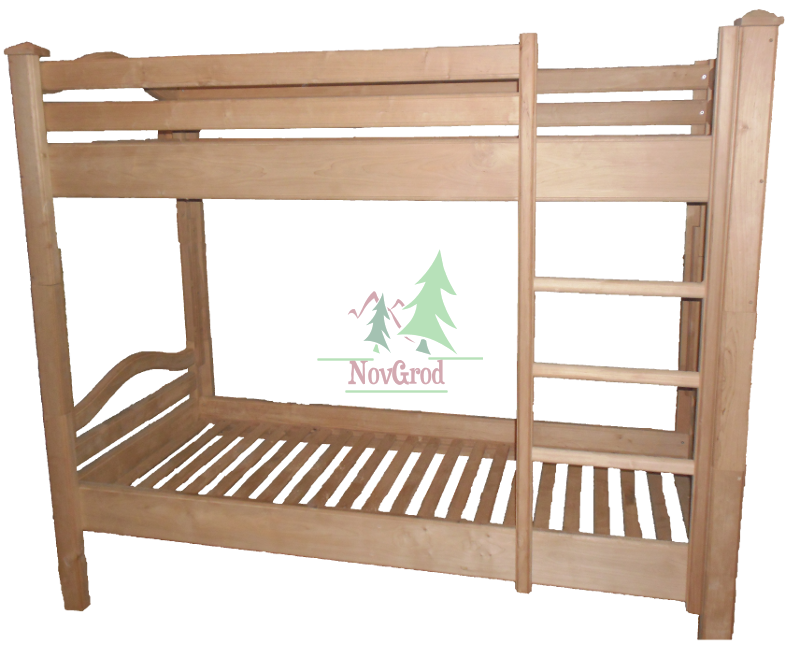 Our products are delivered only joy and comfort for you. 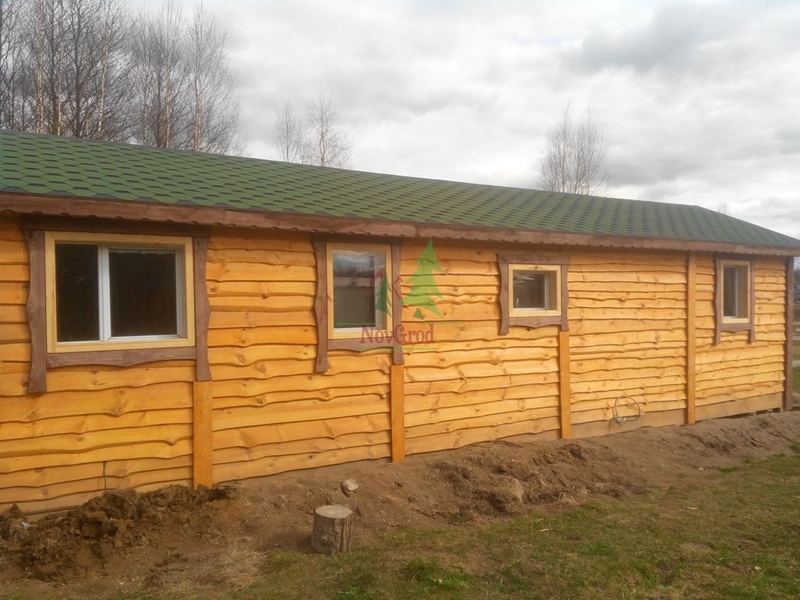 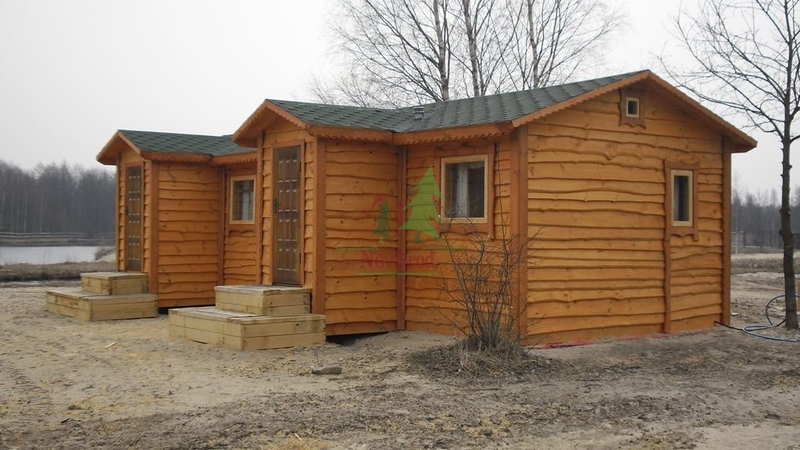 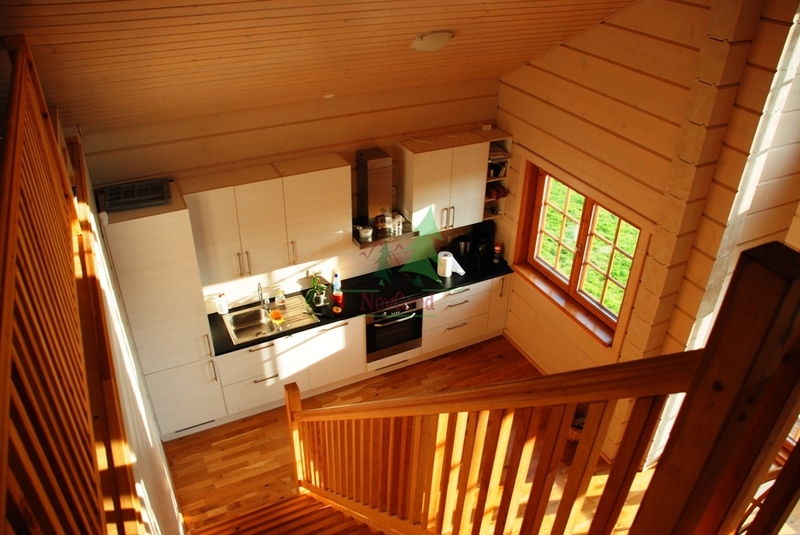 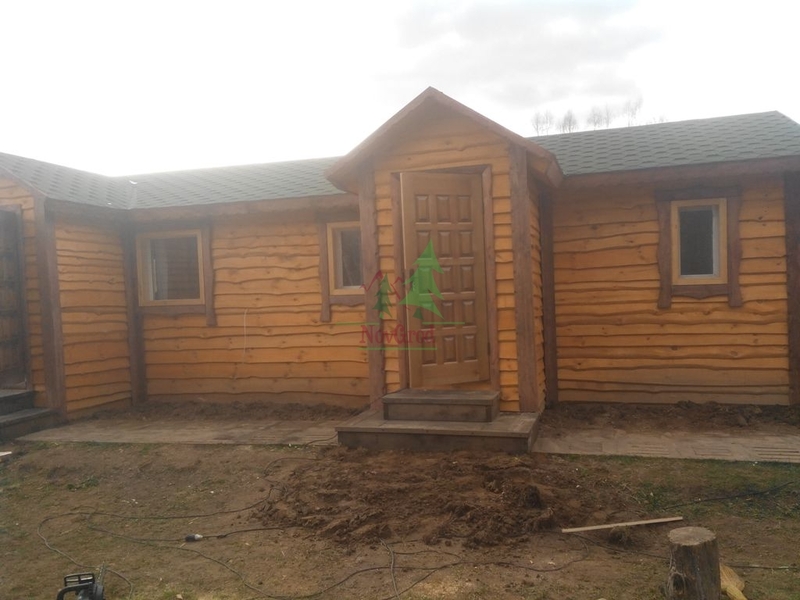 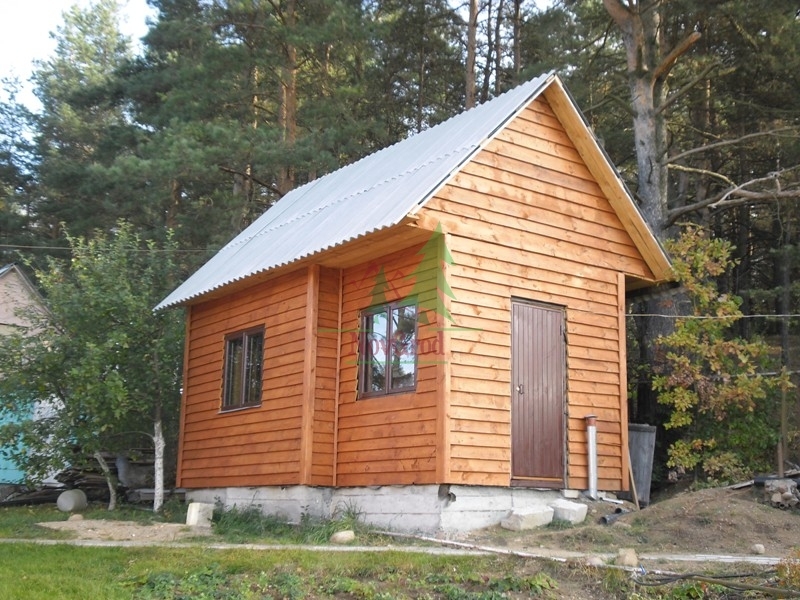 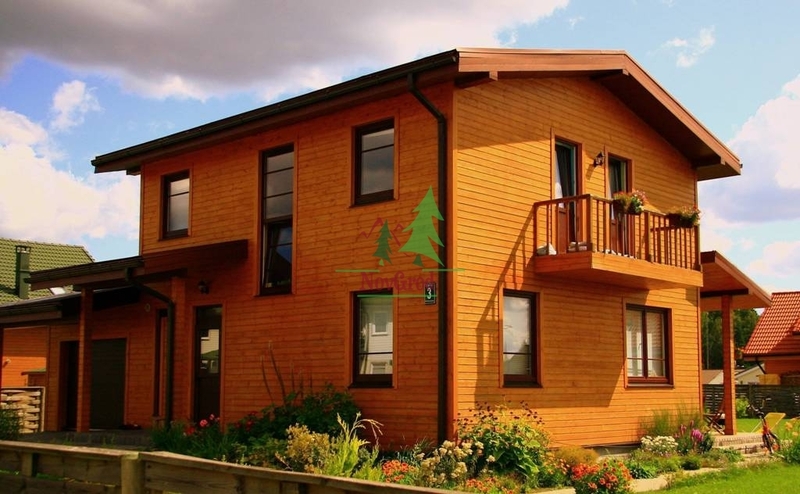 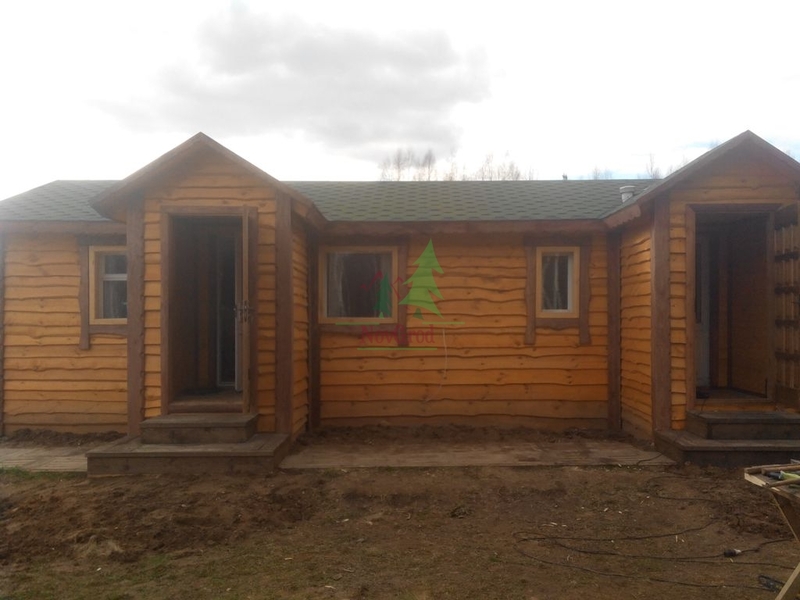 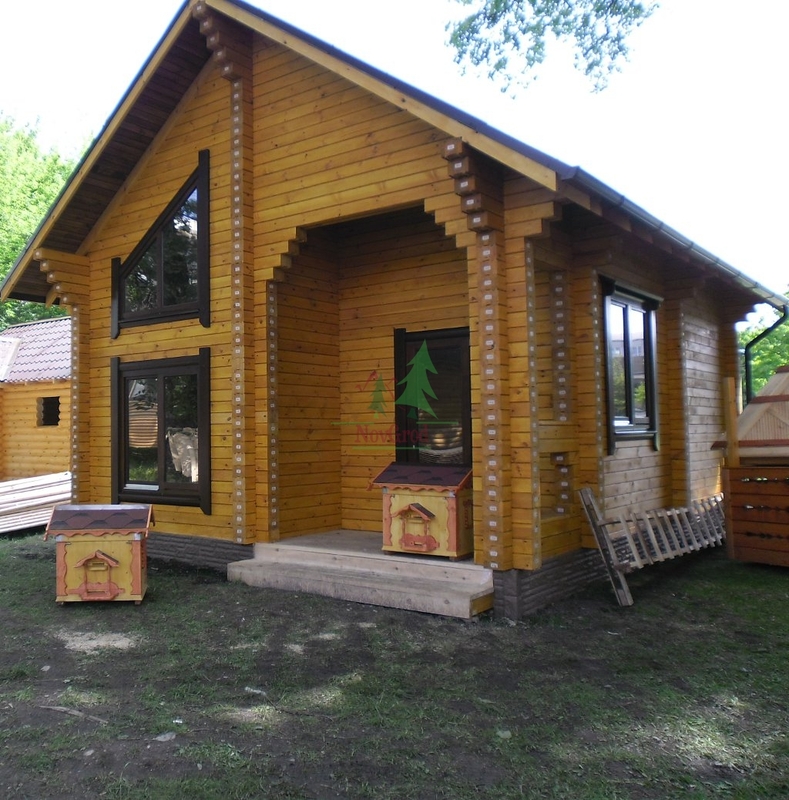 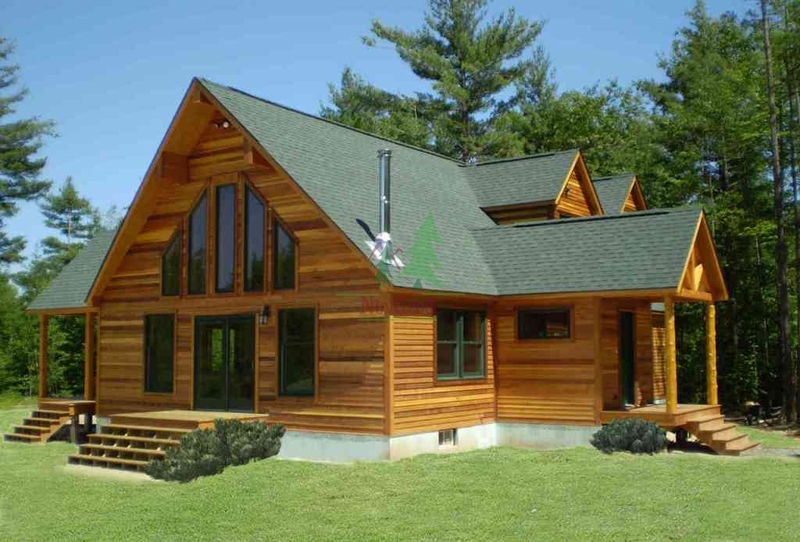 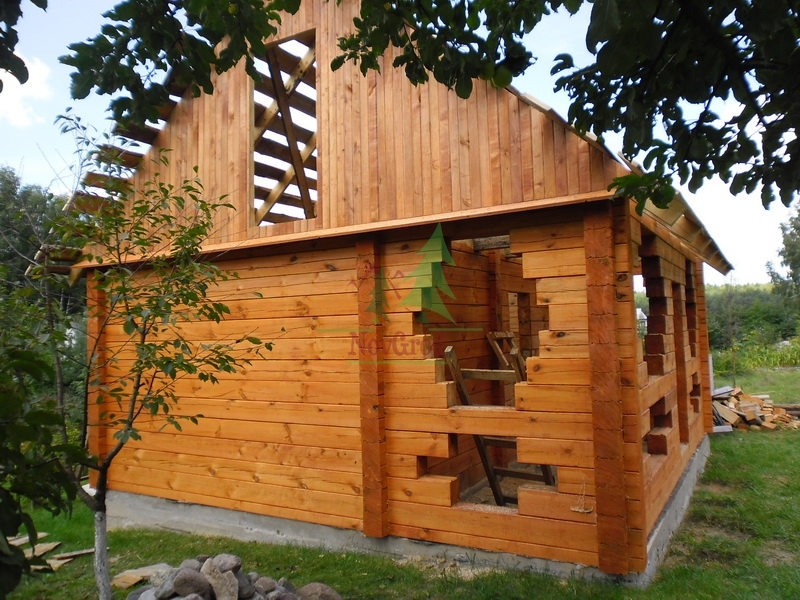 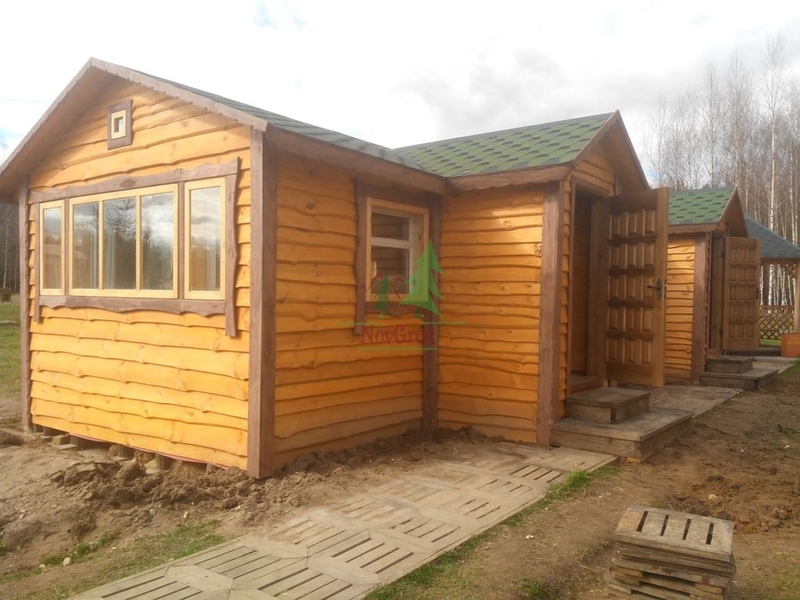 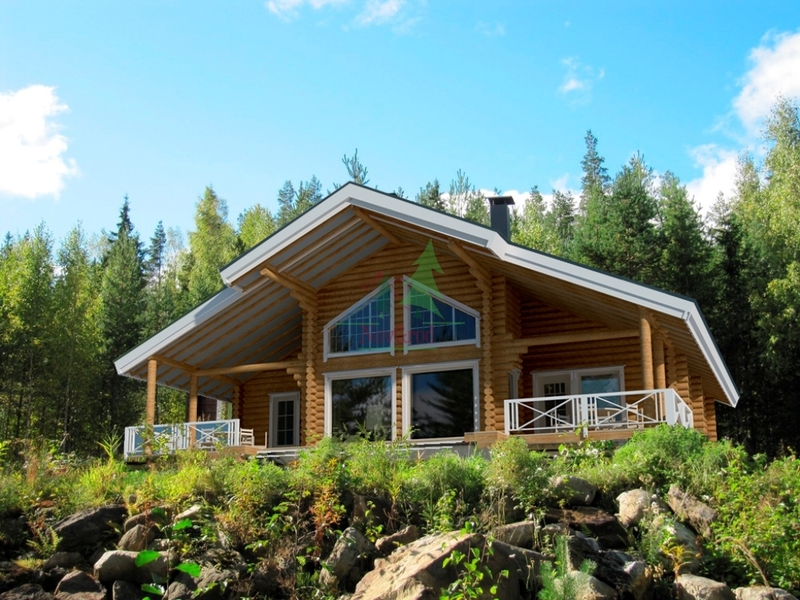 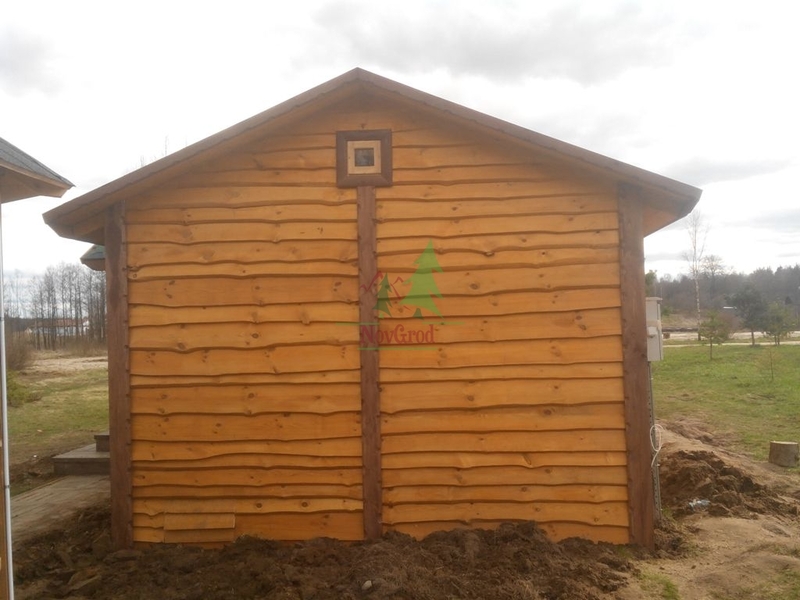 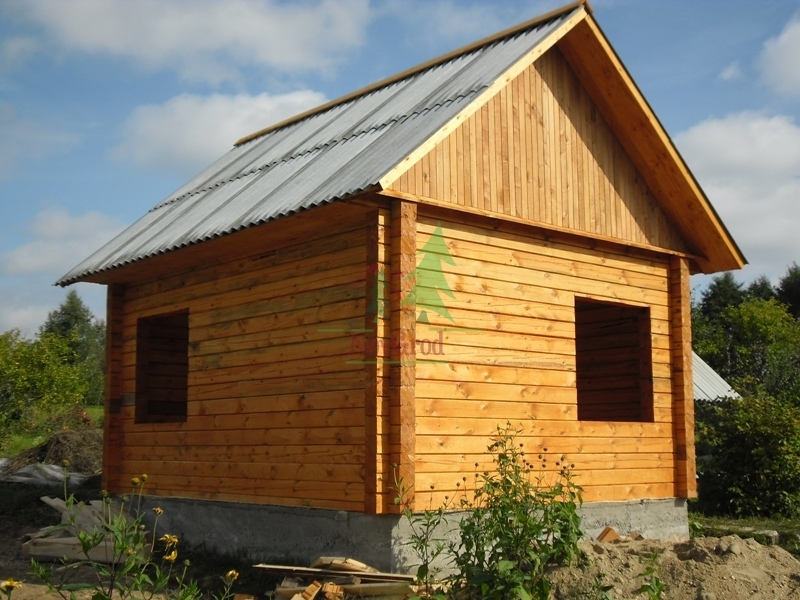 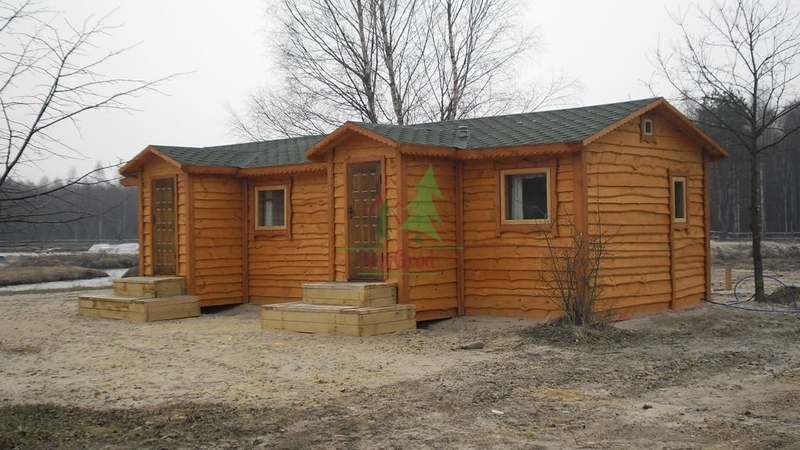 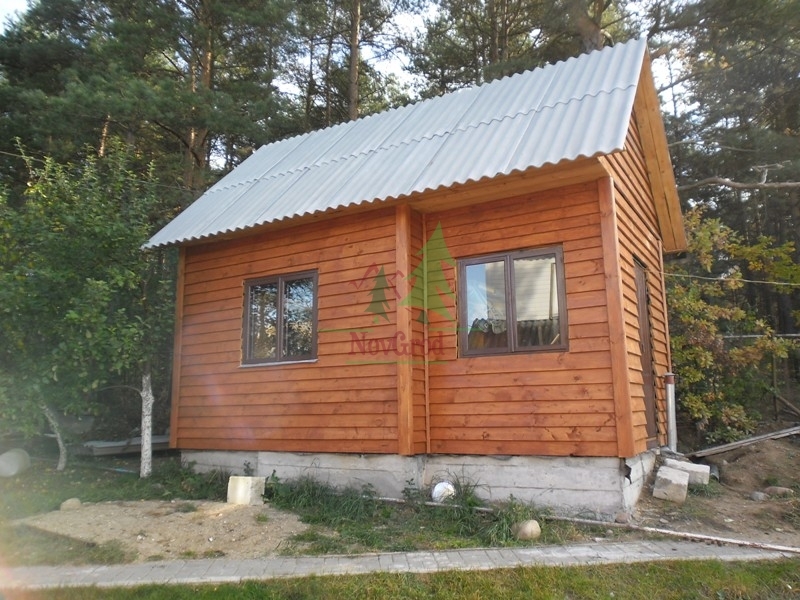 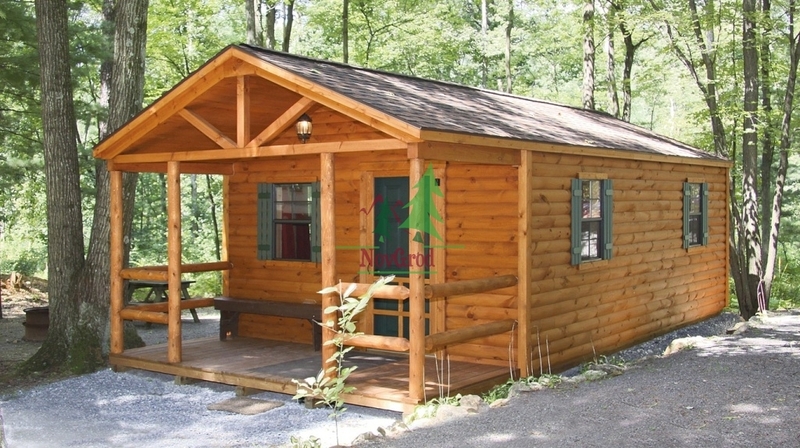 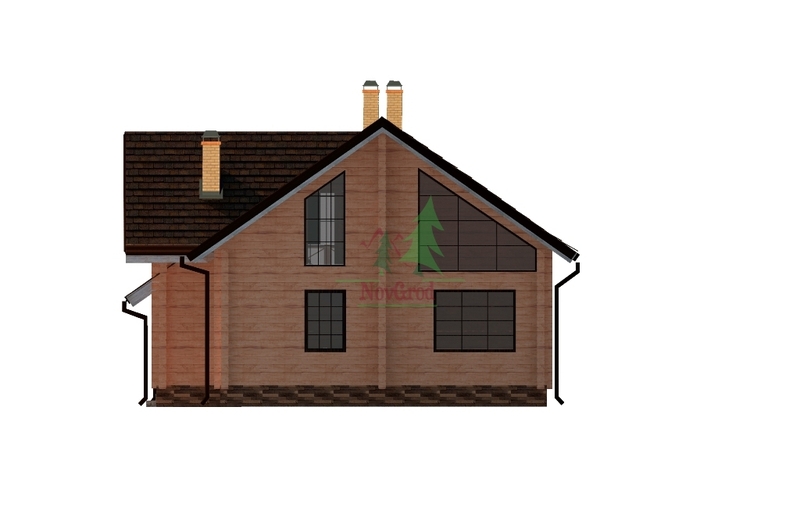 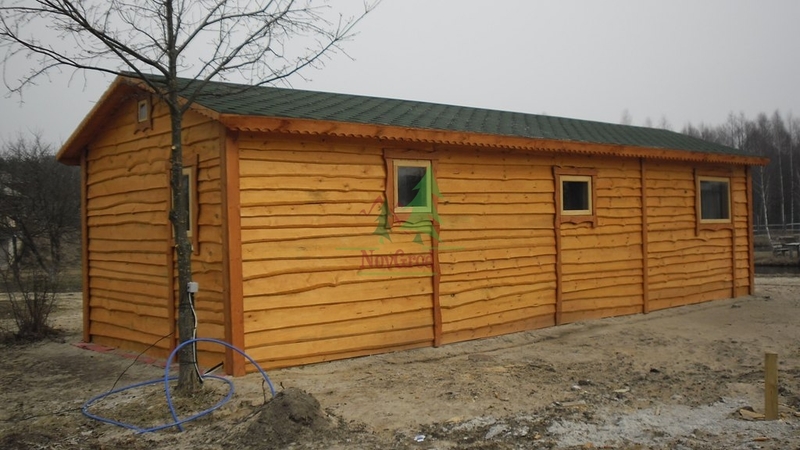 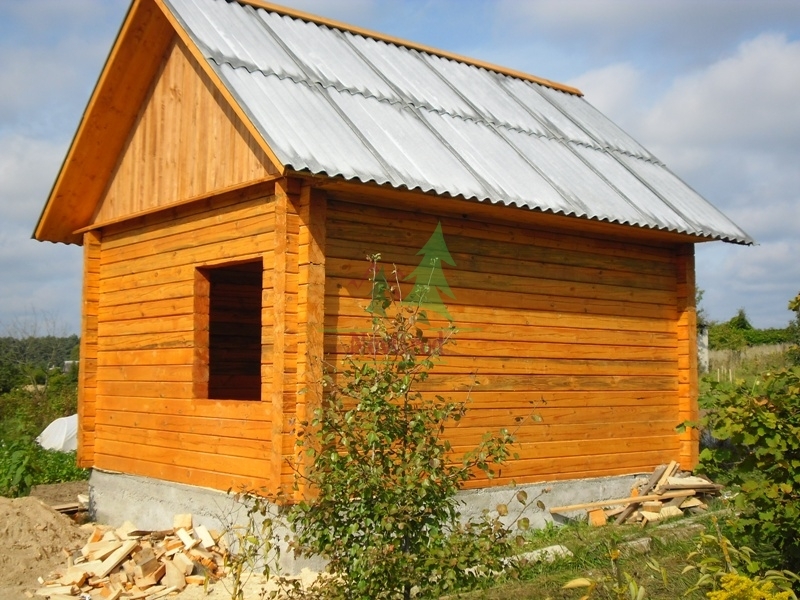 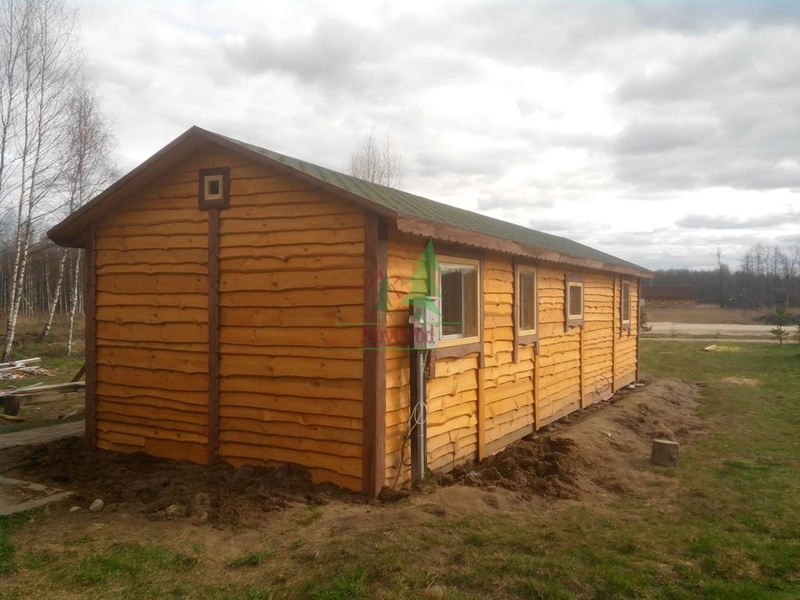 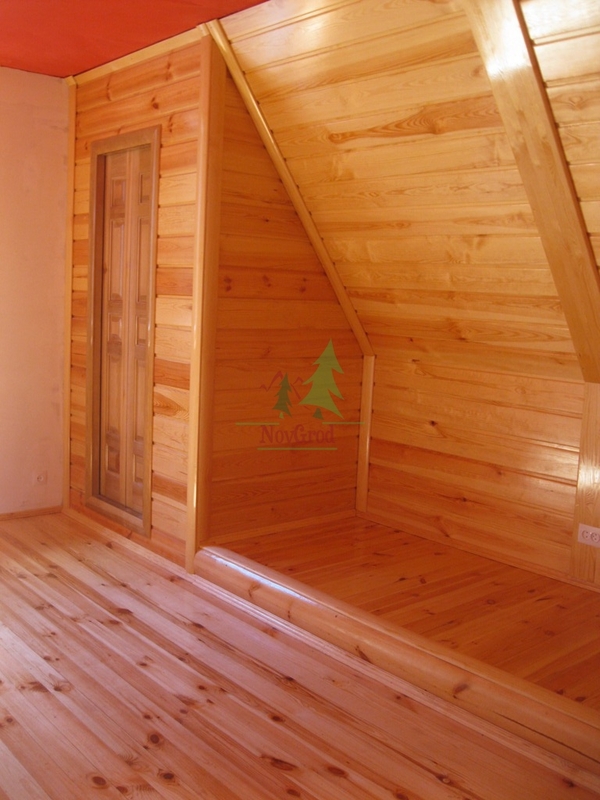 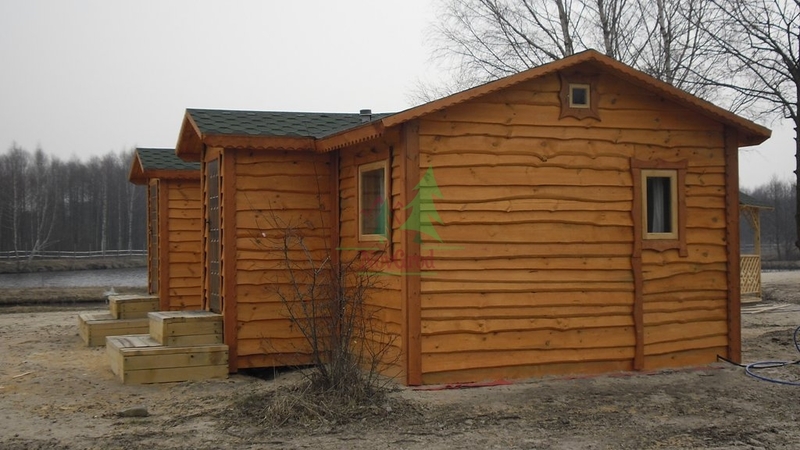 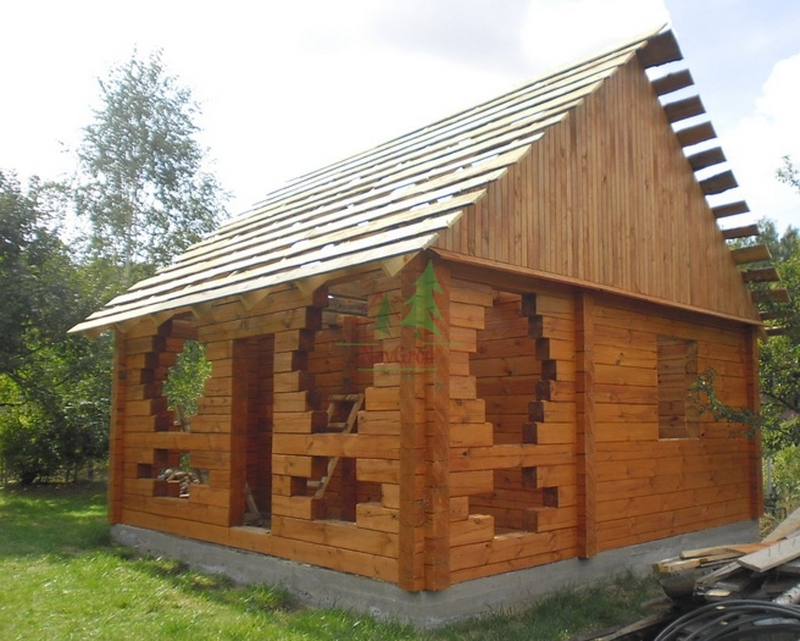 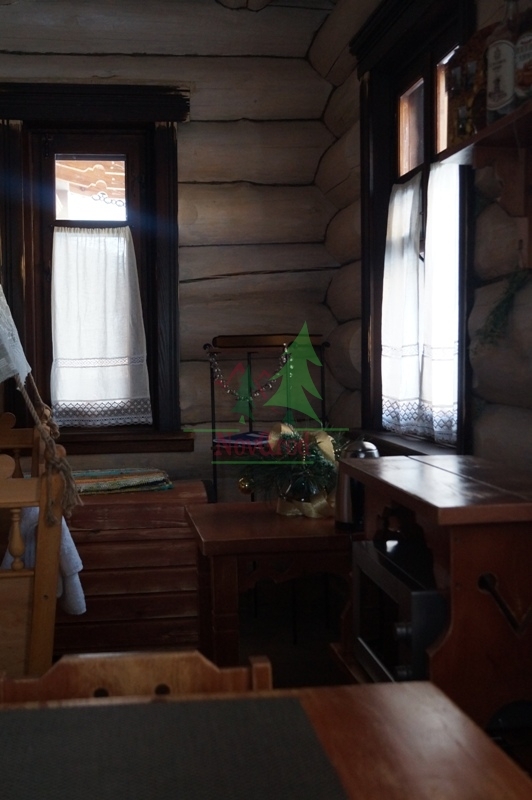 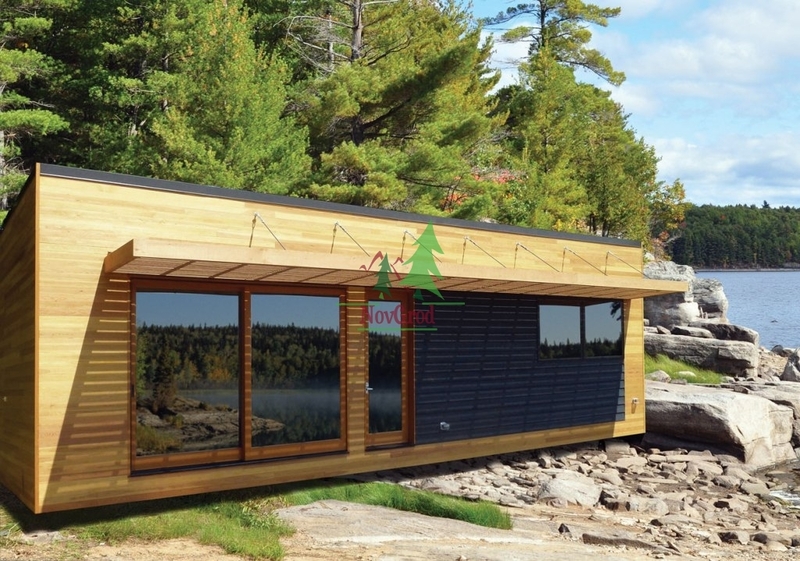 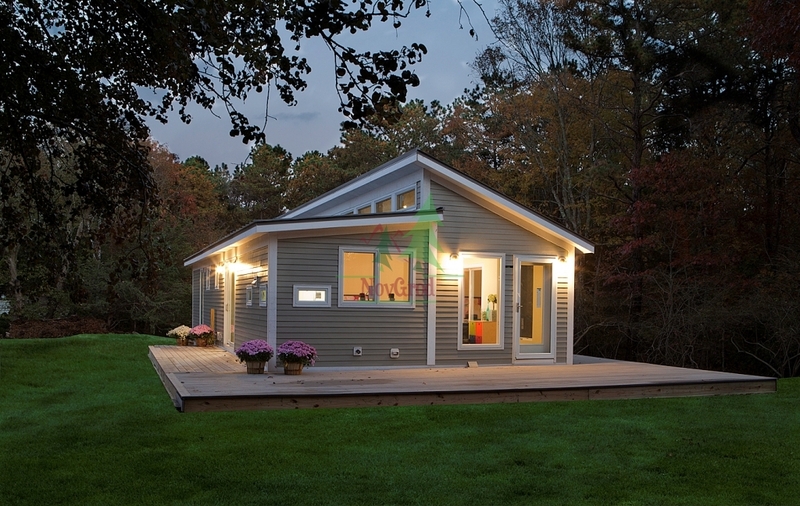 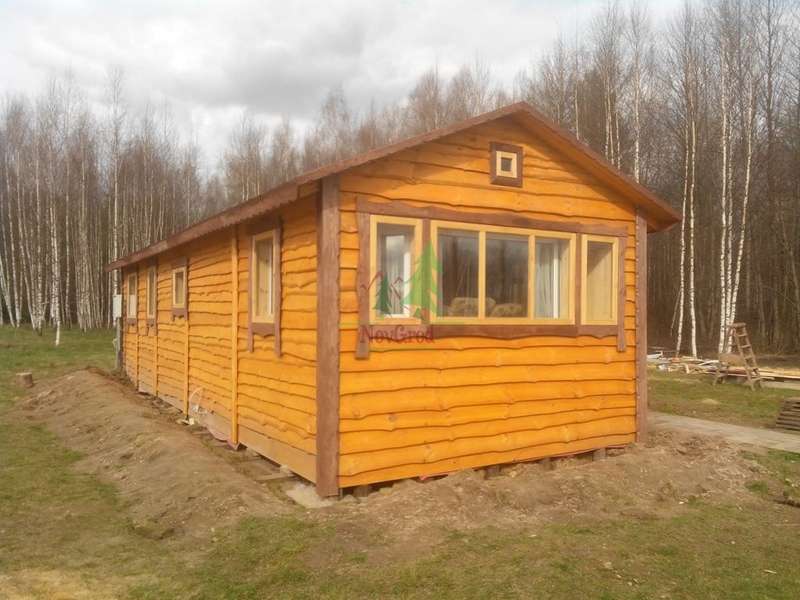 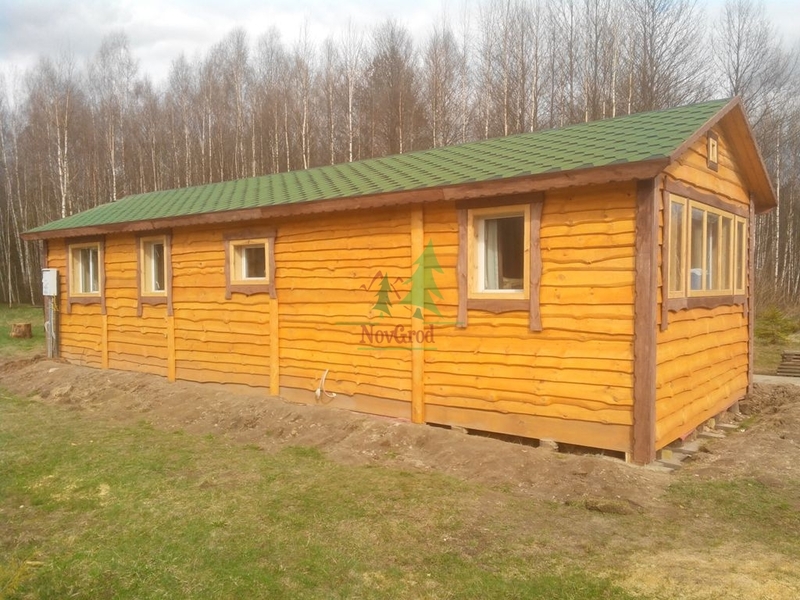 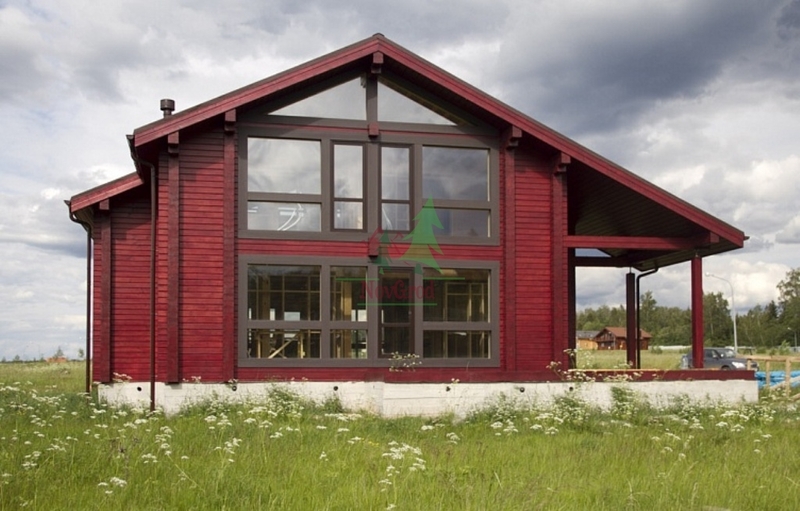 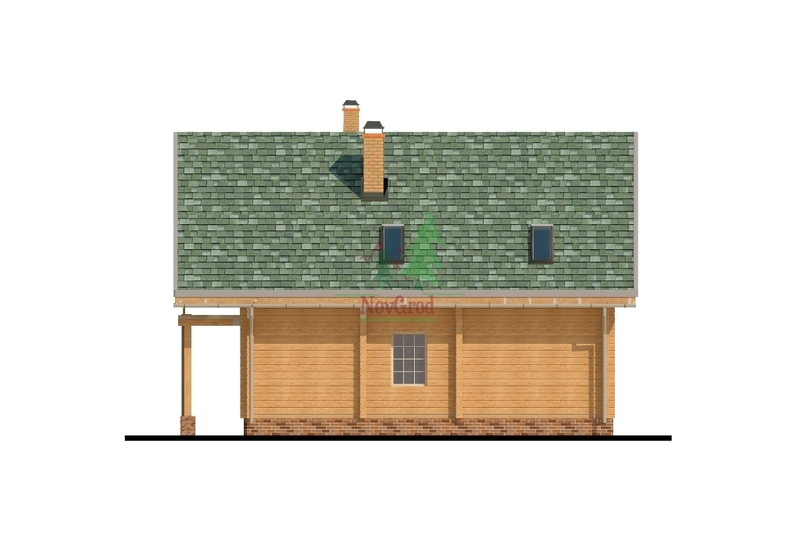 You can count on our website prices of wooden houses United Kingdom , prices Cabins USA , prices of wooden houses Canada . 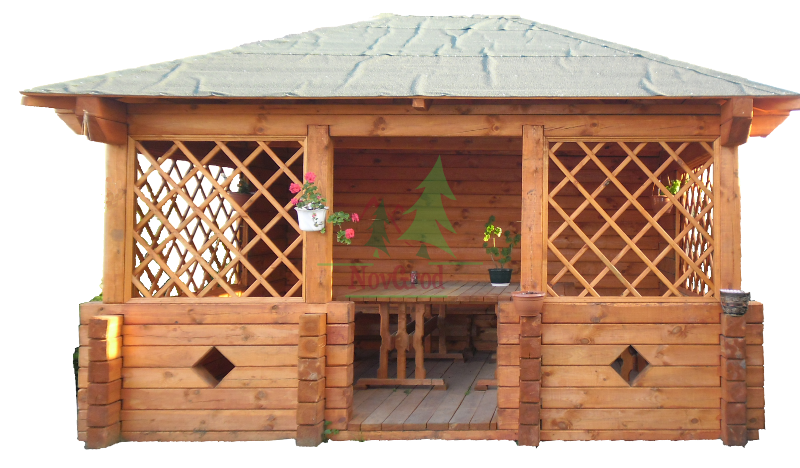 We only work as professionals gathered in a single: technological progress, international experience and reliable experience of our ancestors. 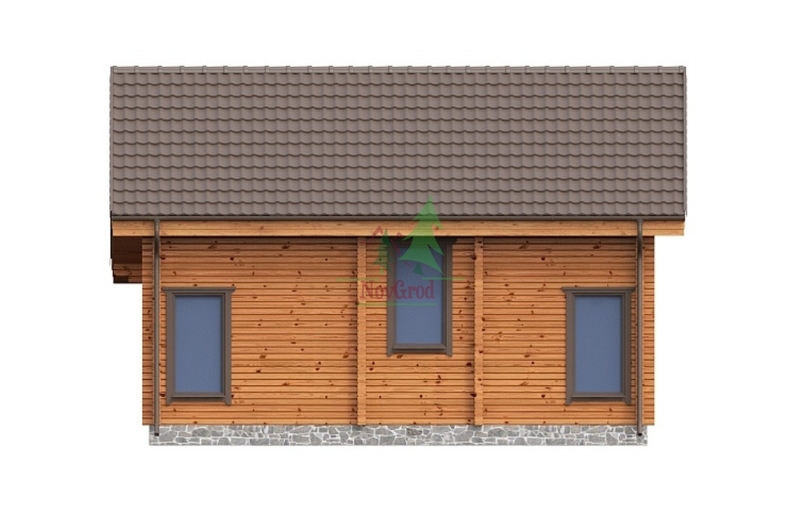 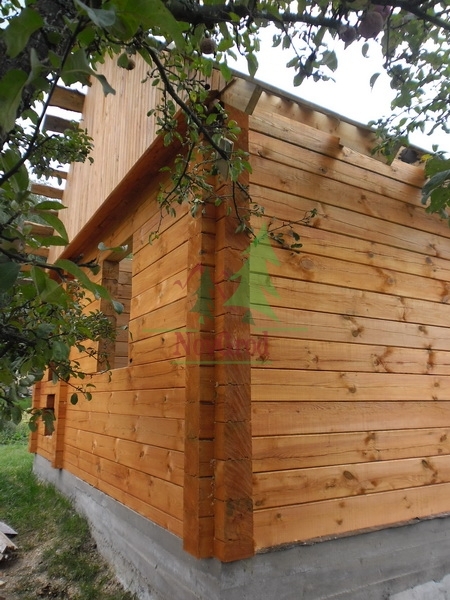 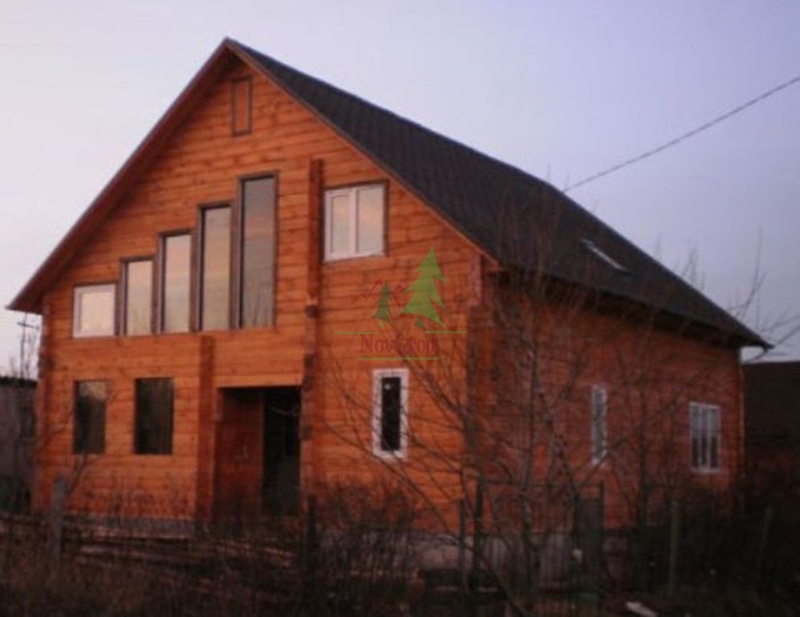 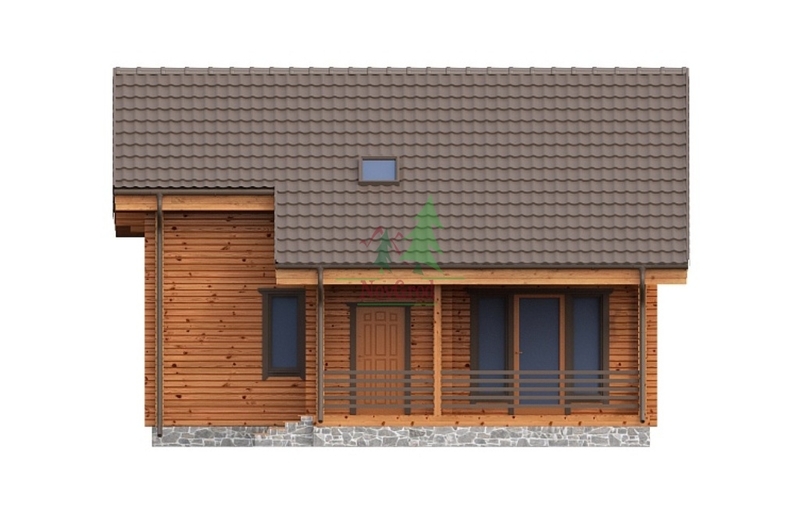 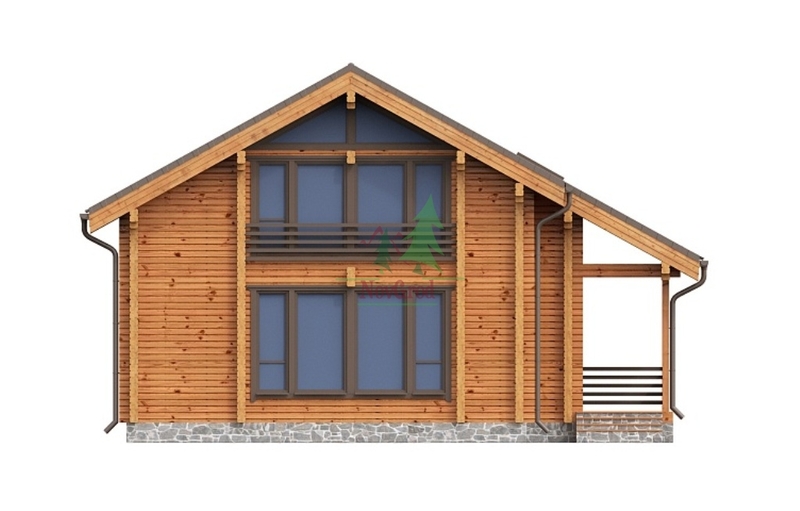 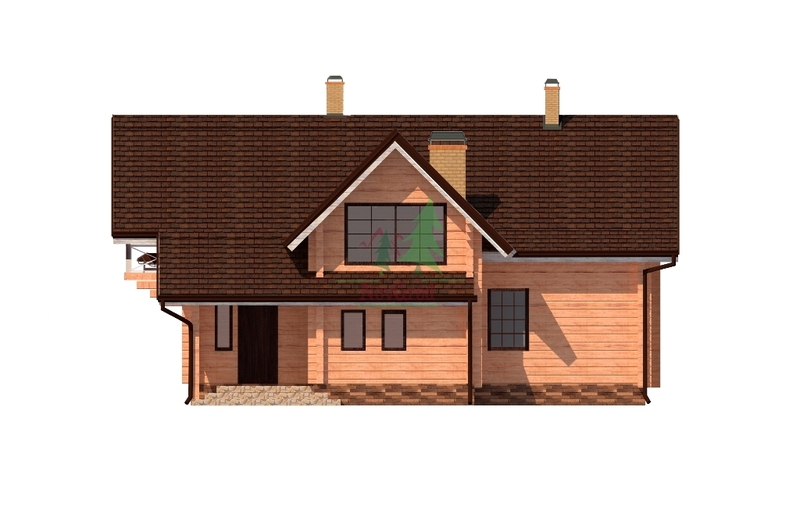 Our company can provide you with wooden house turnkey , finished wooden houses , Wooden House Project , modern wooden house . 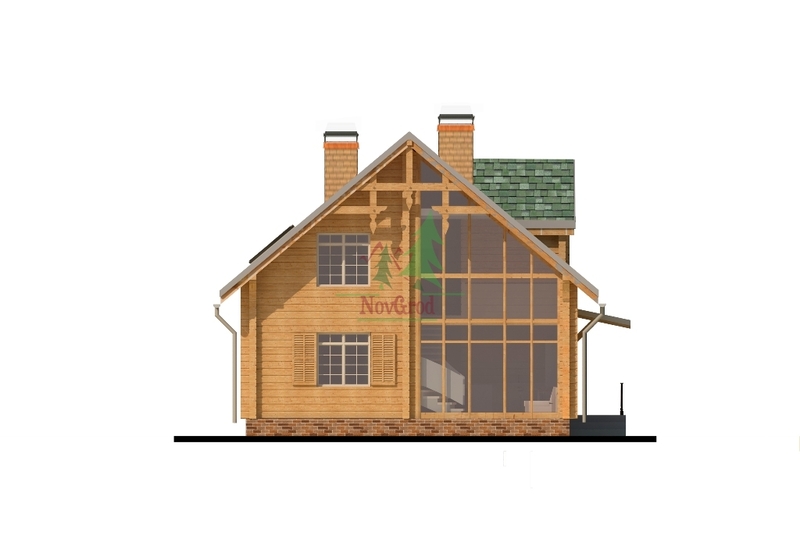 We have many finished projects and design solutions. 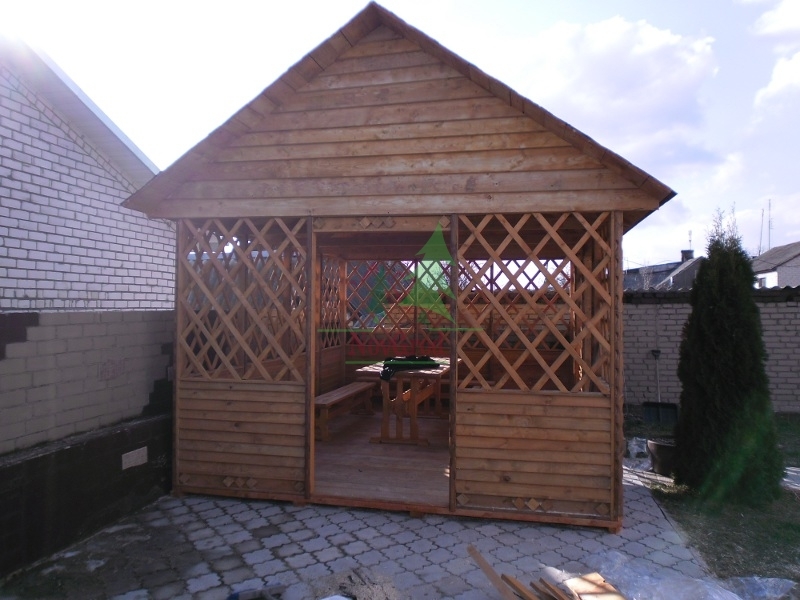 It is time to begin to build. 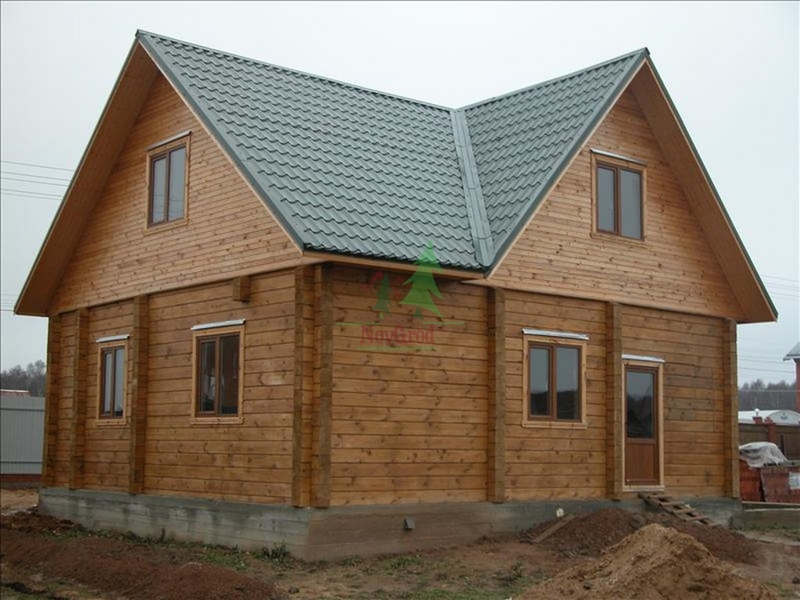 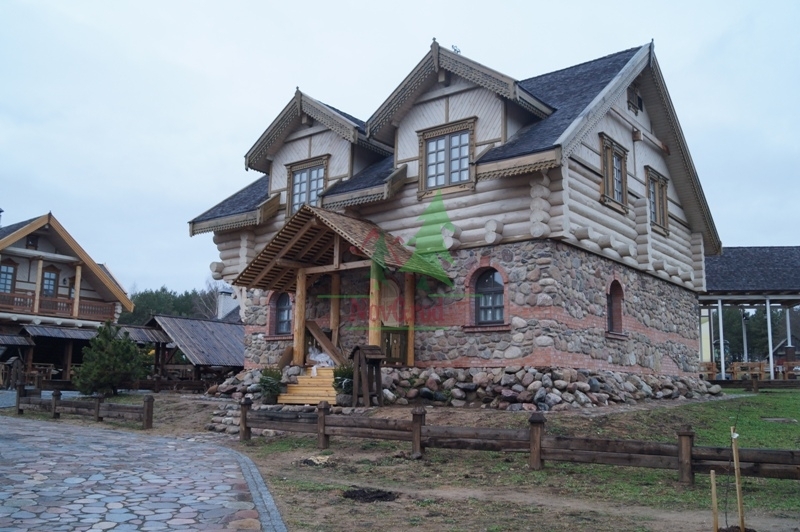 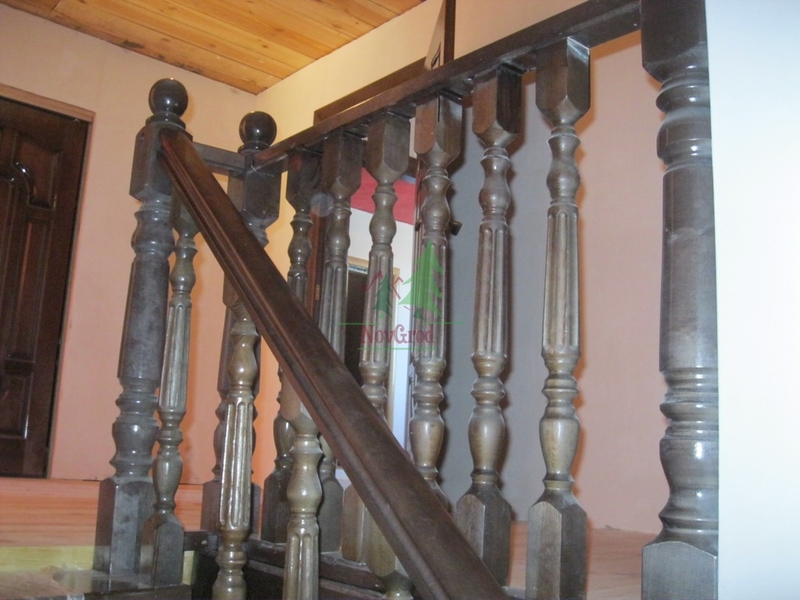 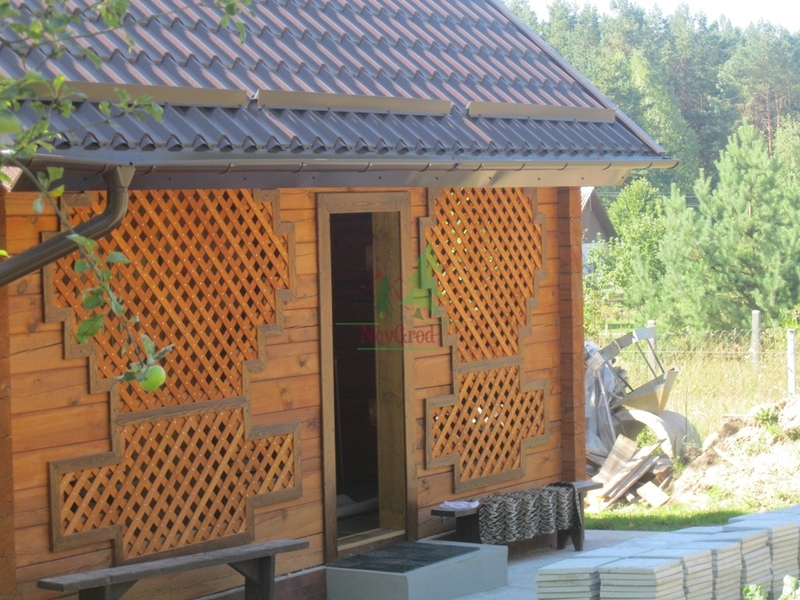 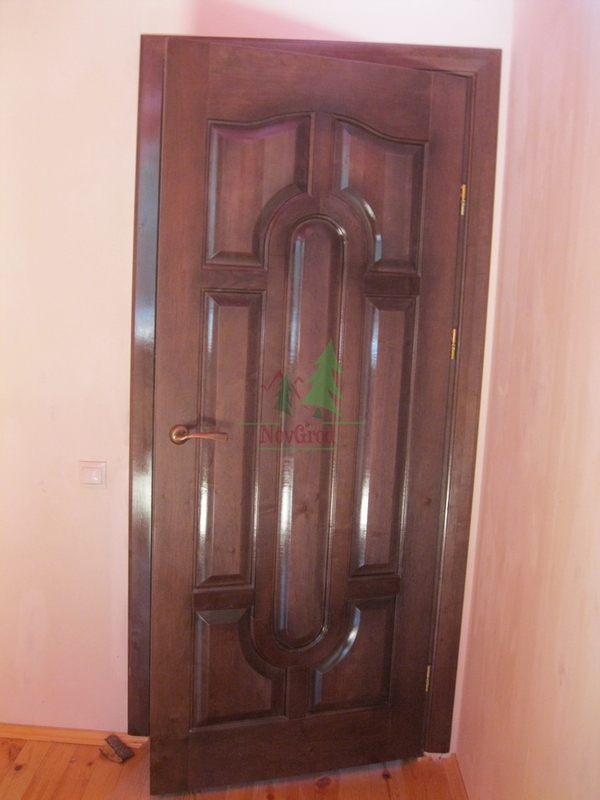 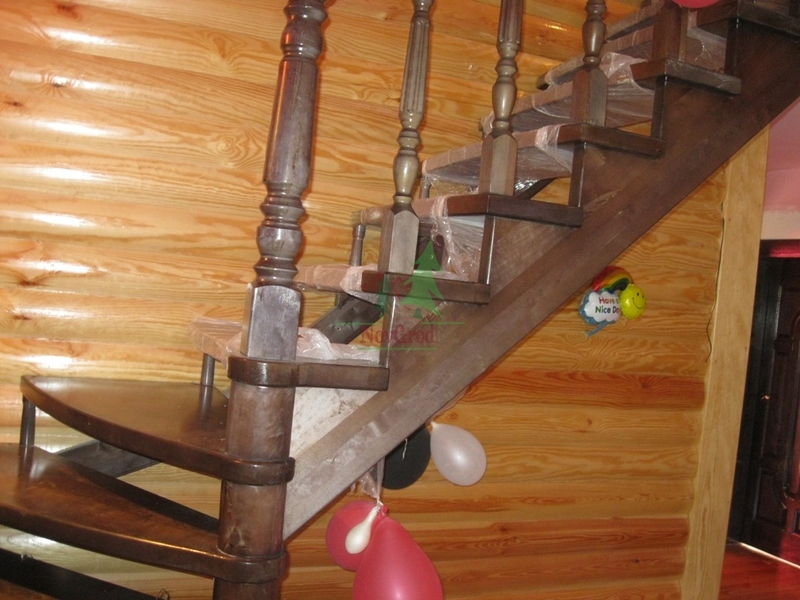 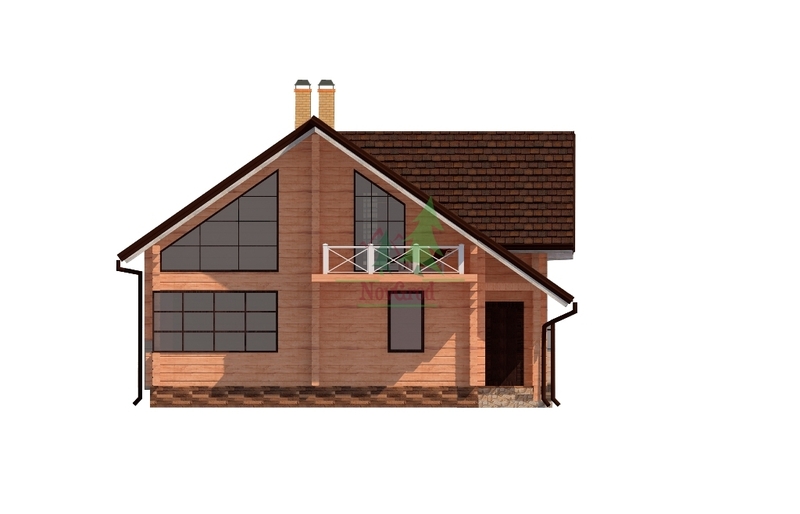 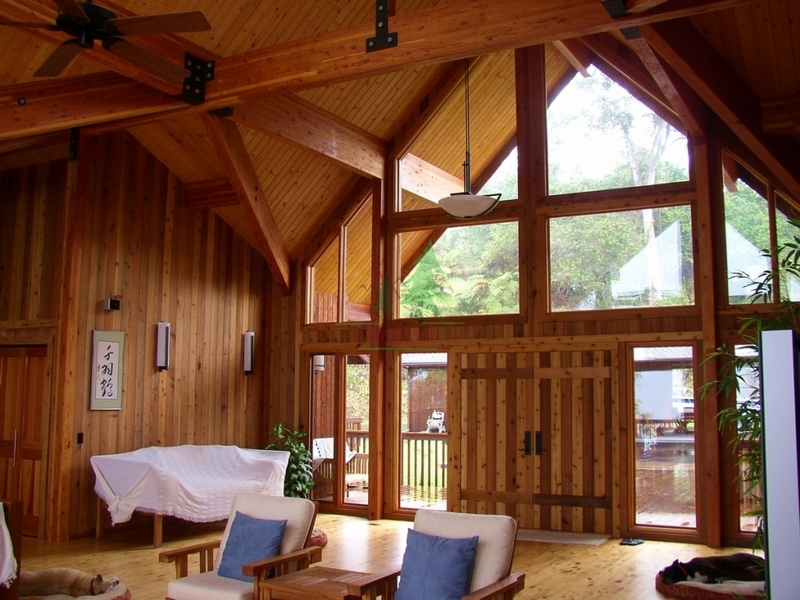 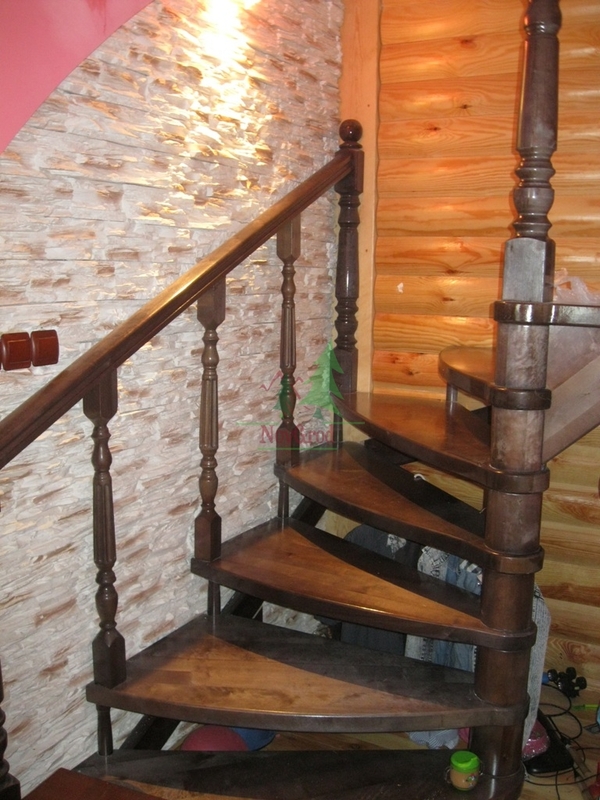 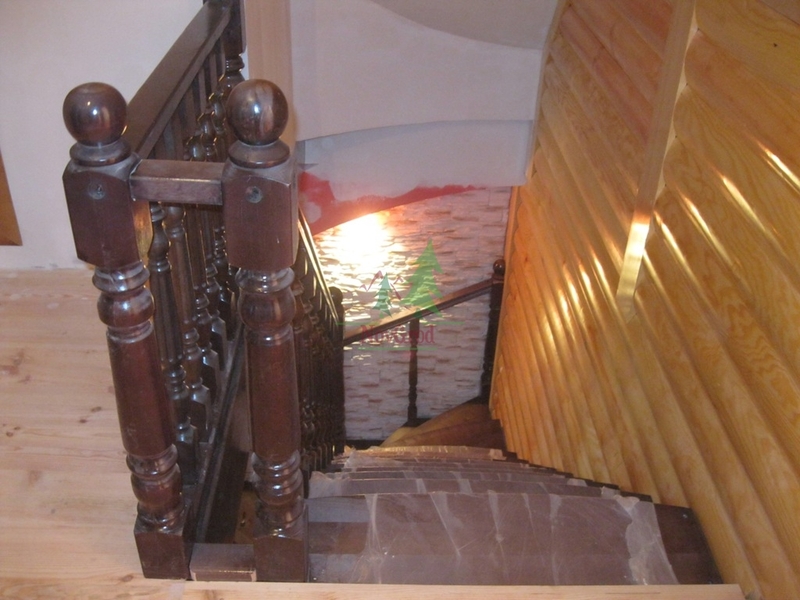 If you want to Buy wooden house from us, you are guaranteed for many years. 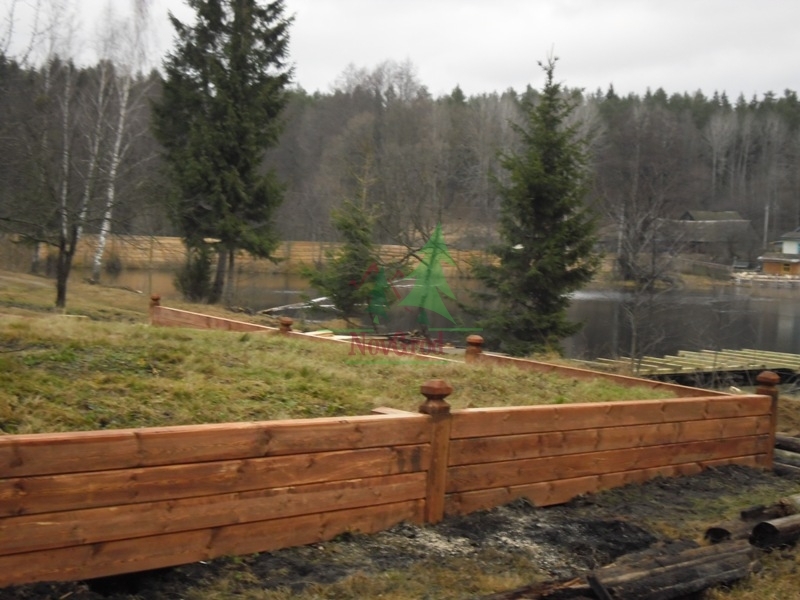 We easily deliver and install. 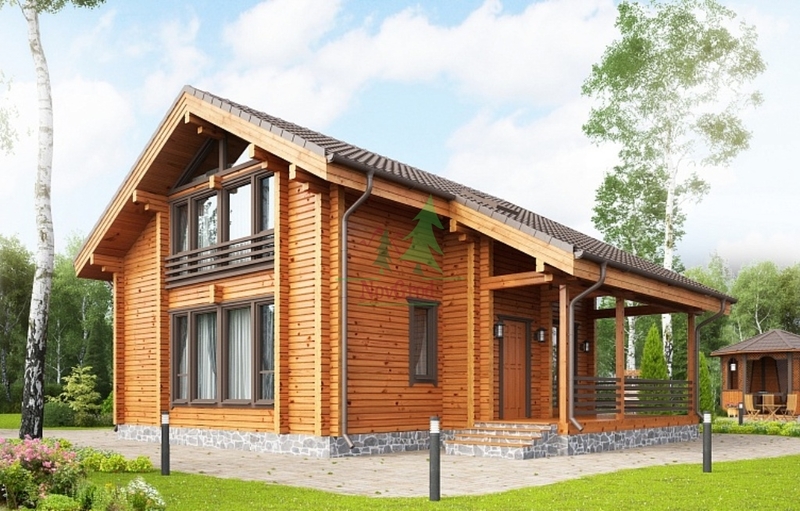 Do everything under the key. 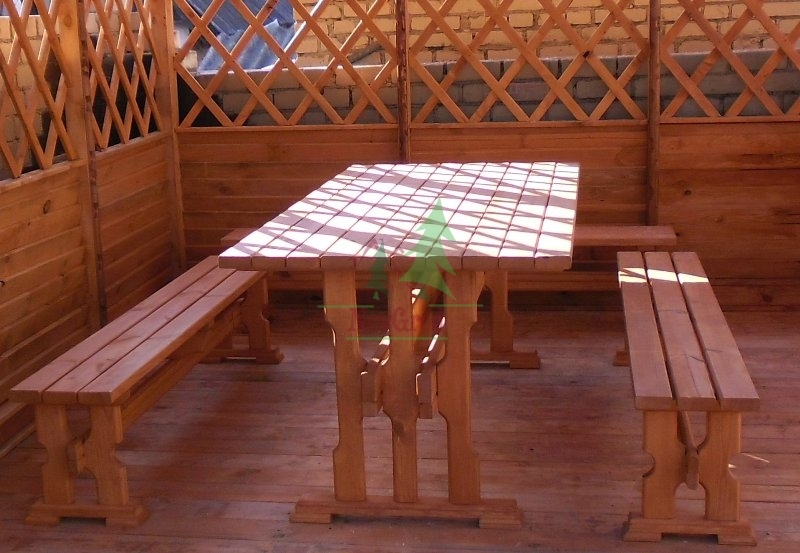 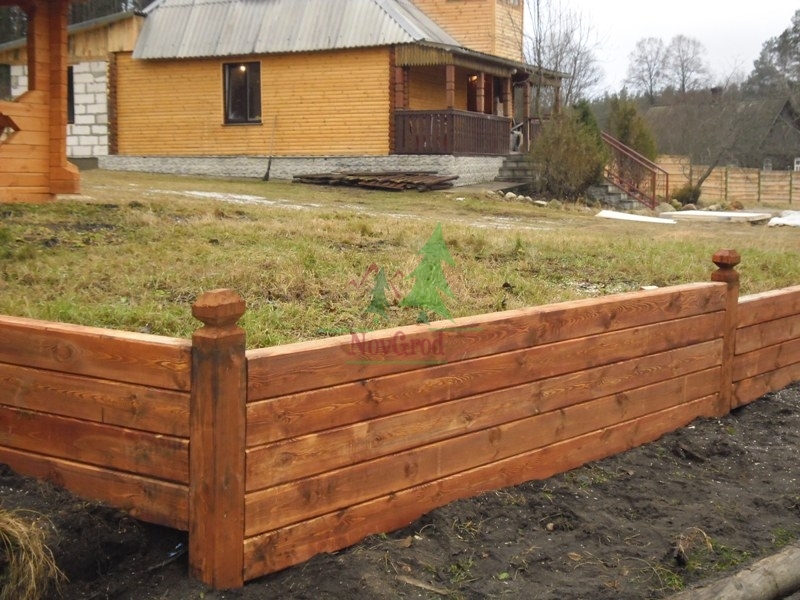 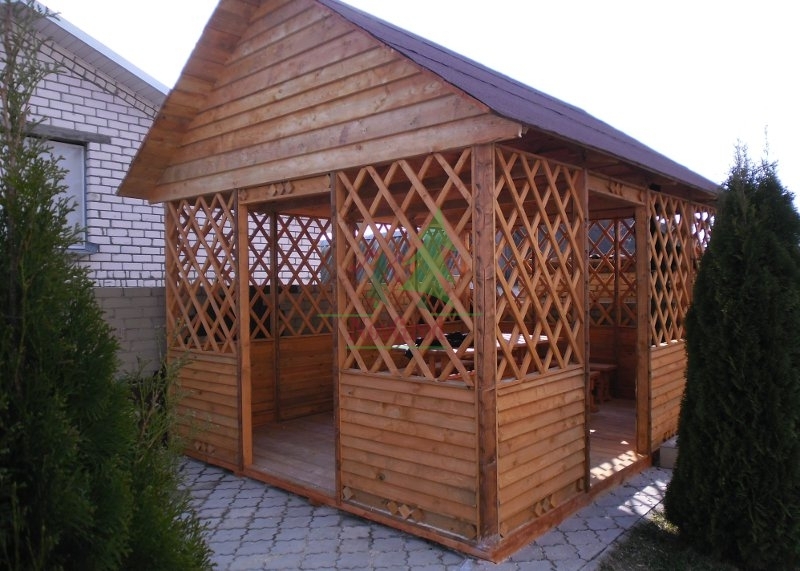 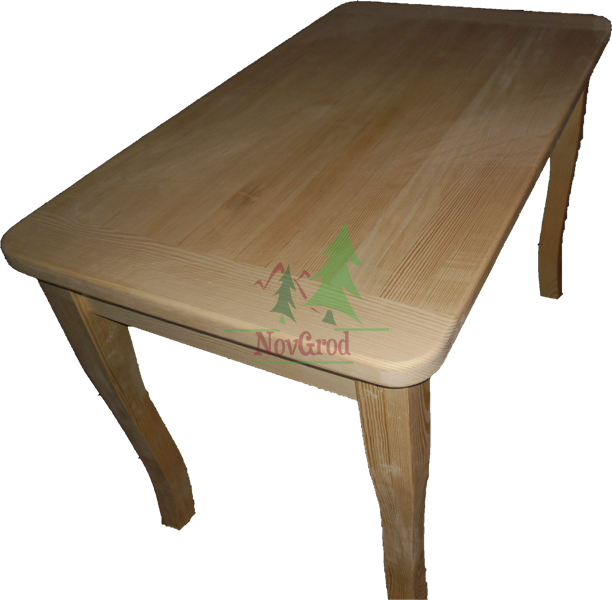 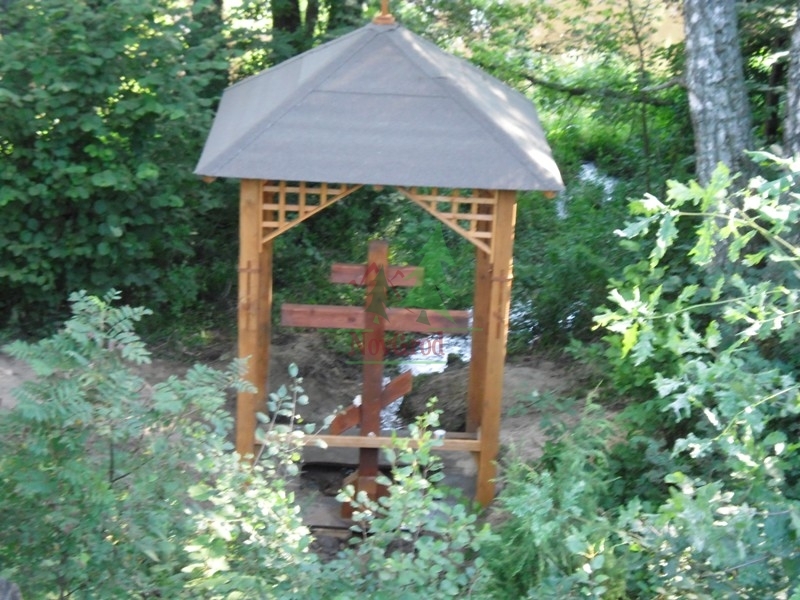 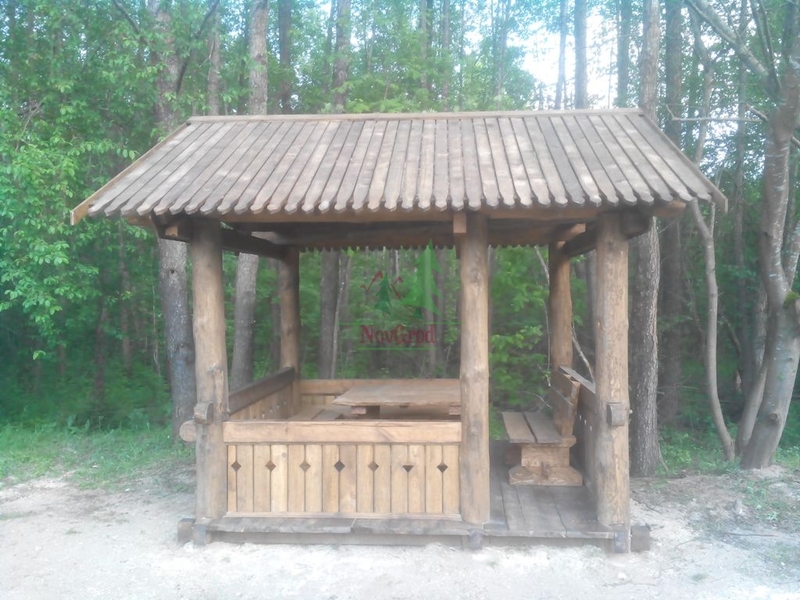 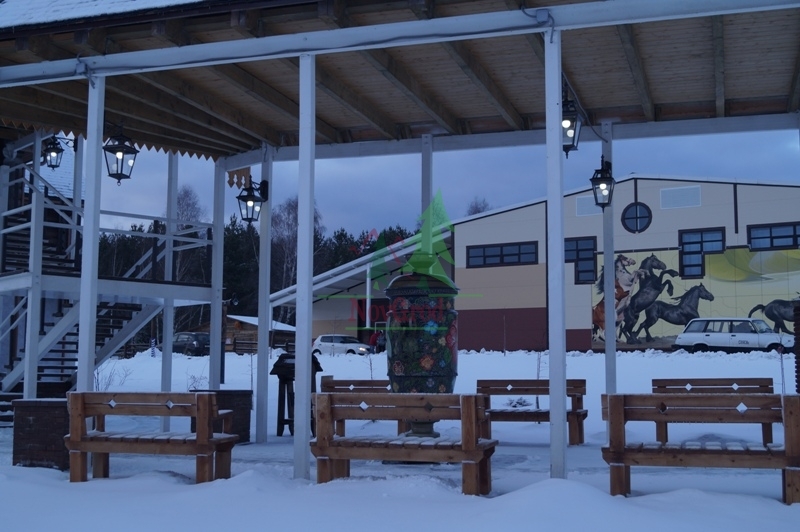 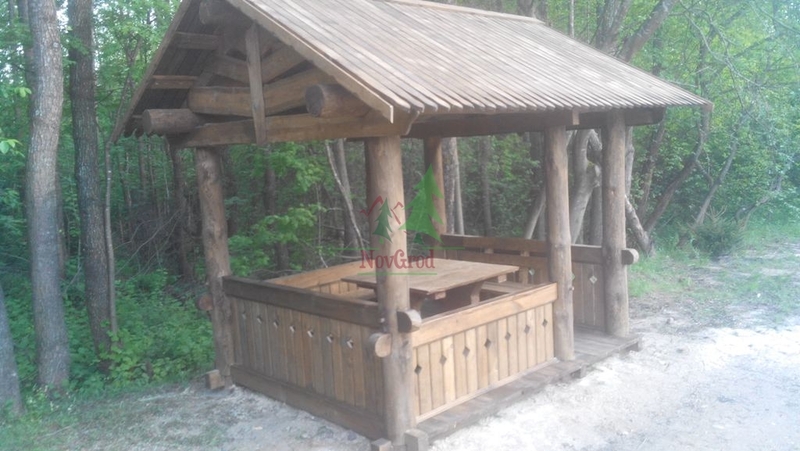 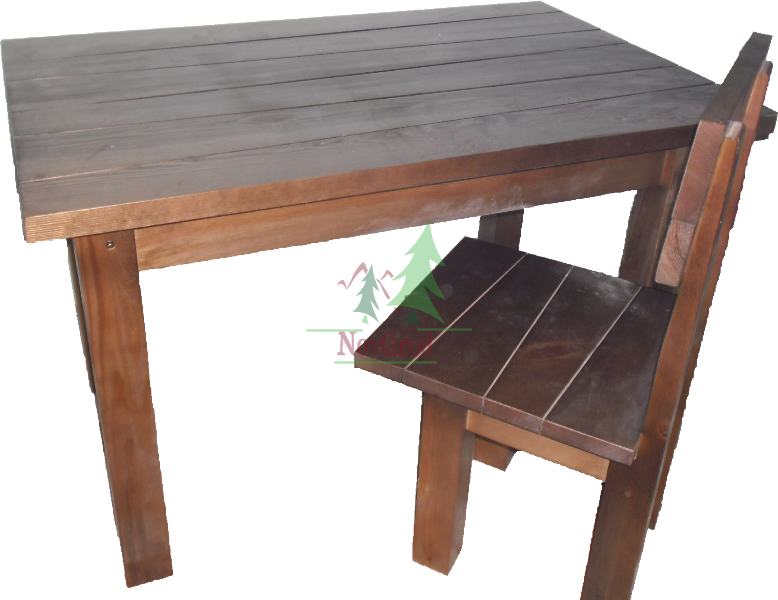 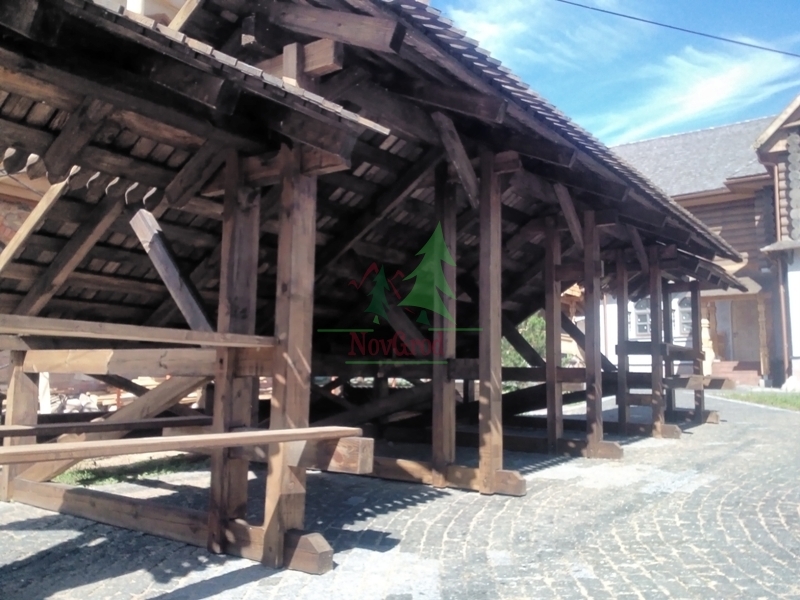 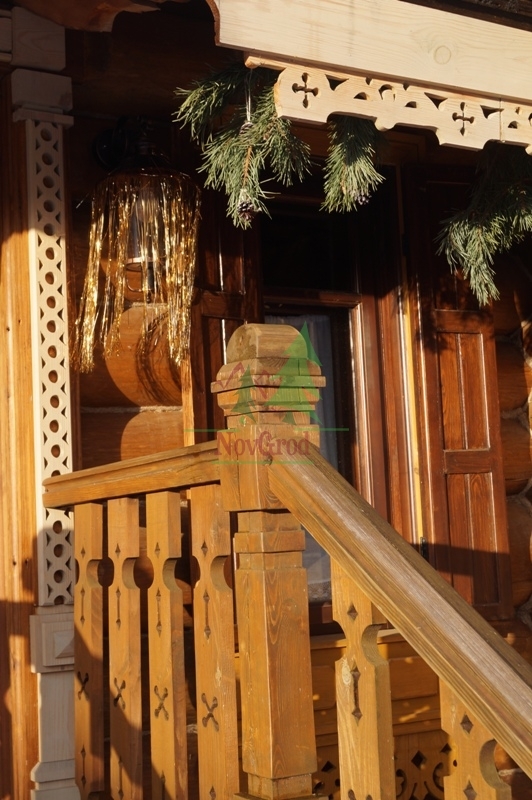 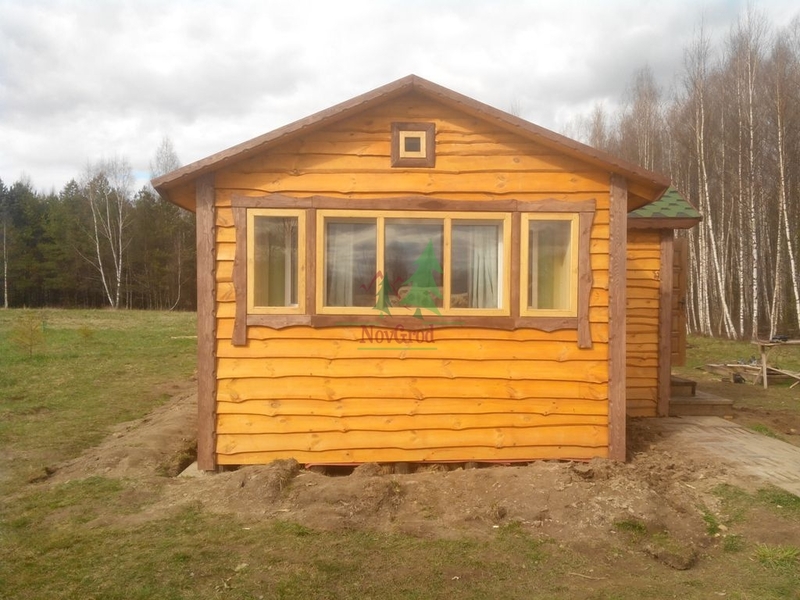 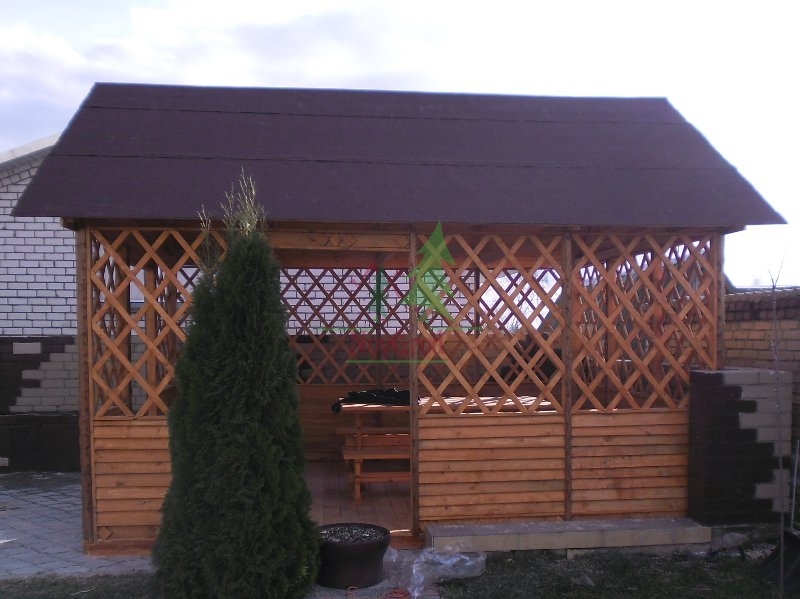 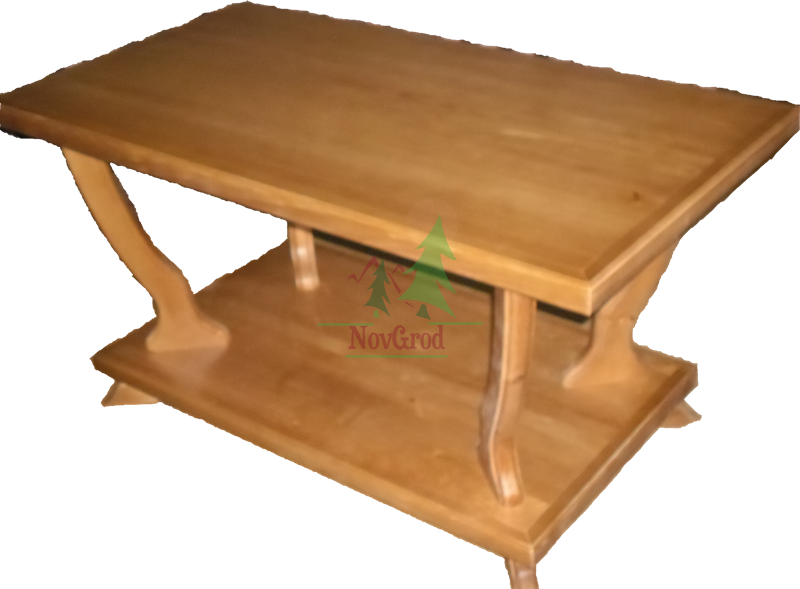 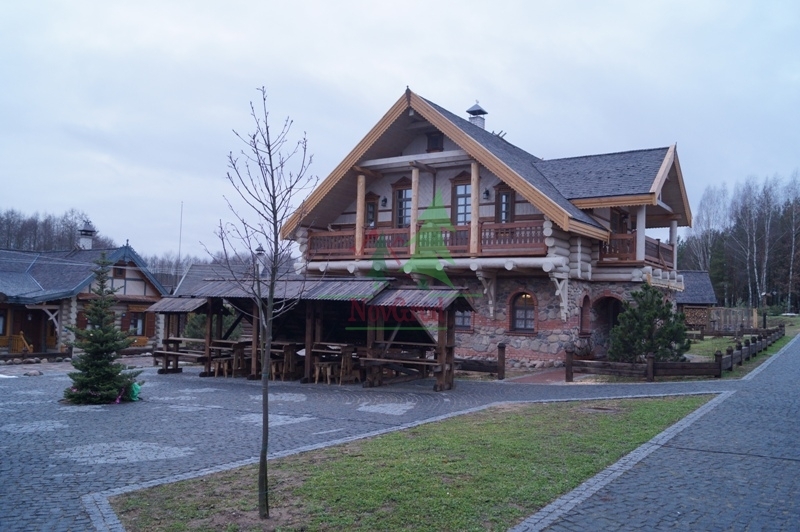 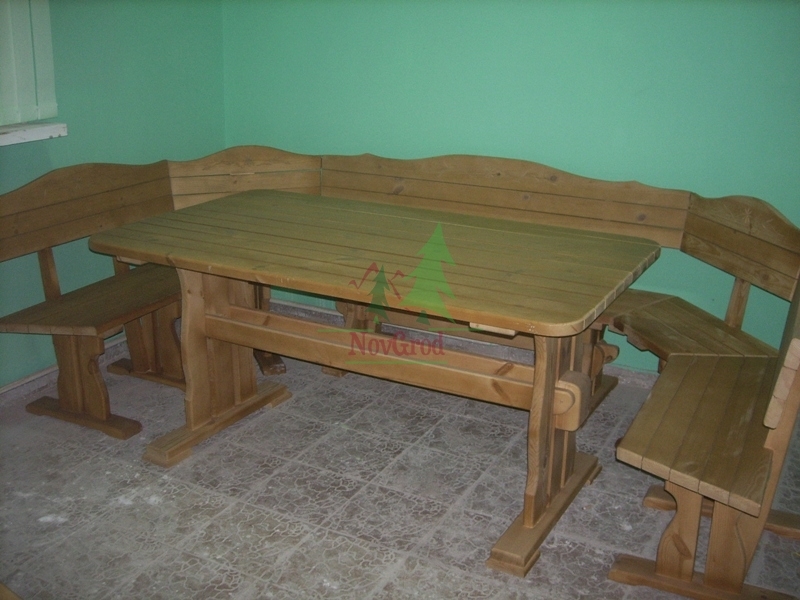 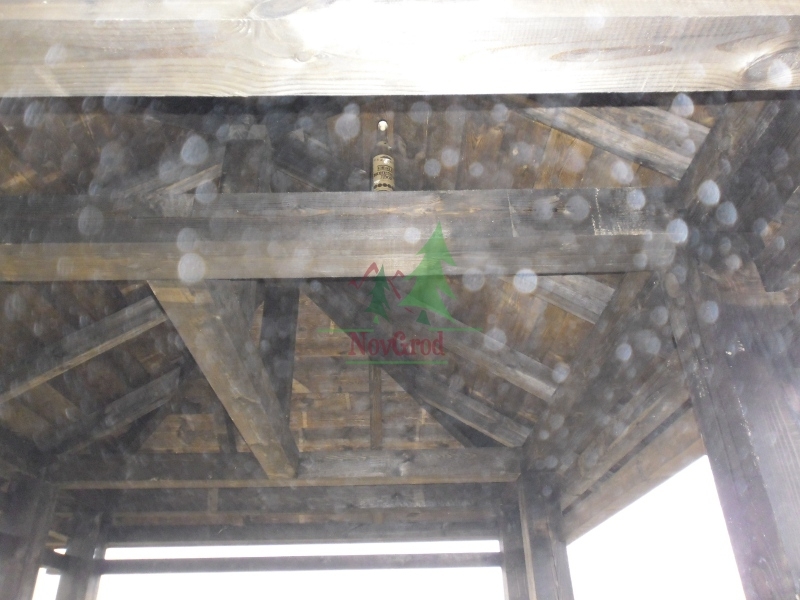 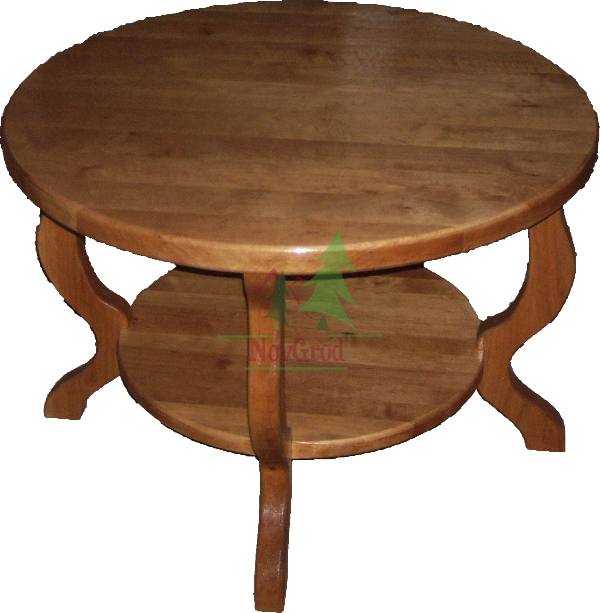 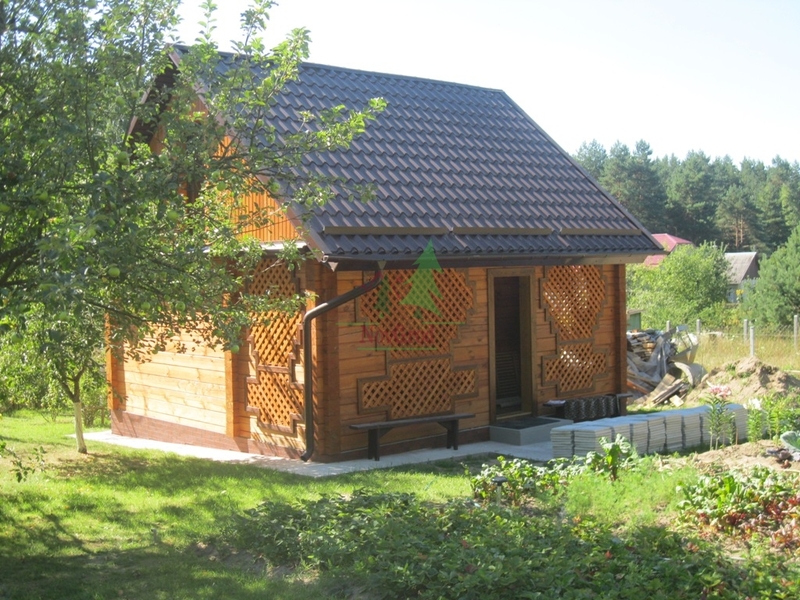 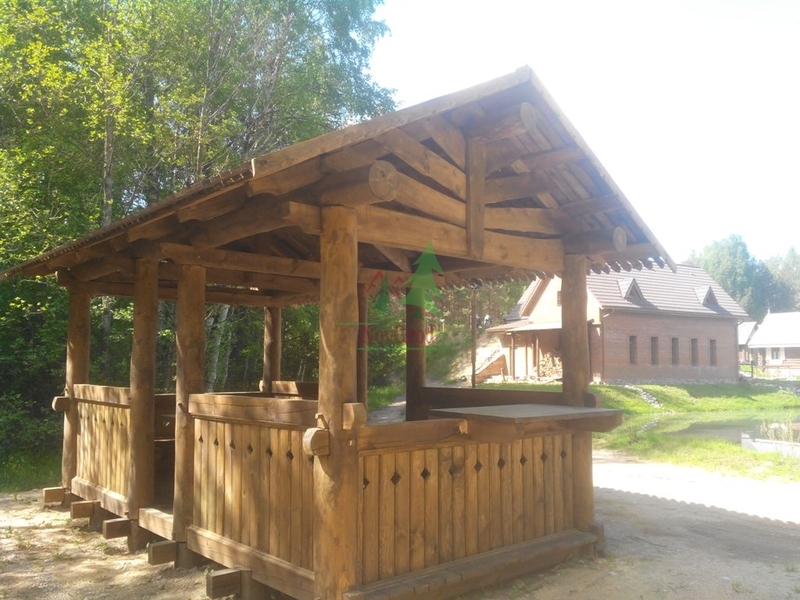 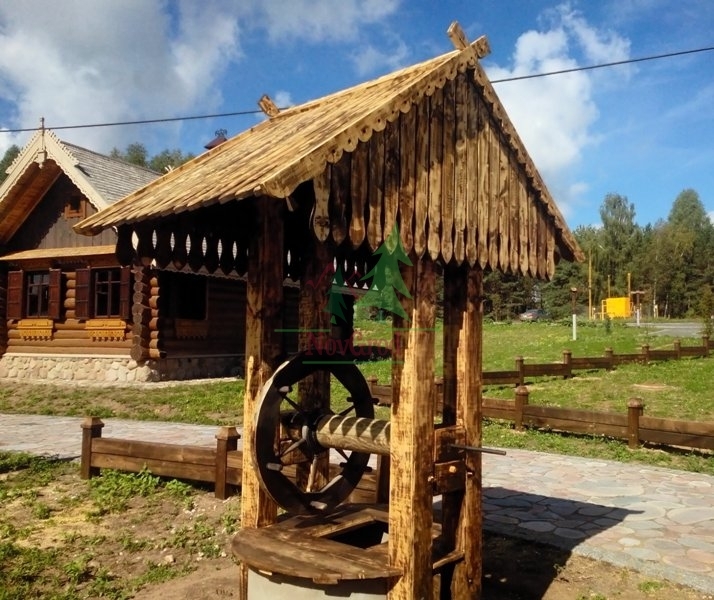 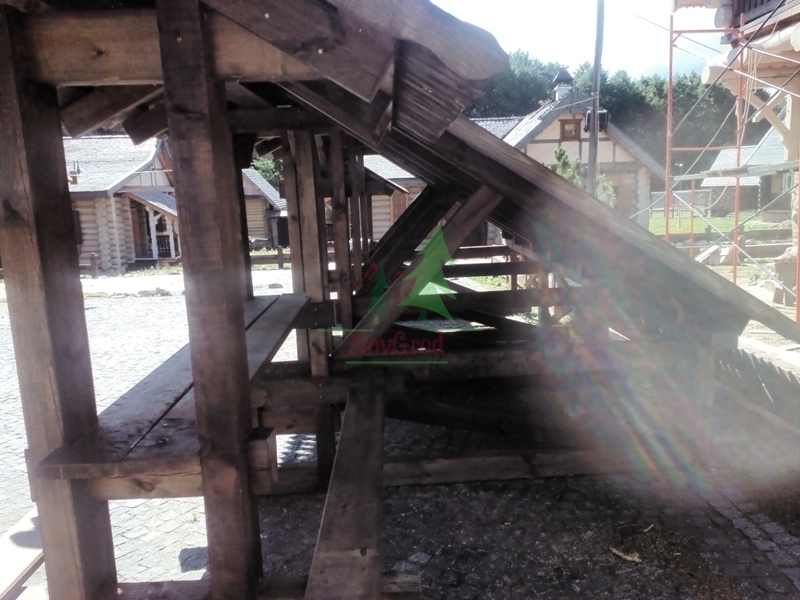 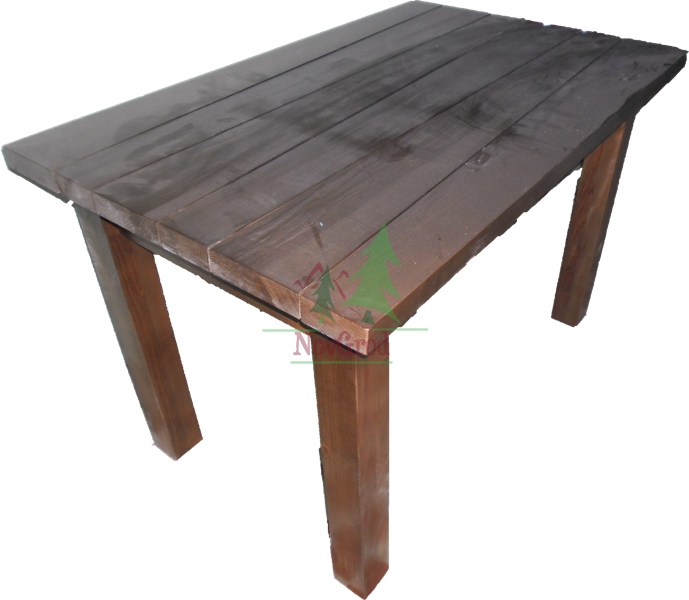 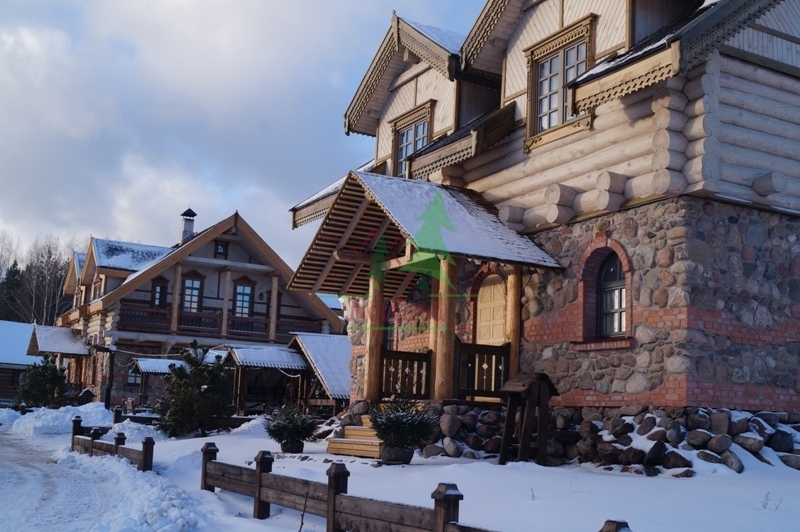 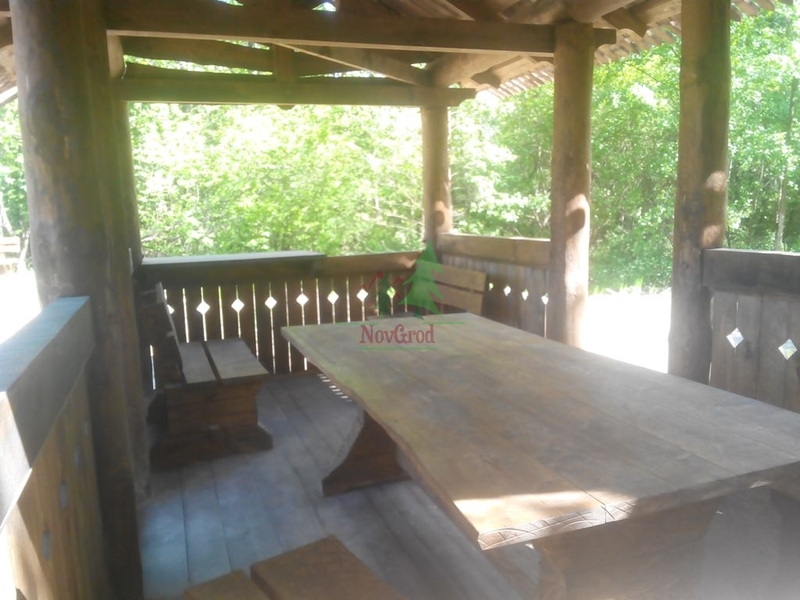 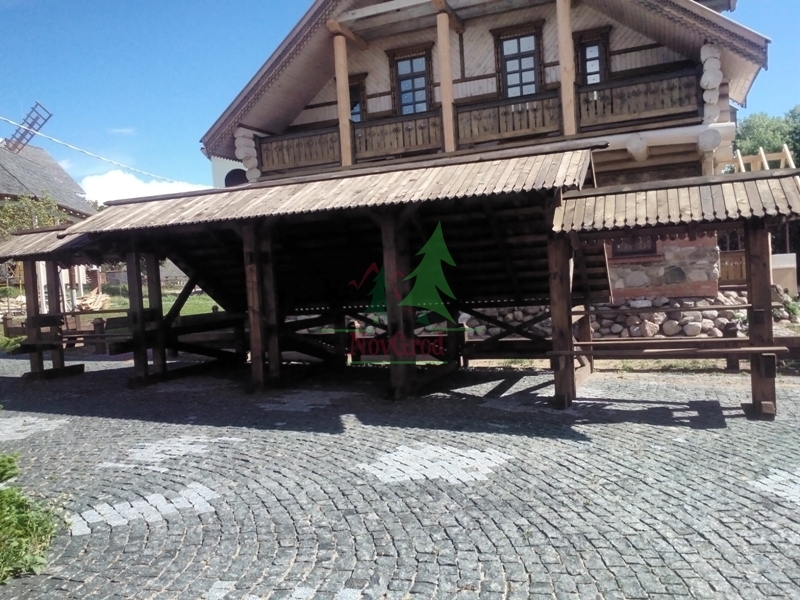 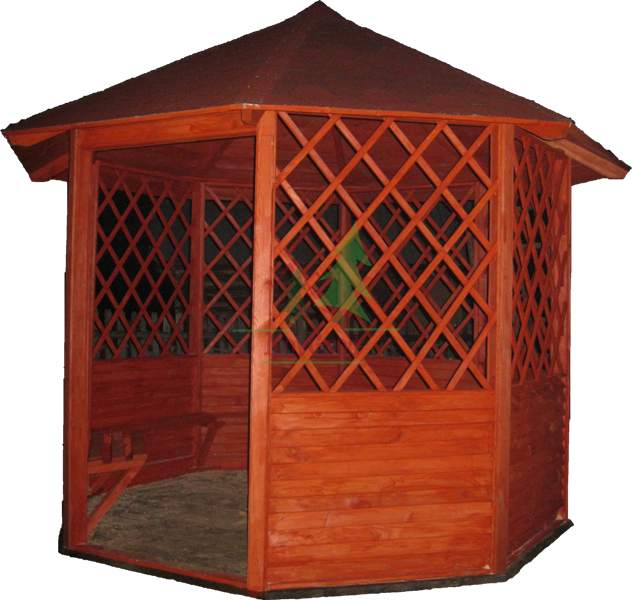 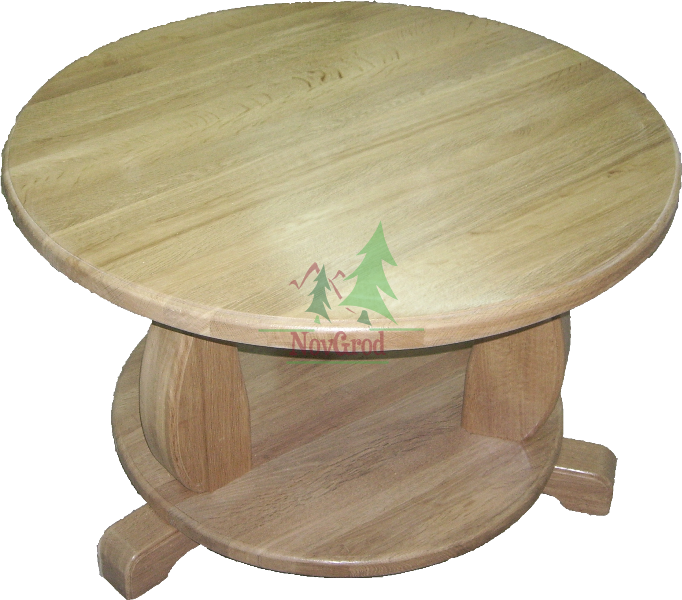 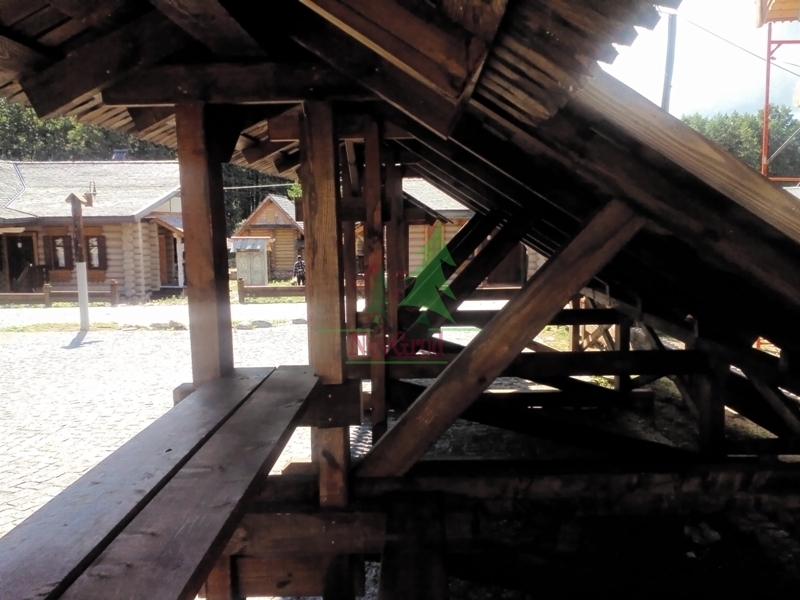 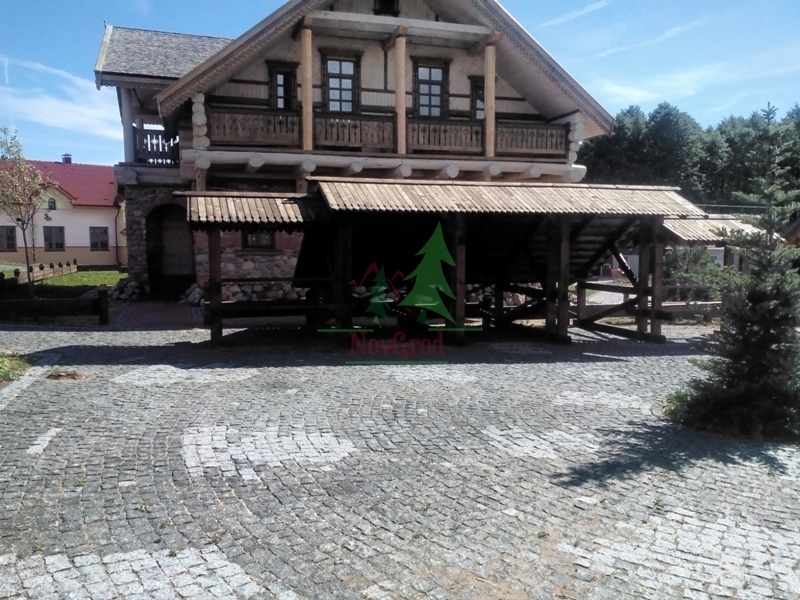 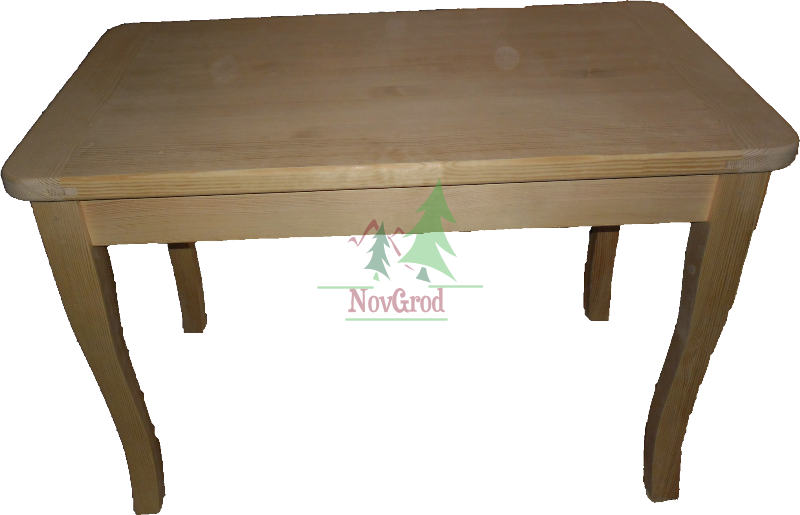 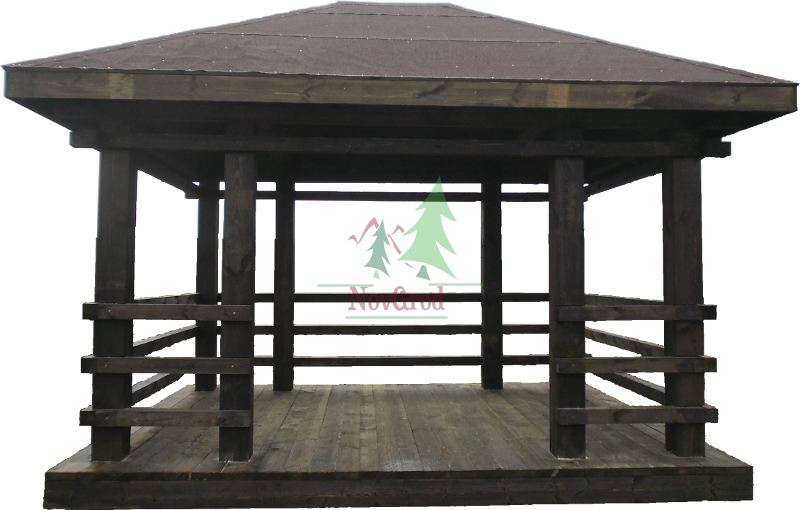 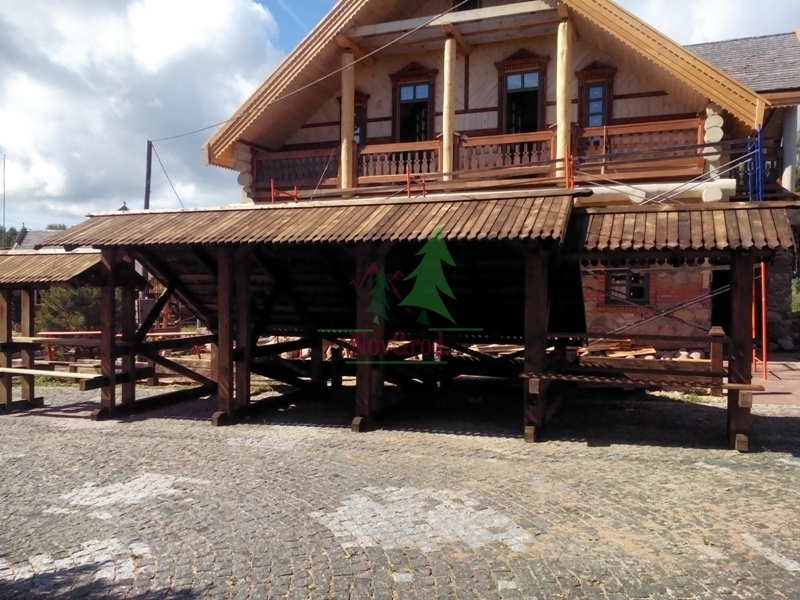 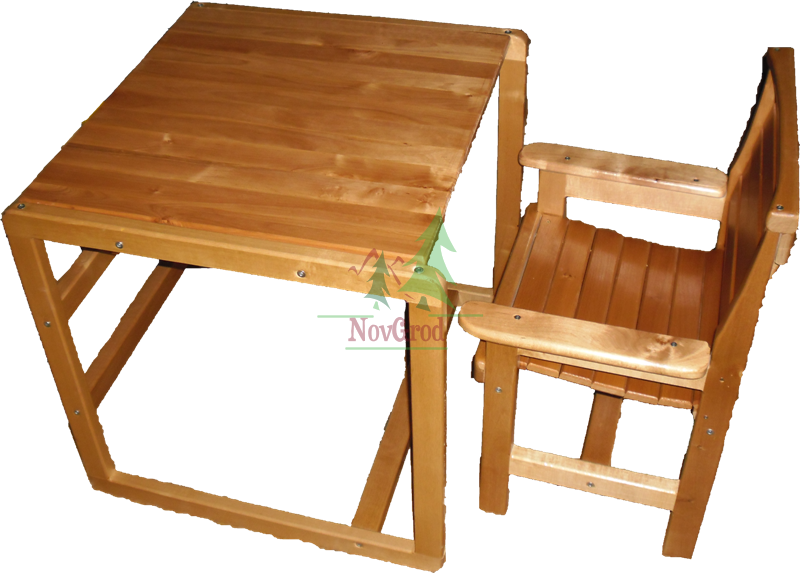 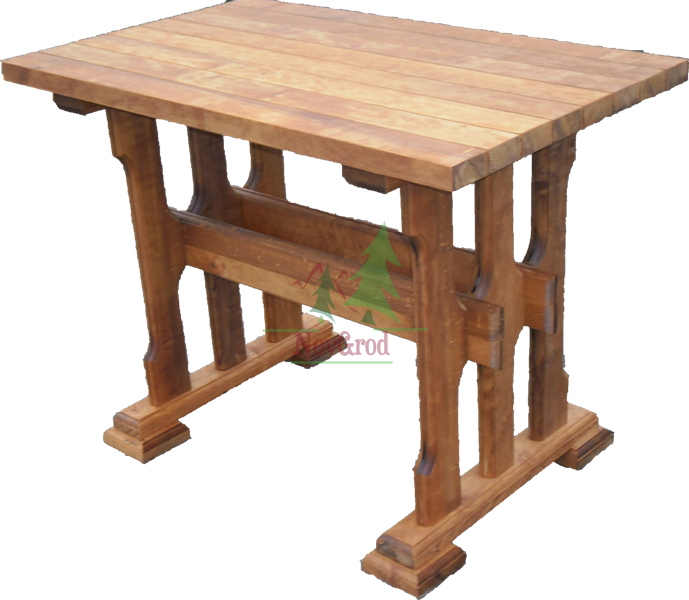 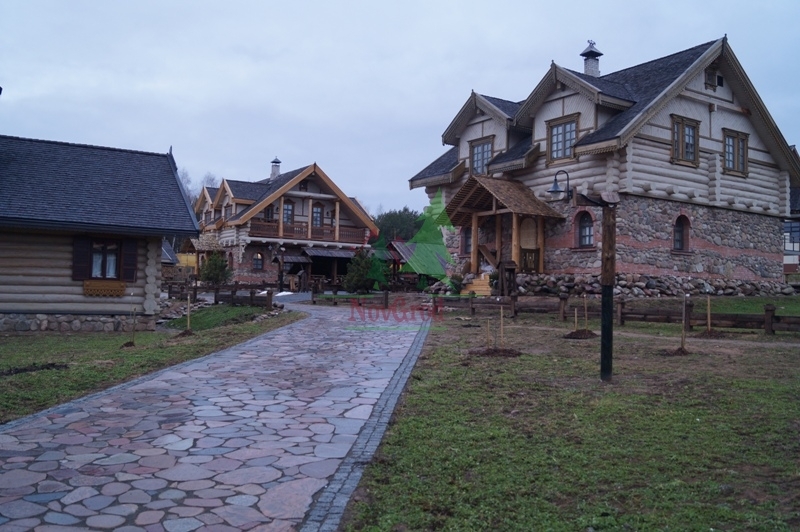 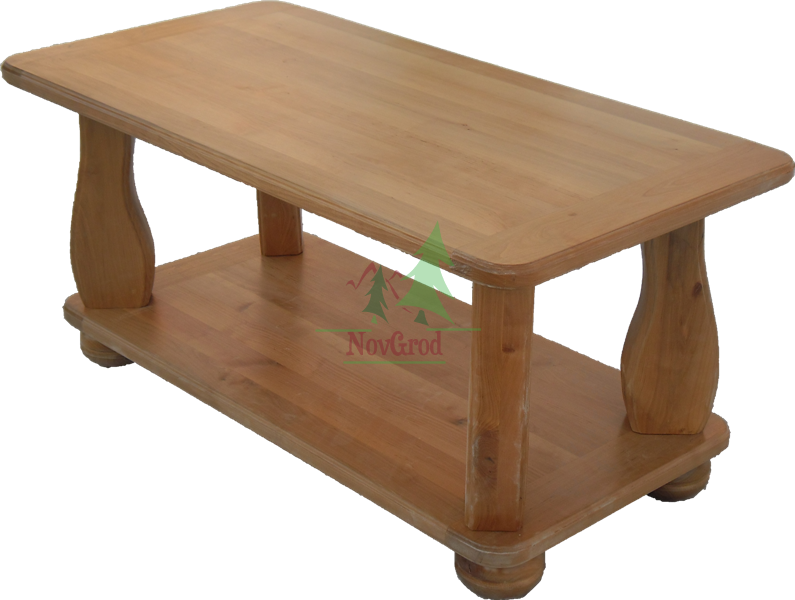 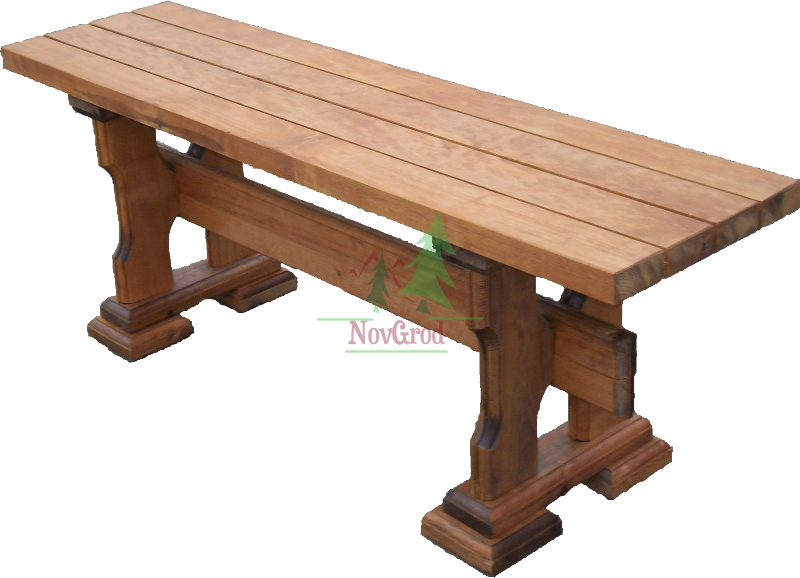 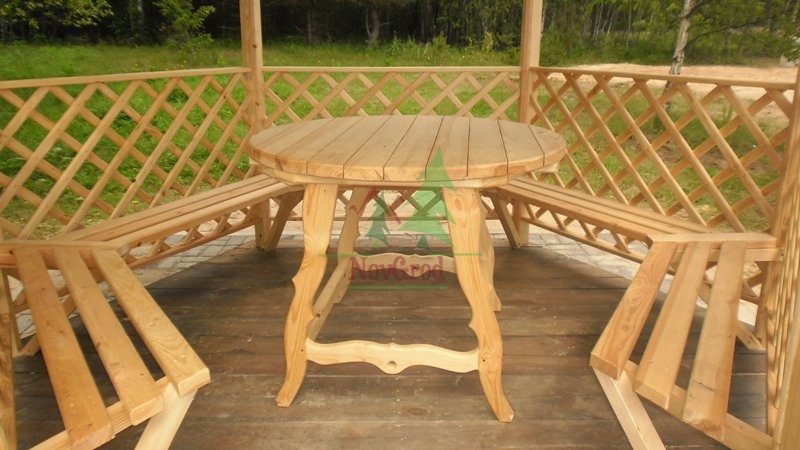 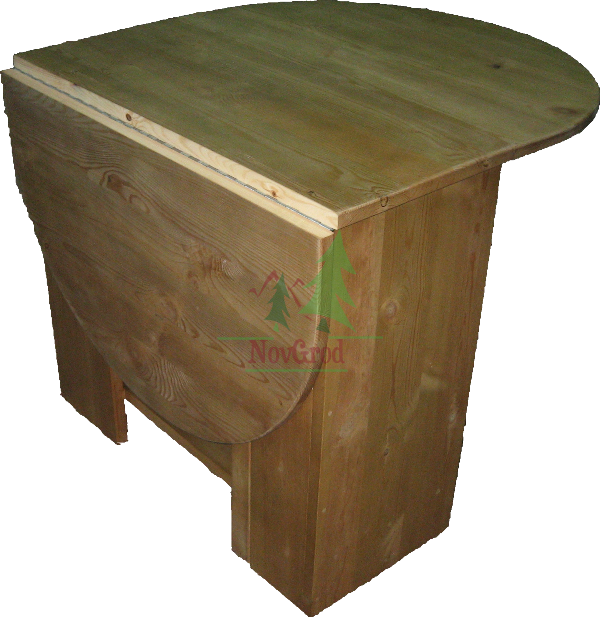 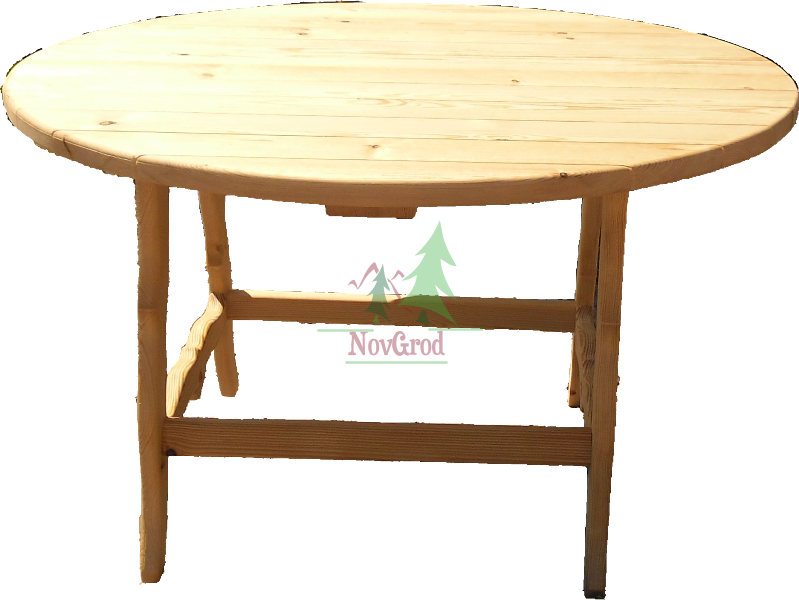 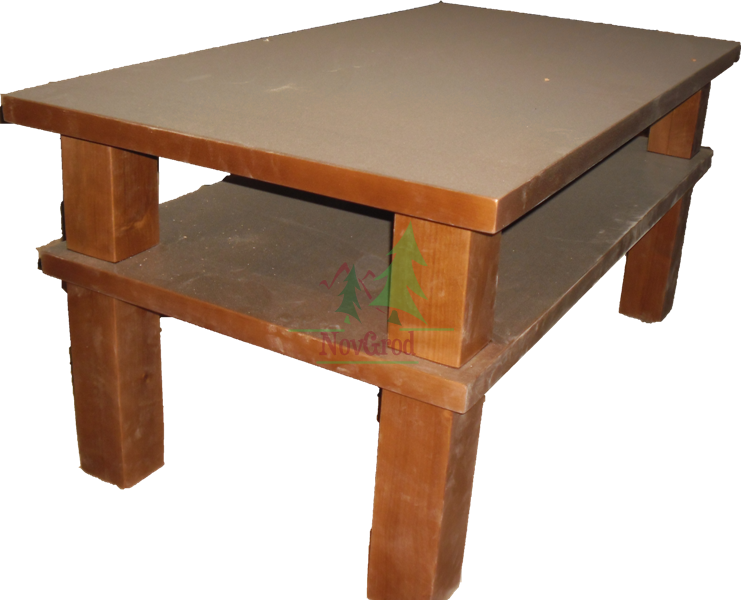 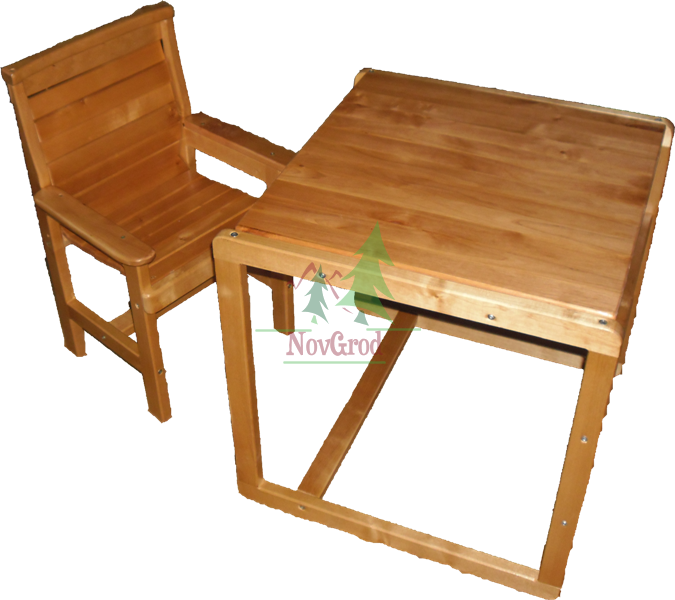 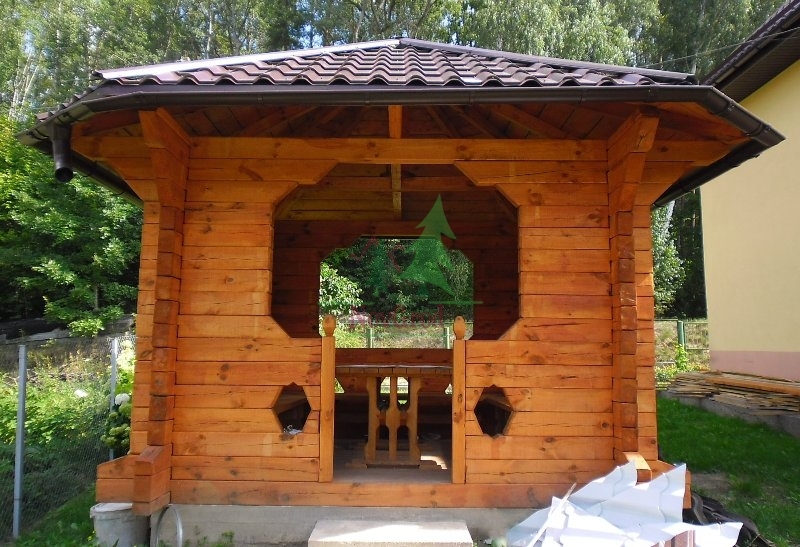 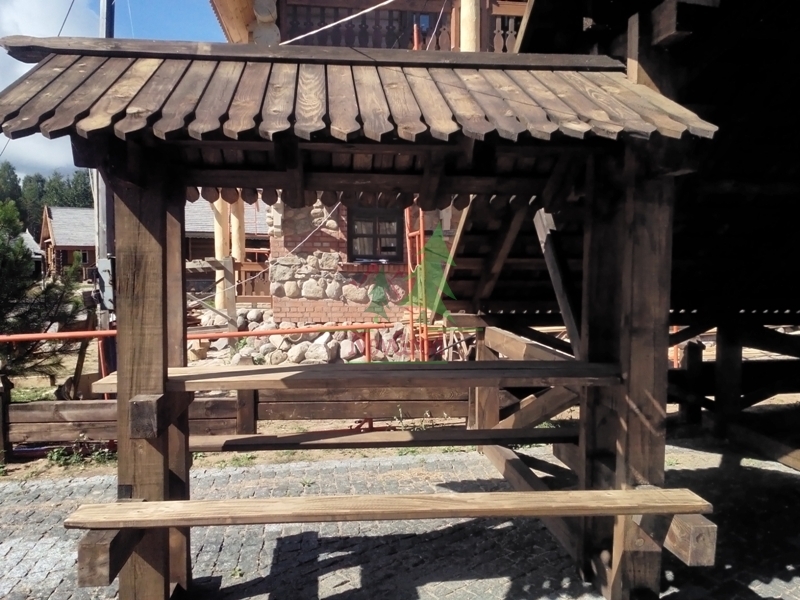 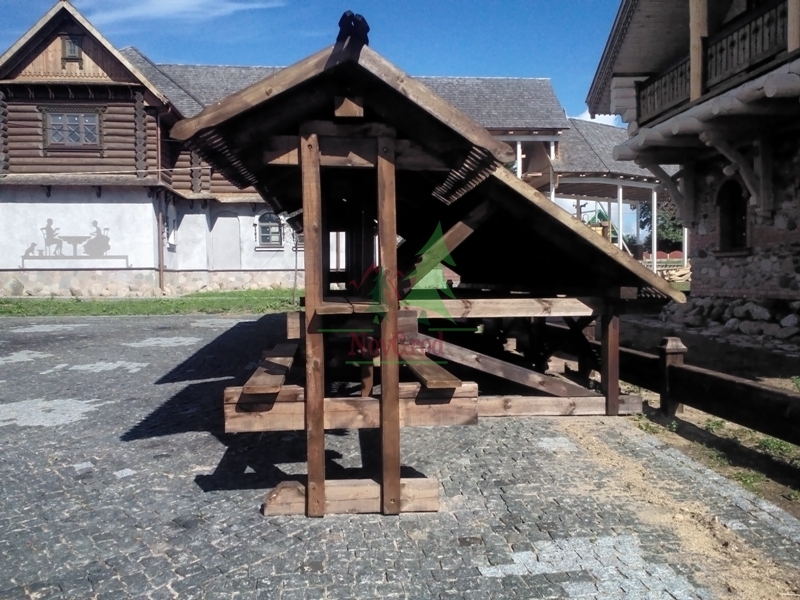 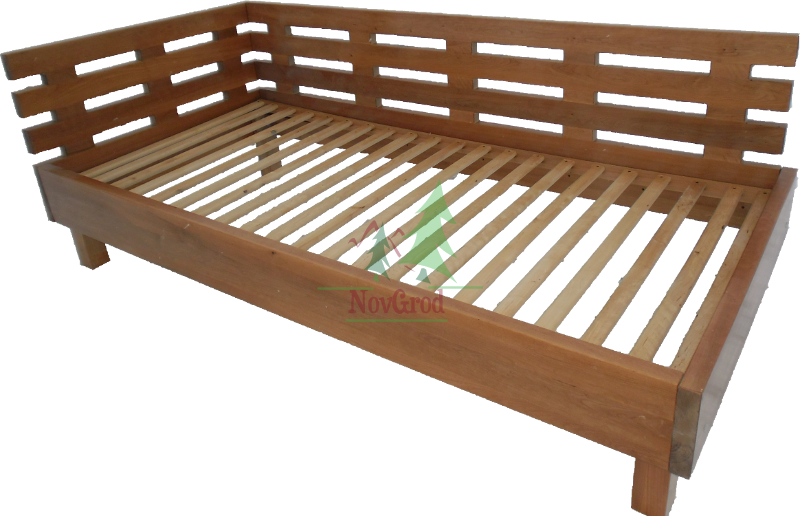 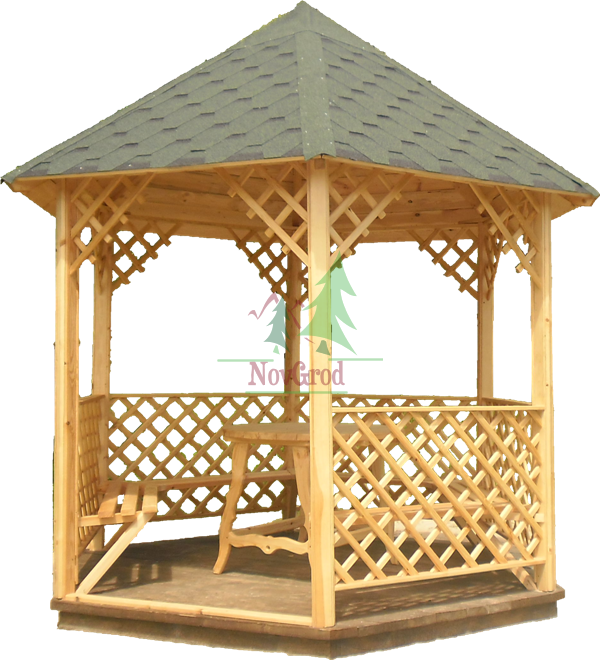 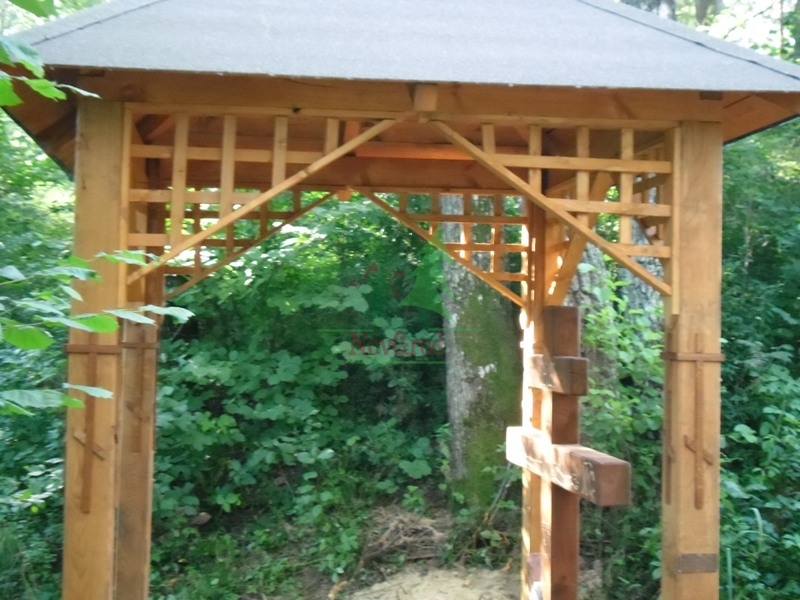 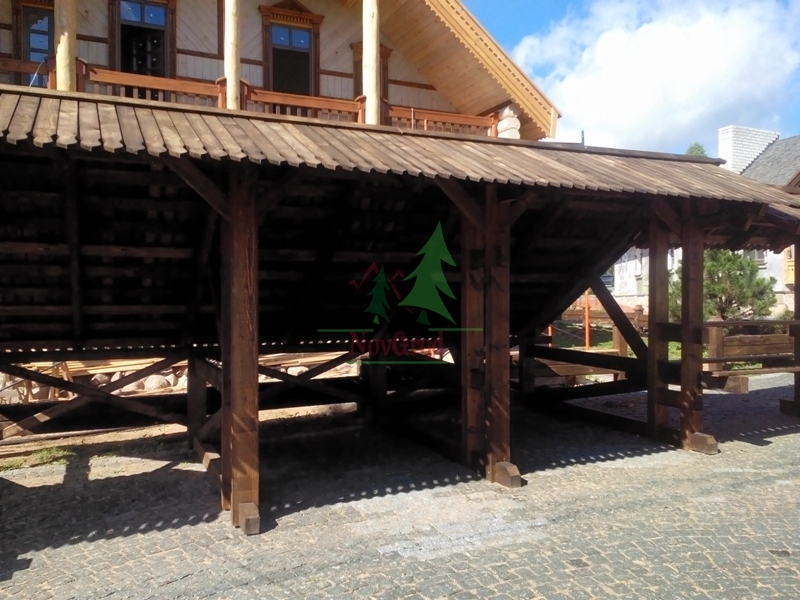 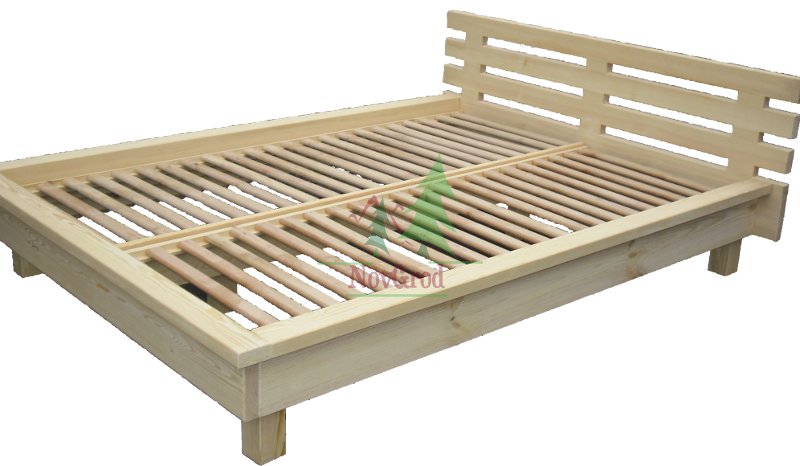 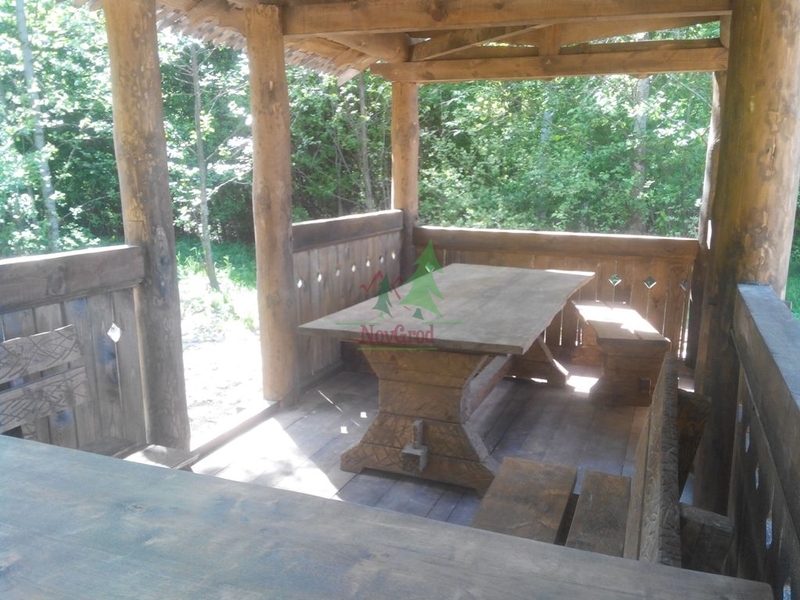 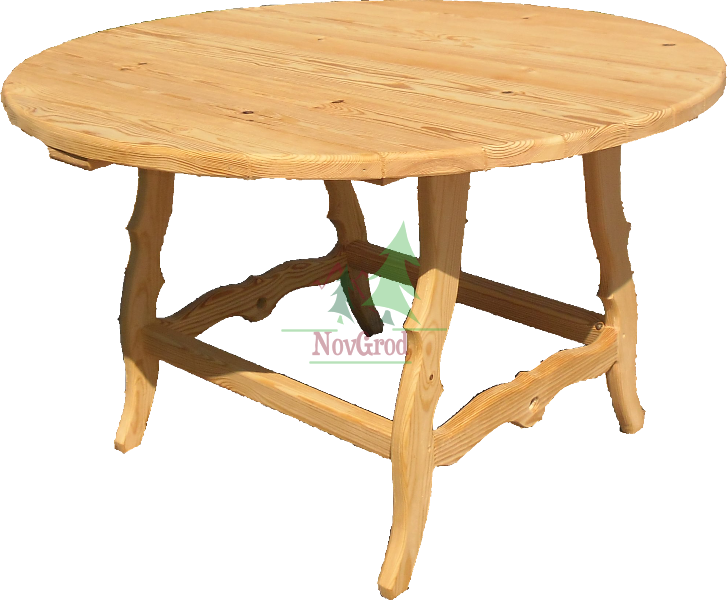 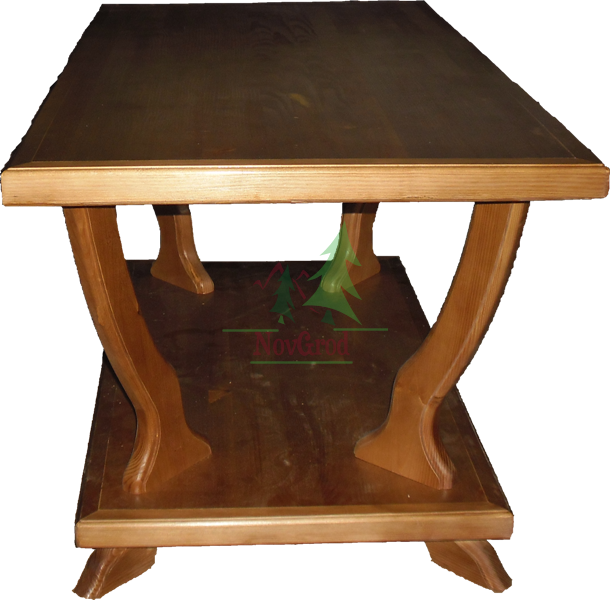 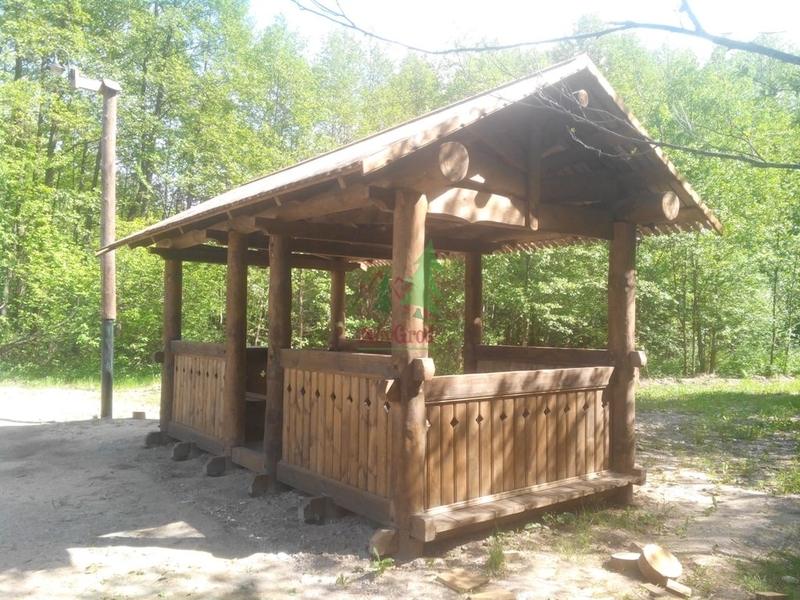 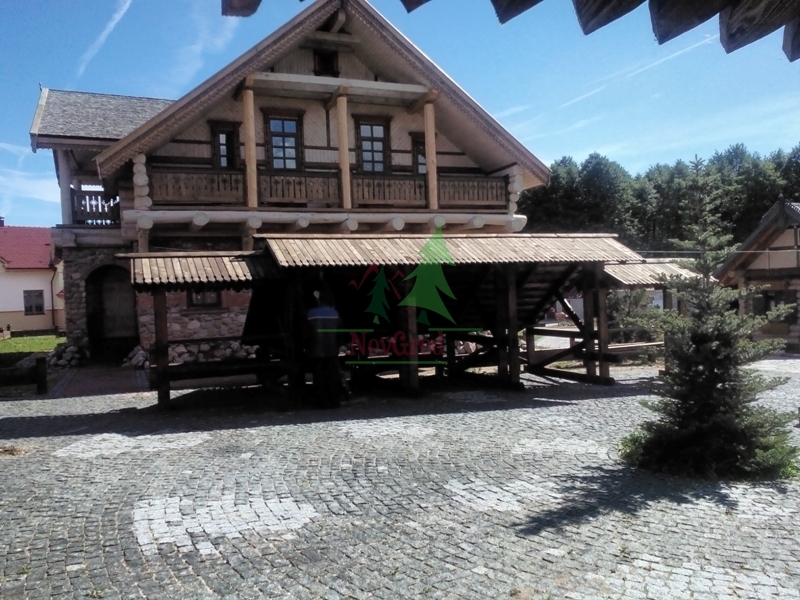 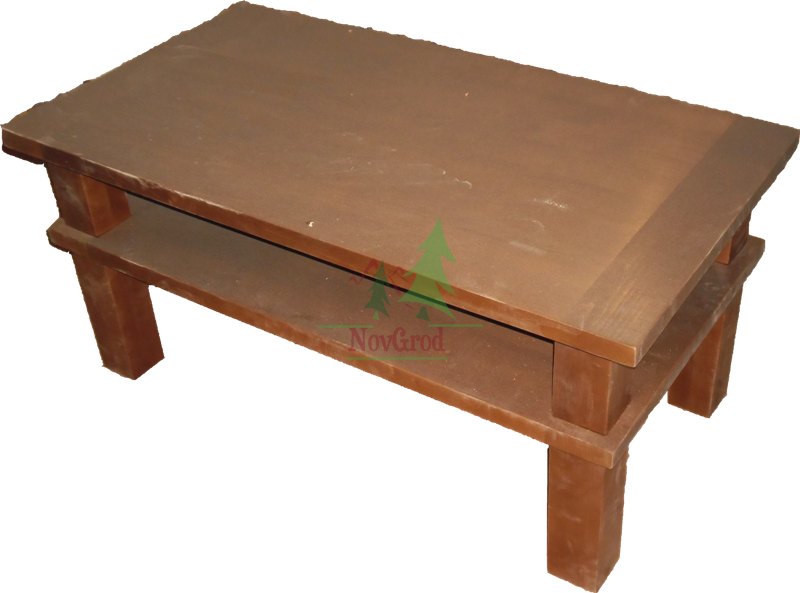 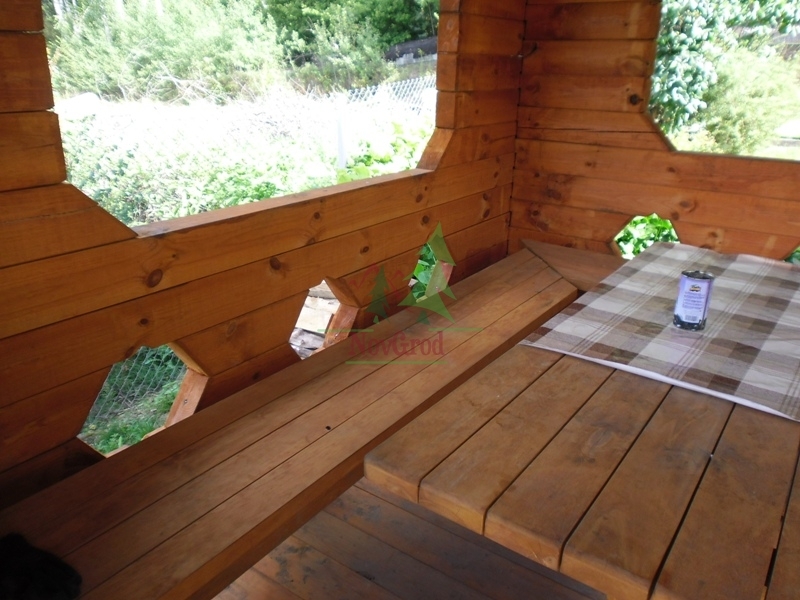 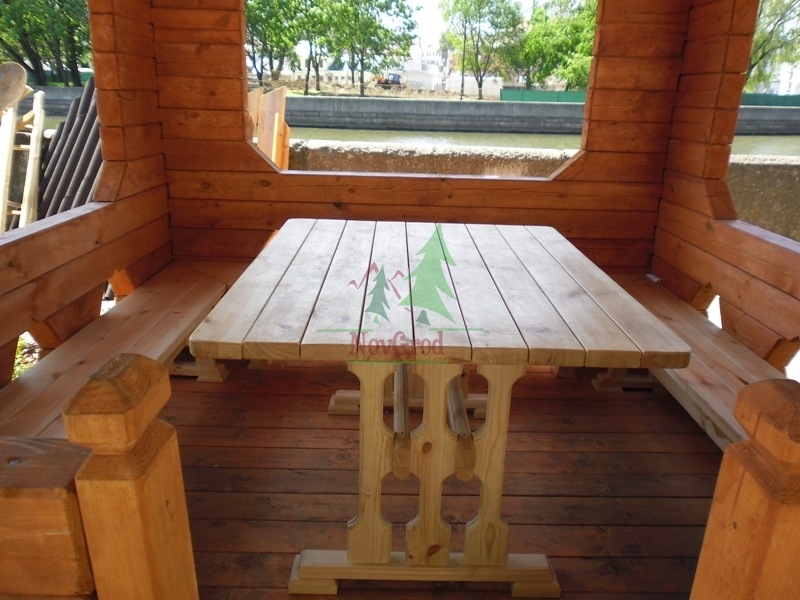 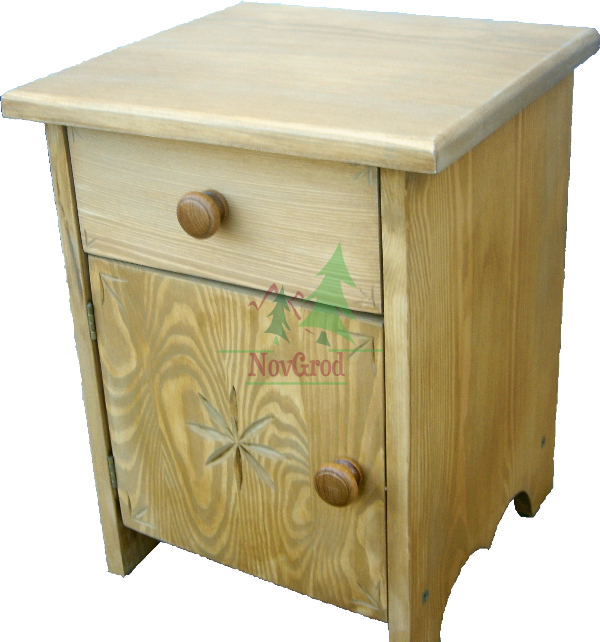 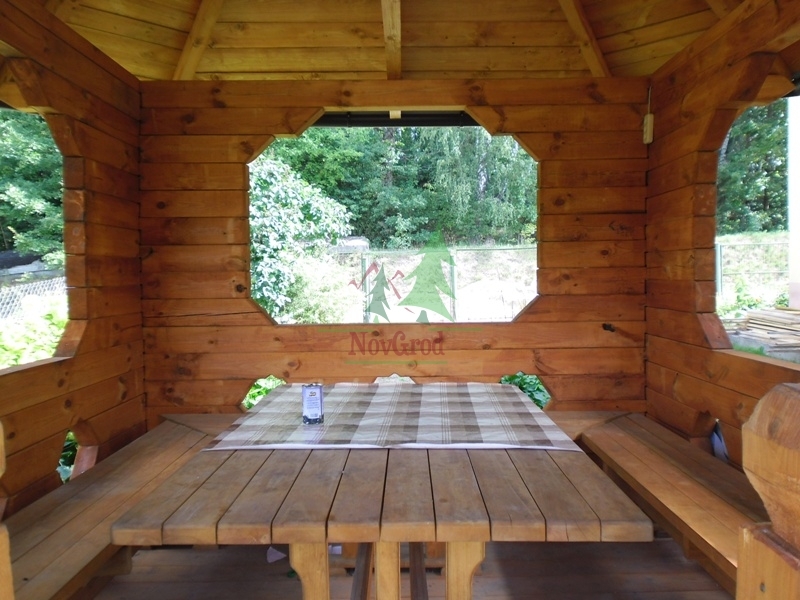 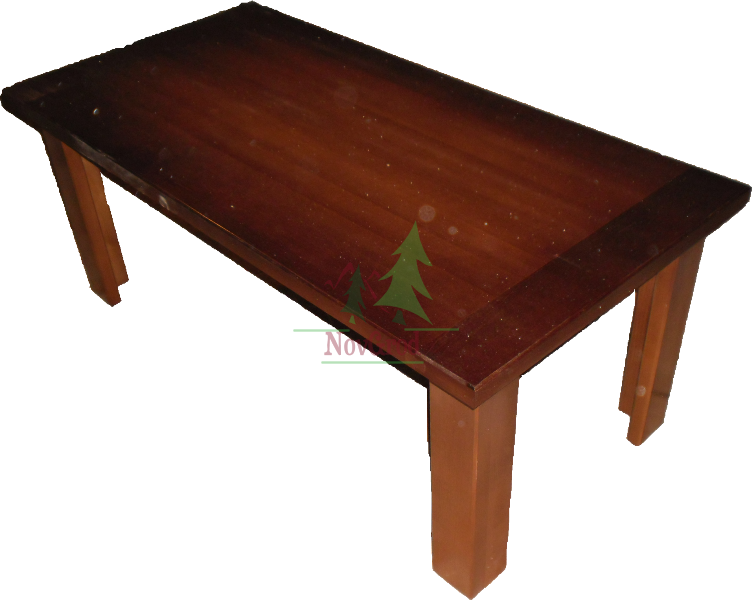 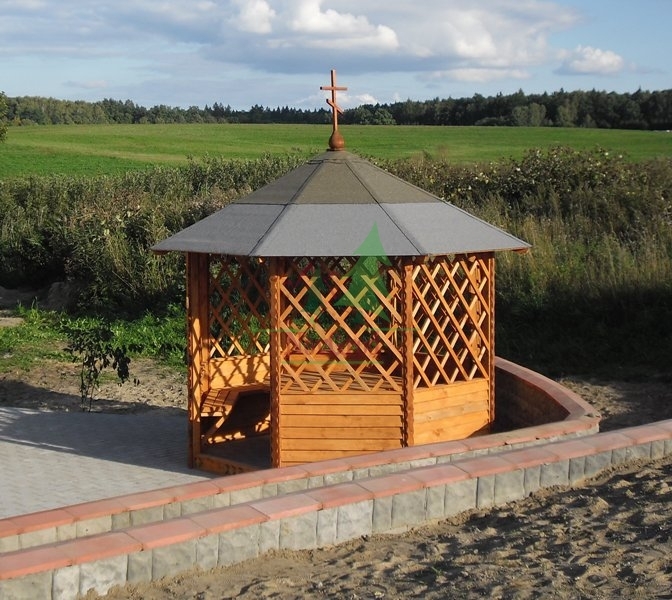 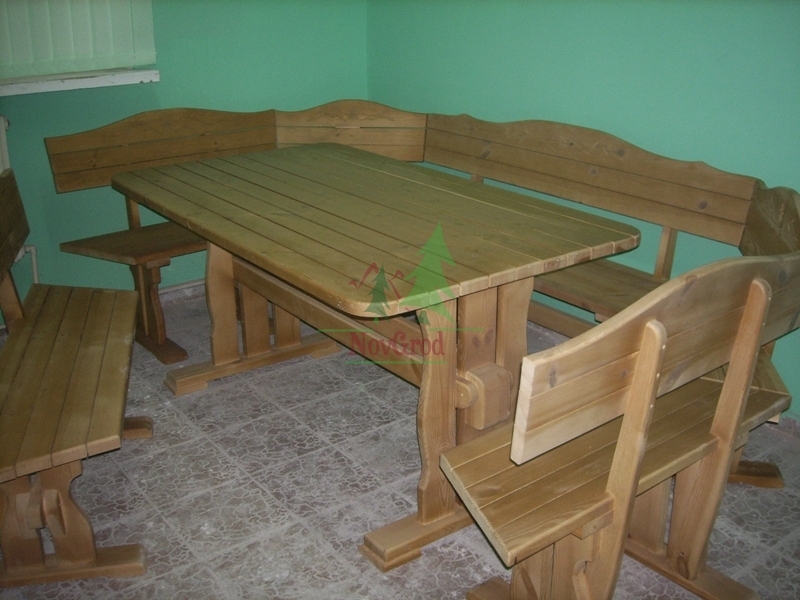 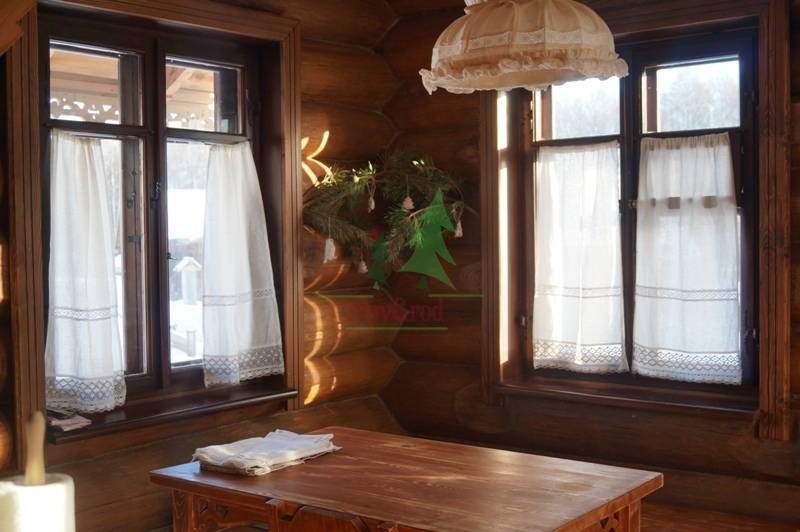 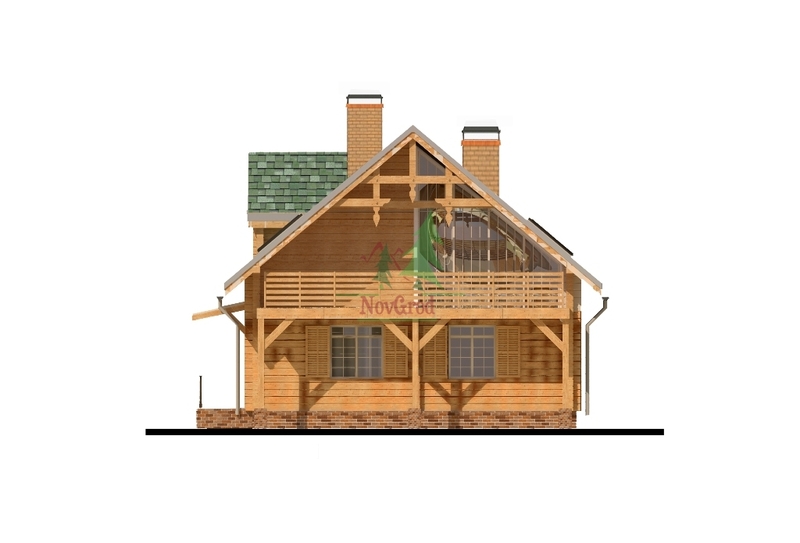 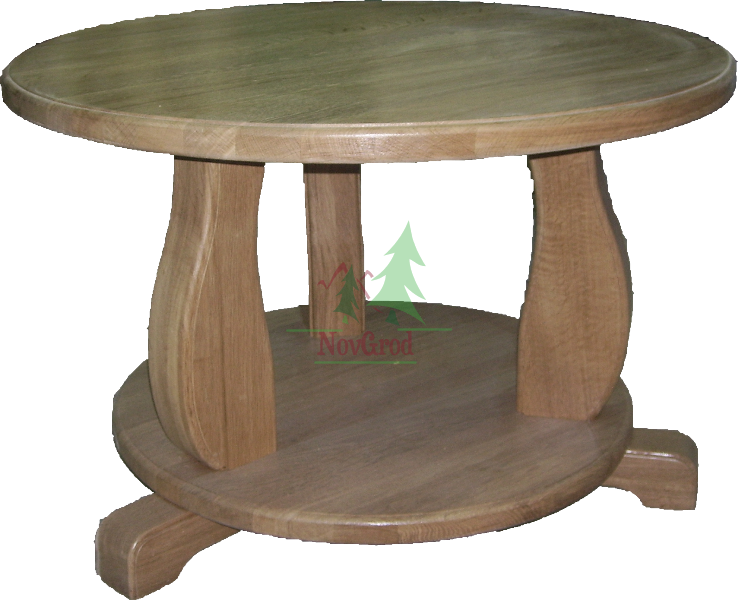 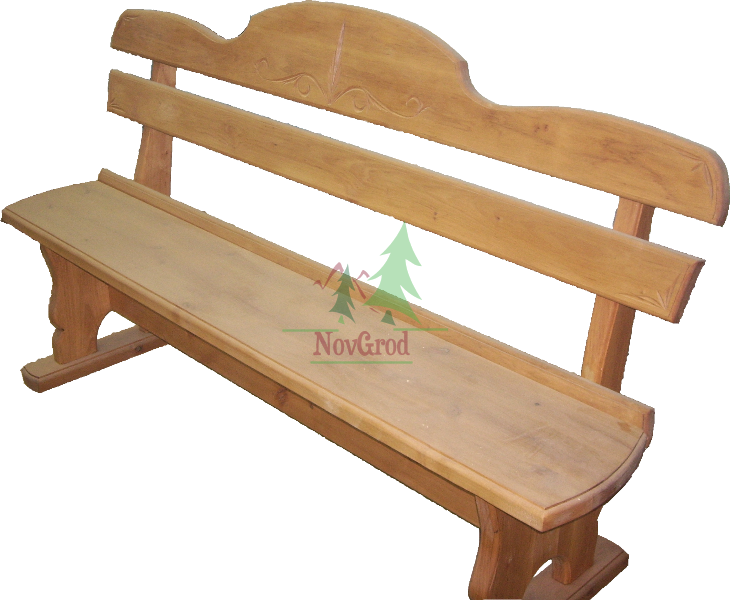 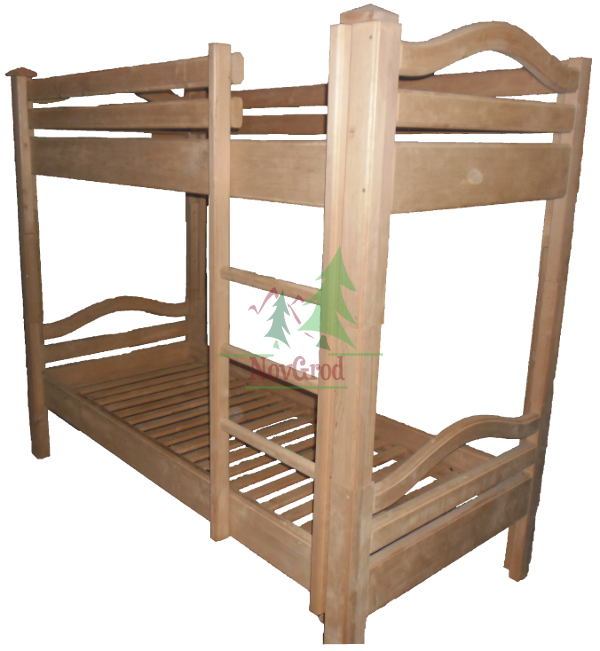 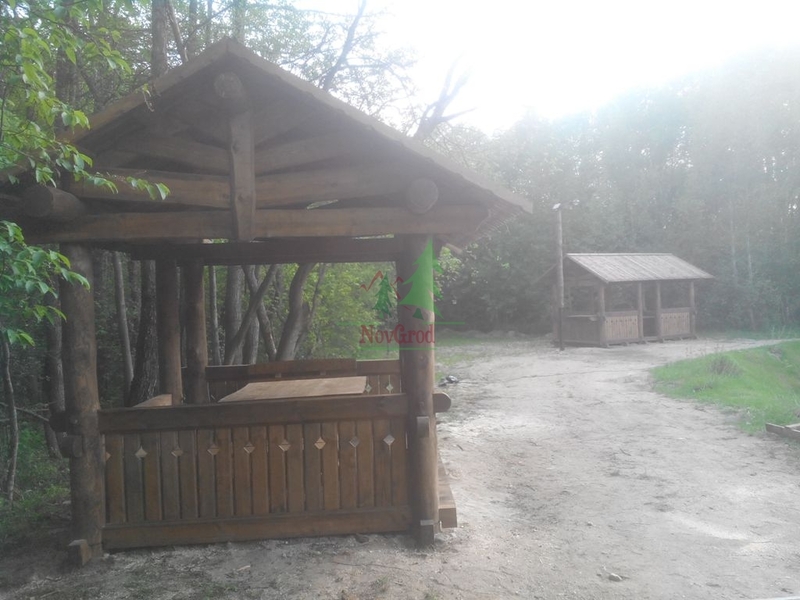 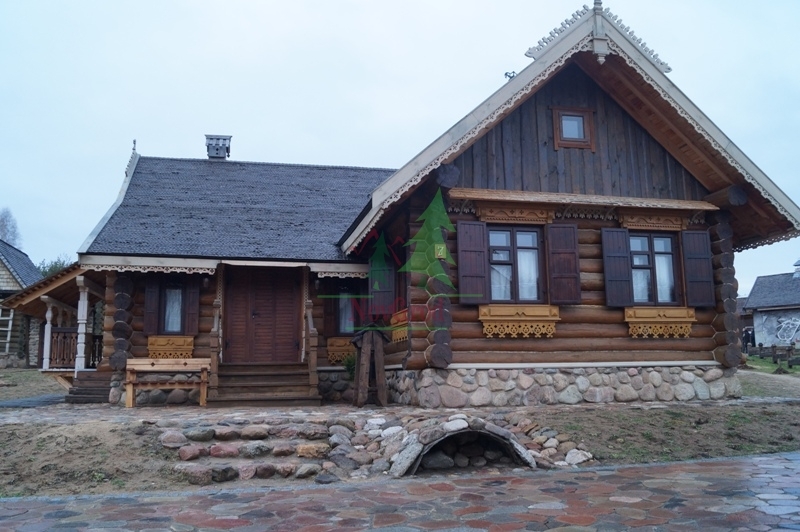 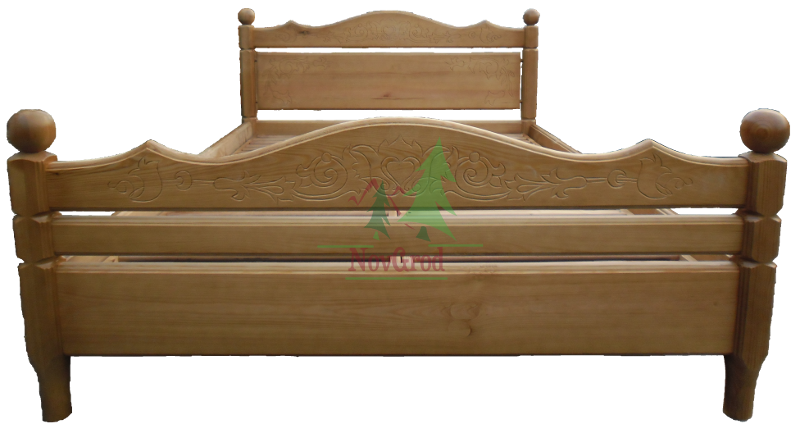 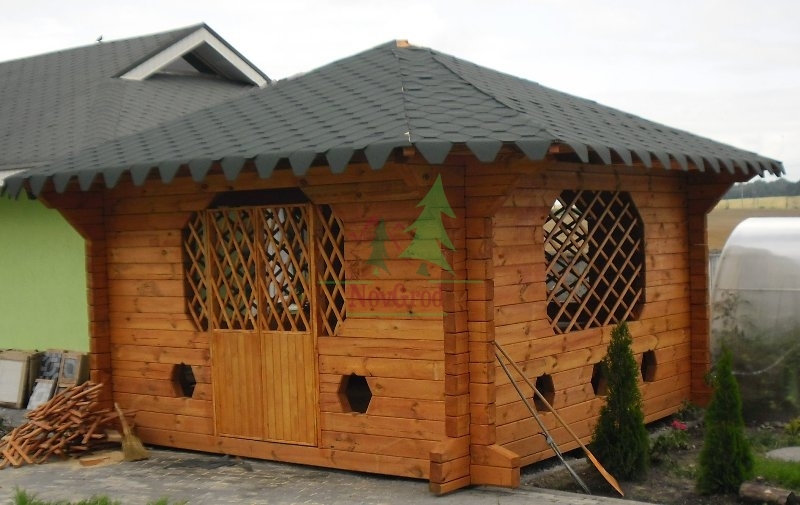 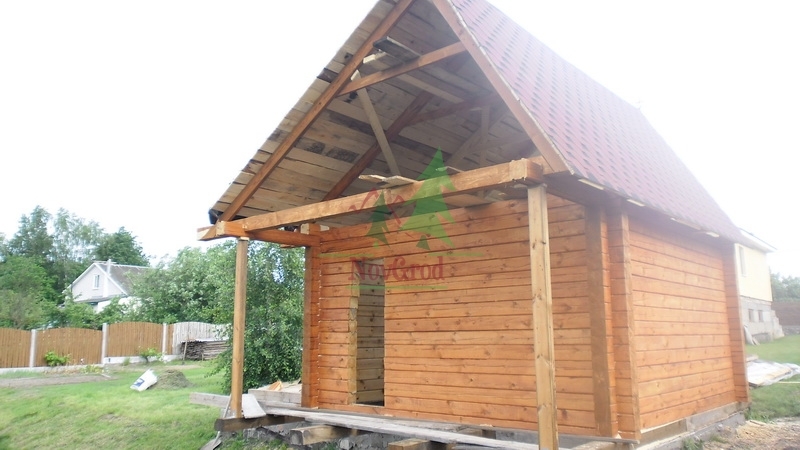 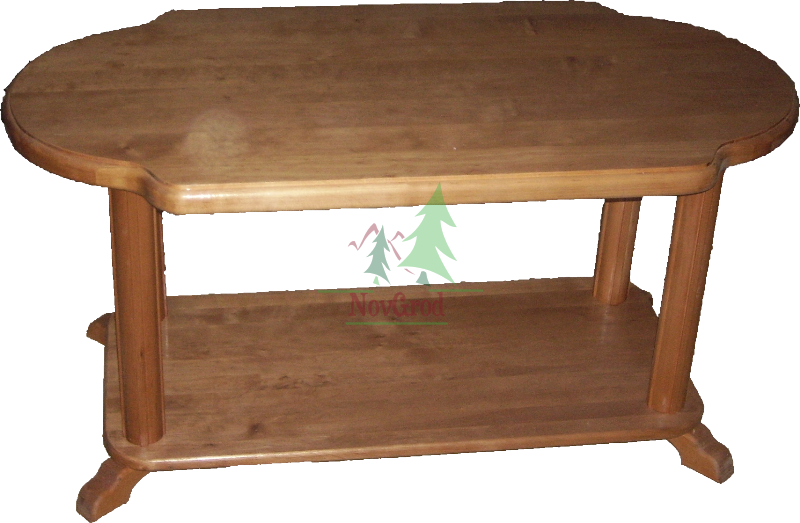 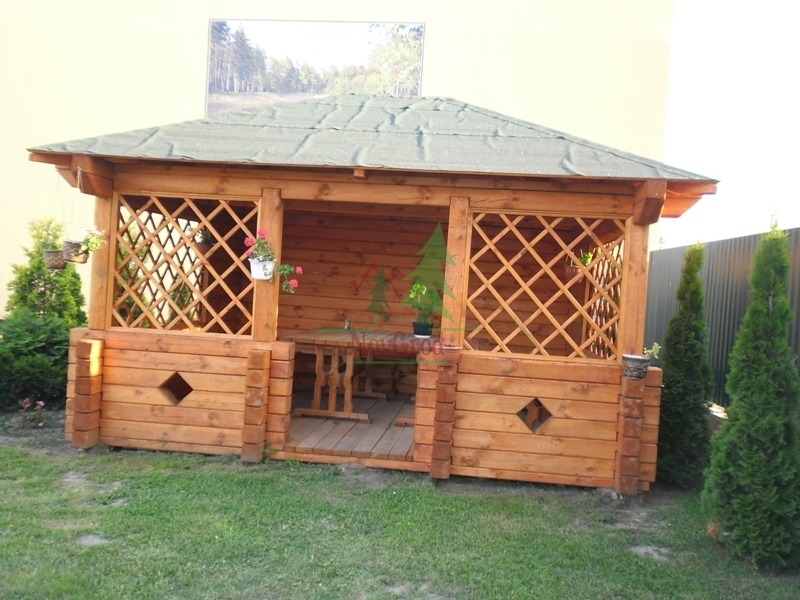 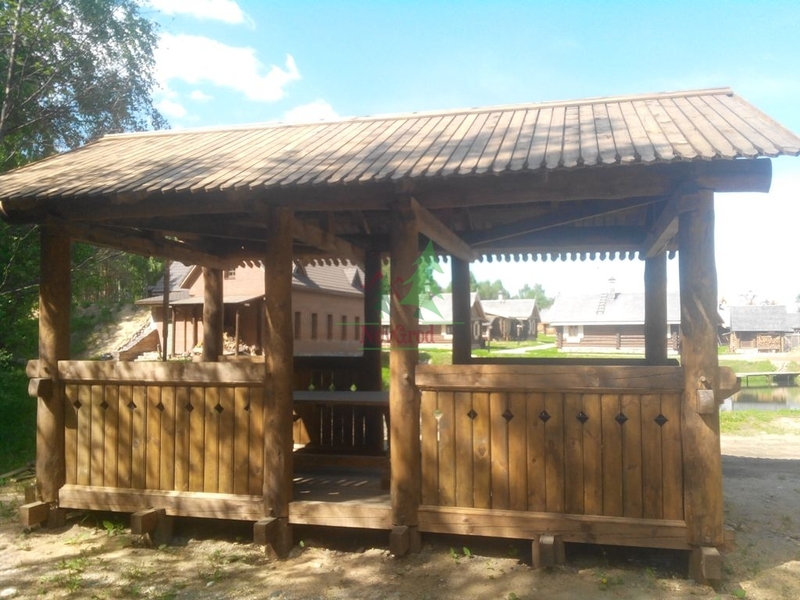 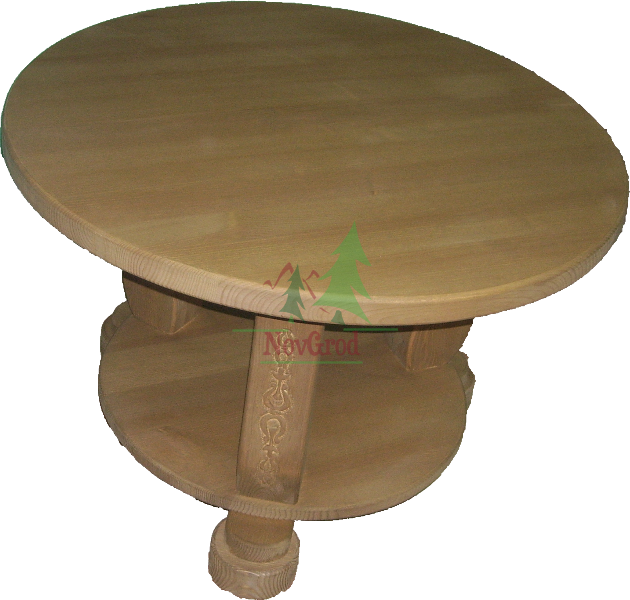 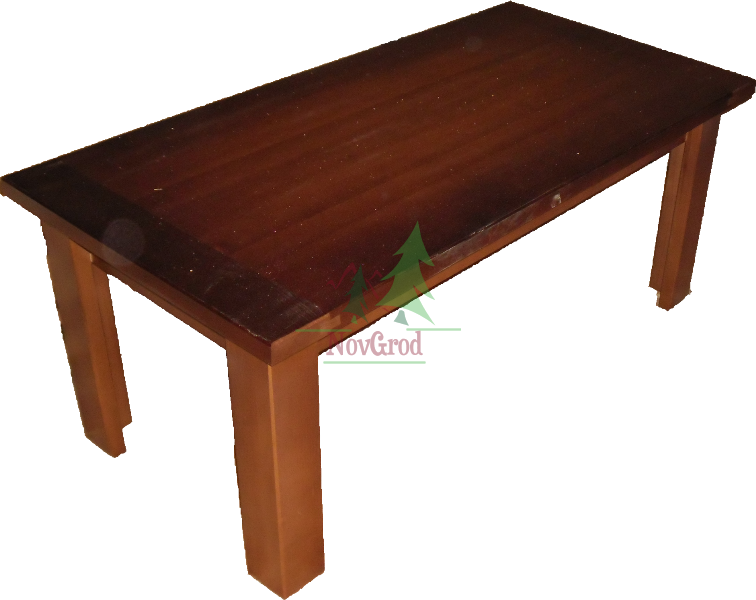 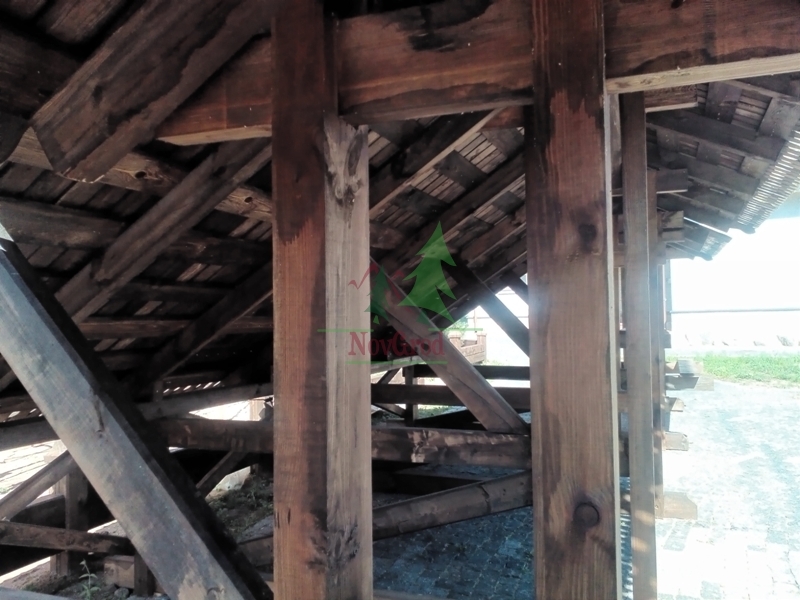 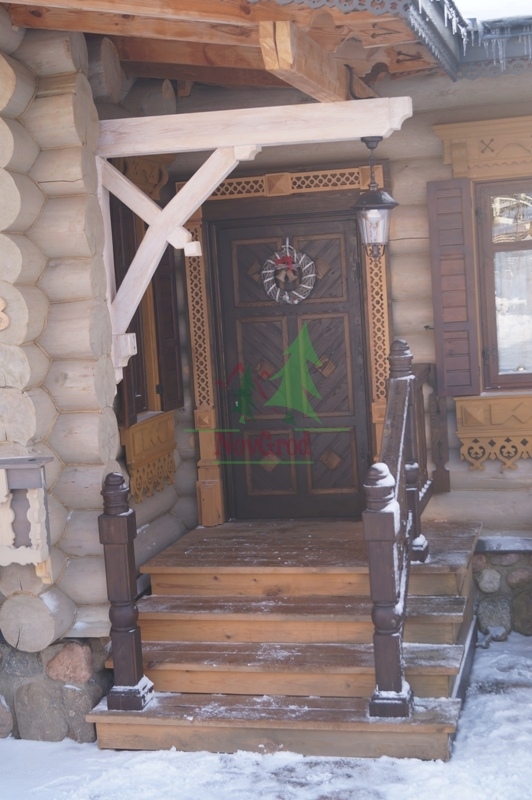 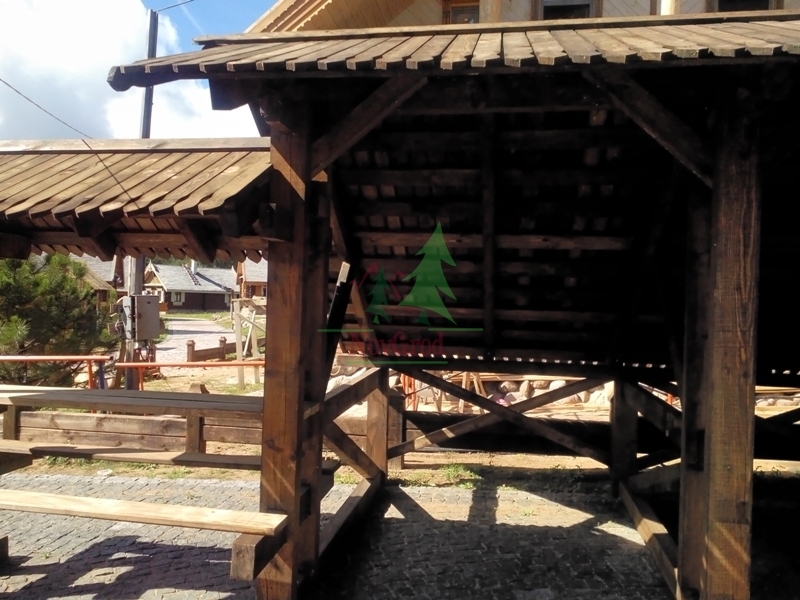 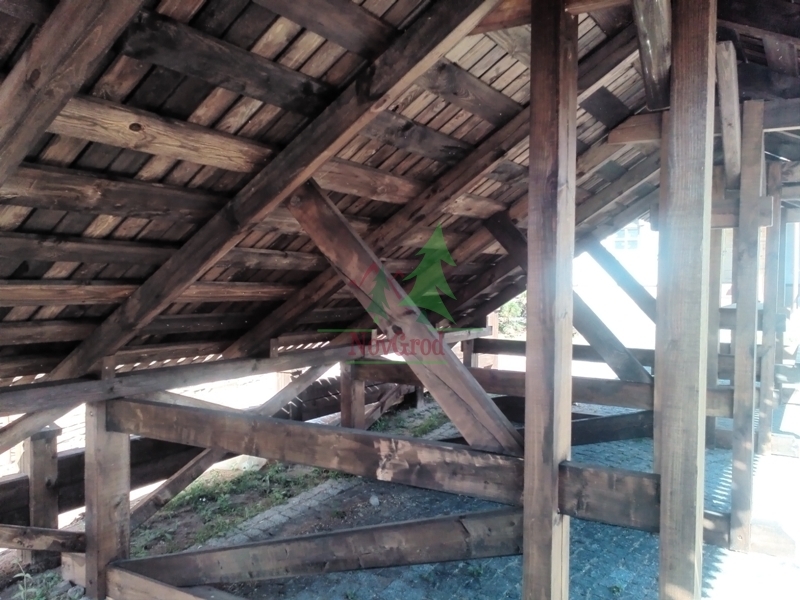 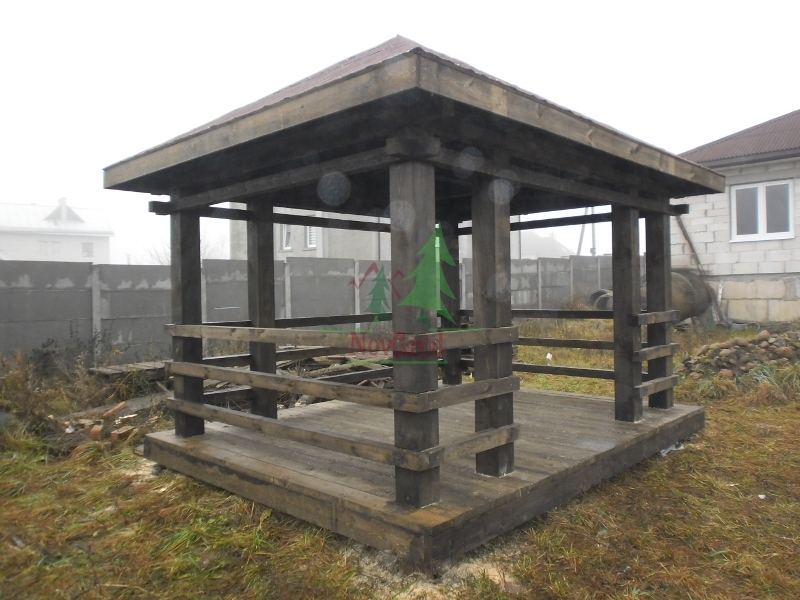 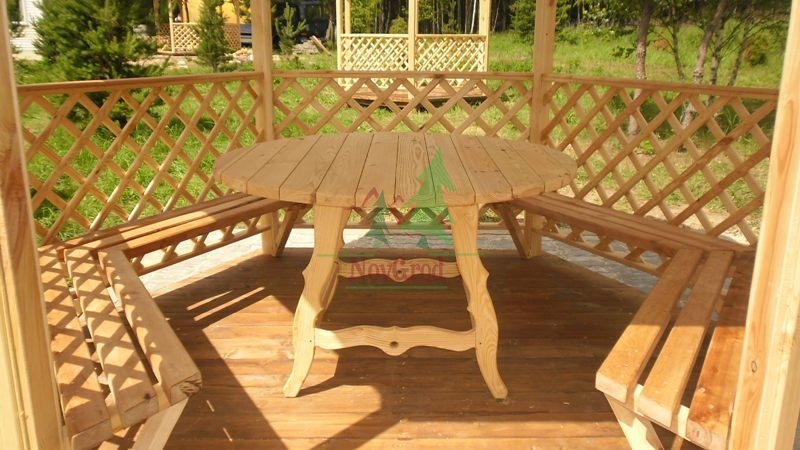 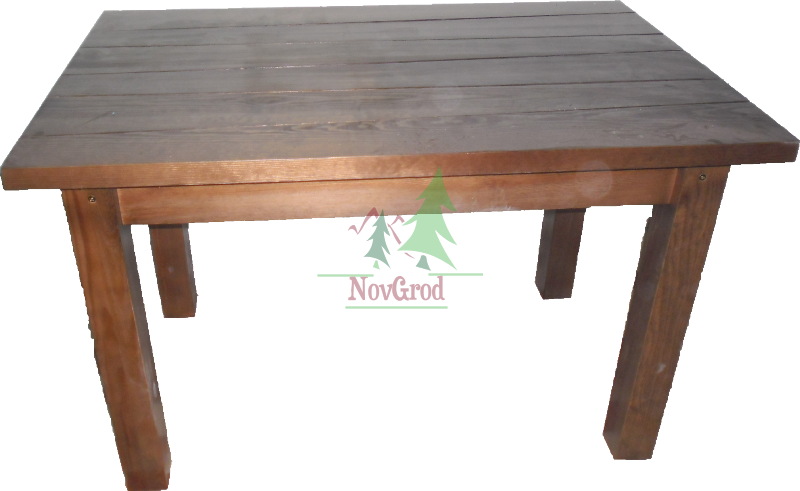 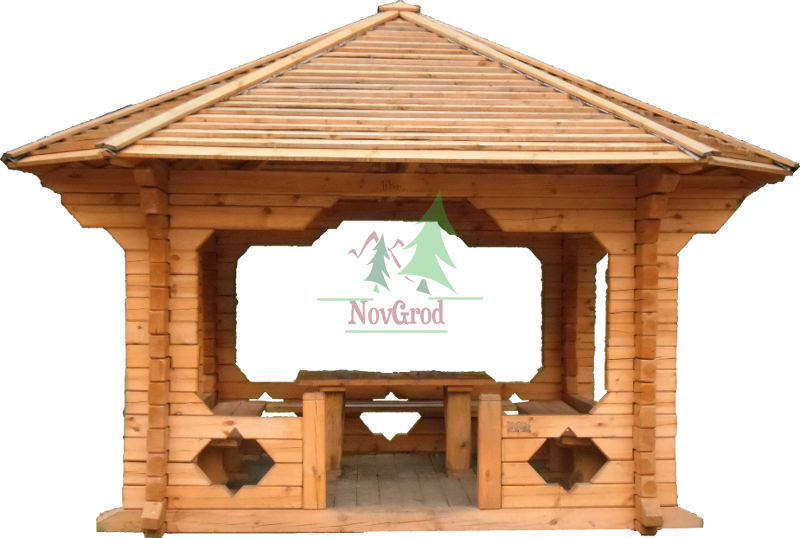 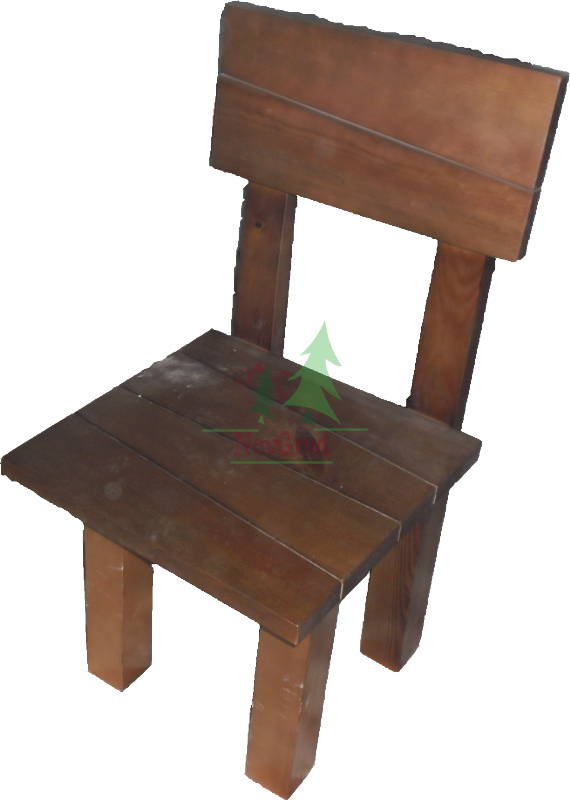 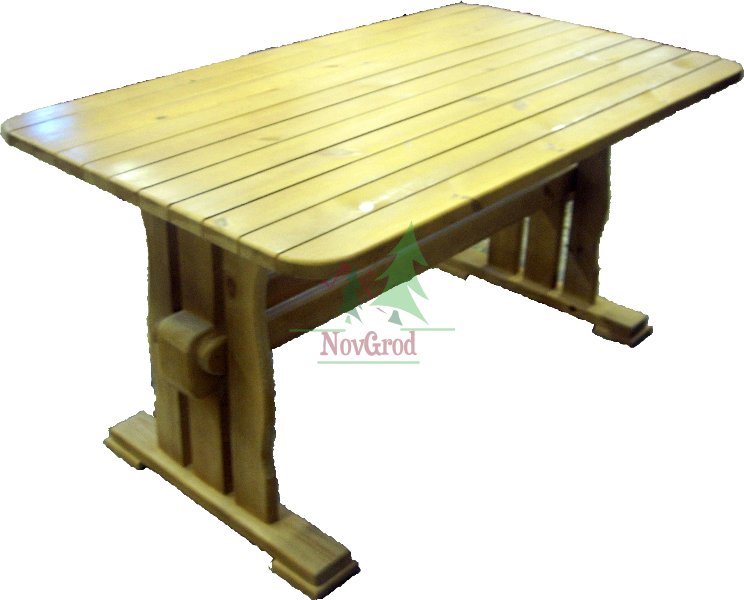 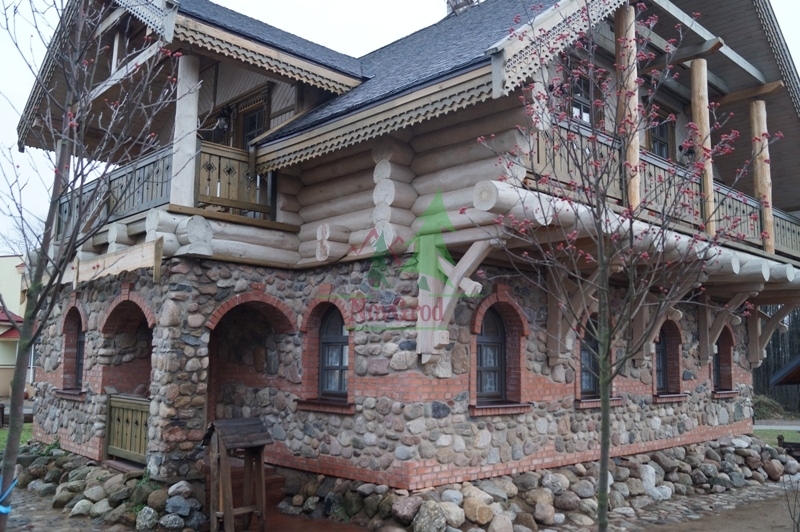 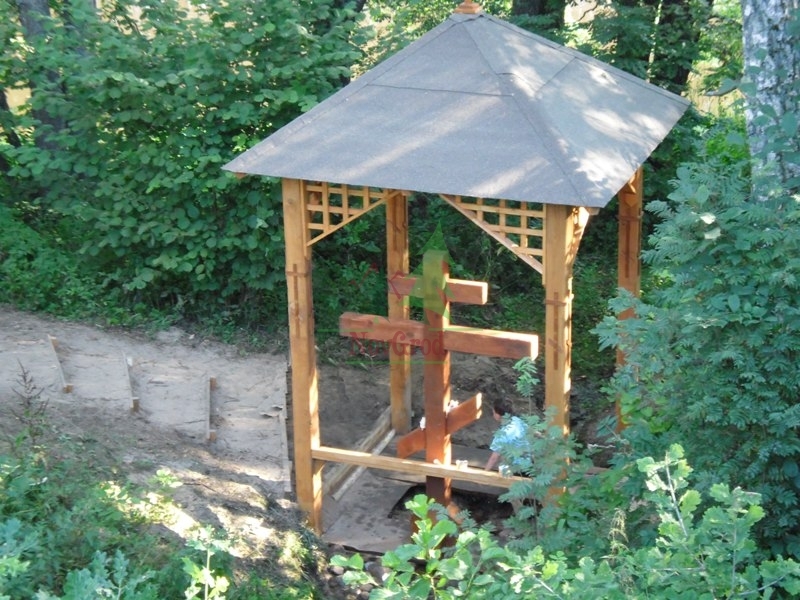 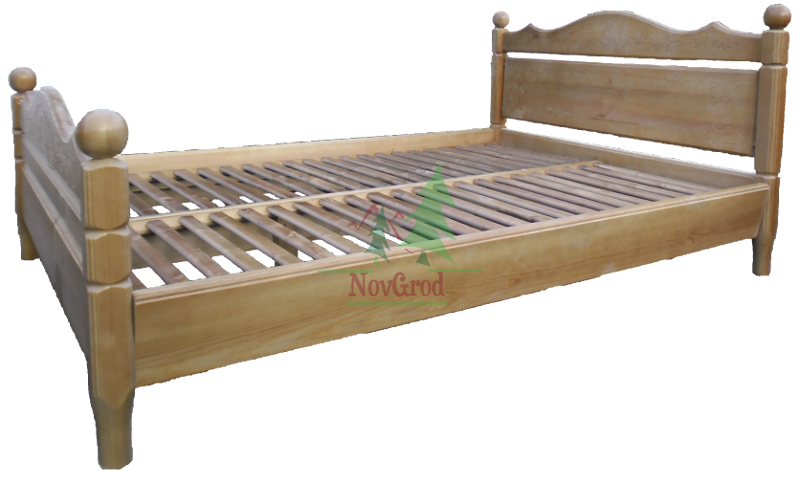 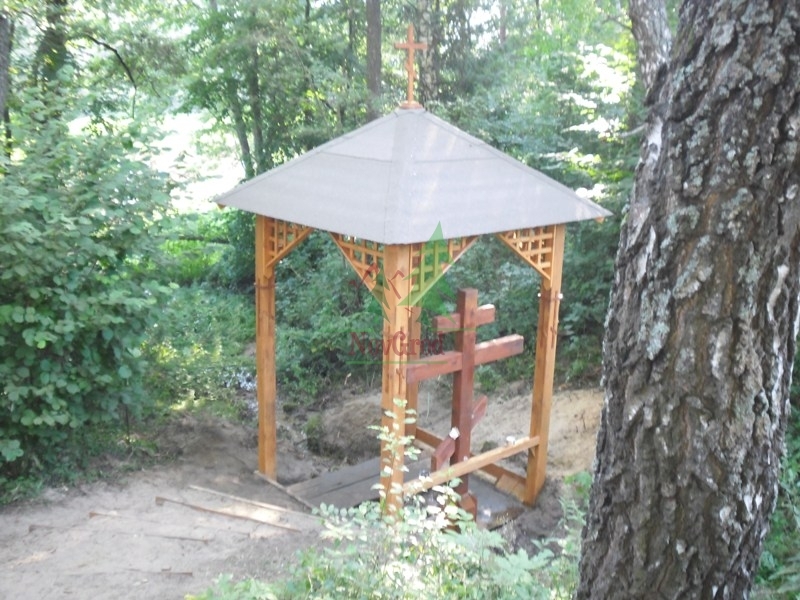 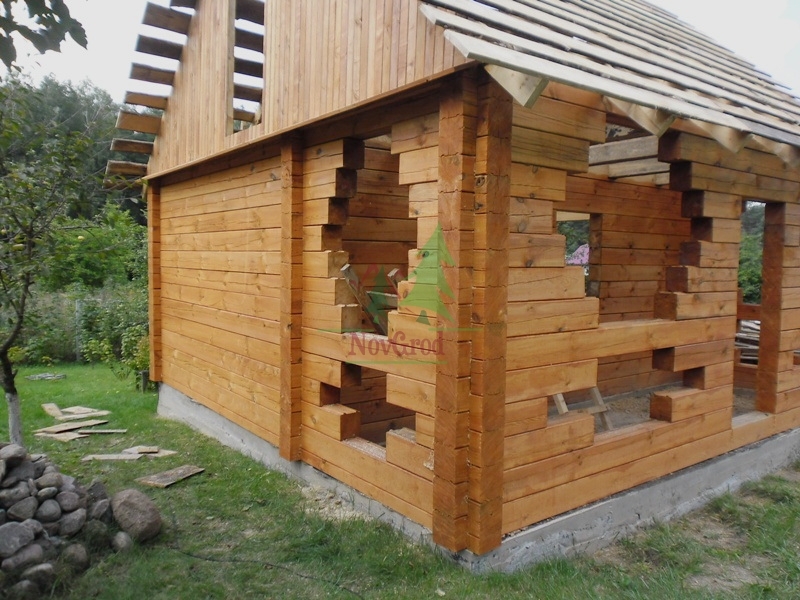 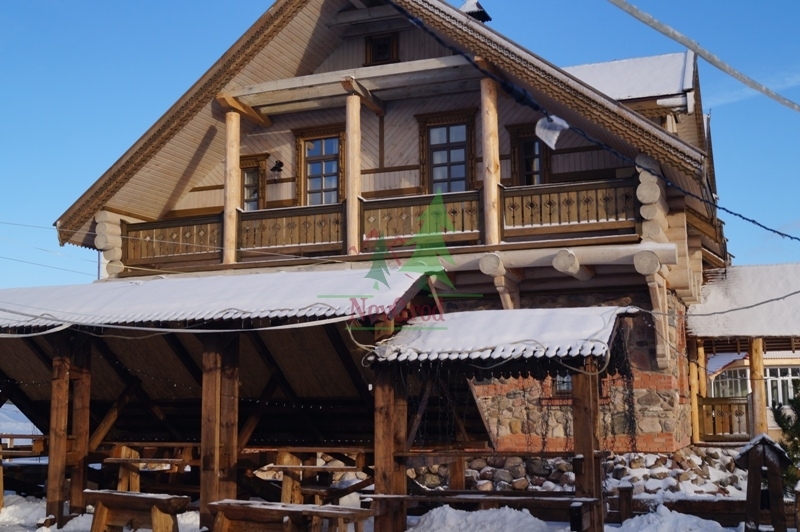 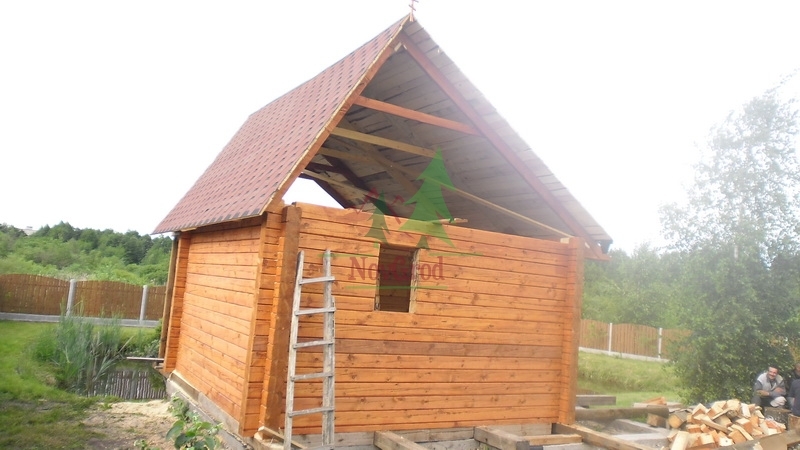 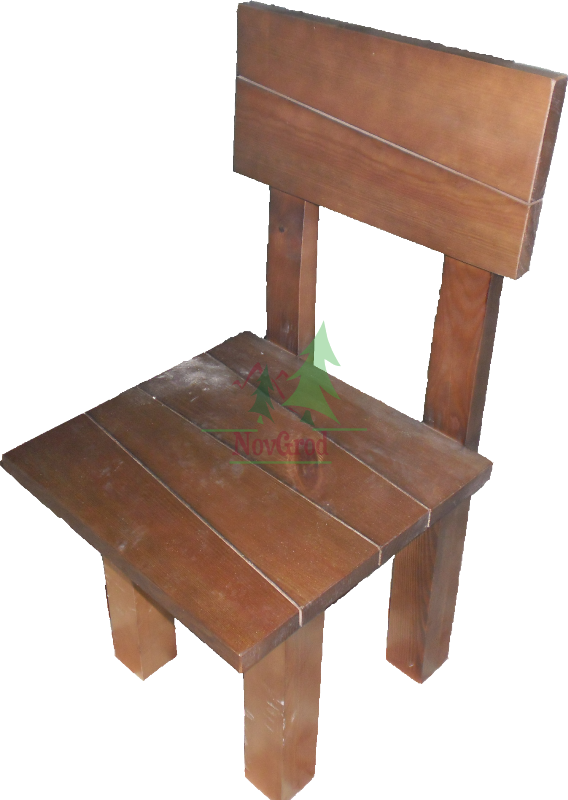 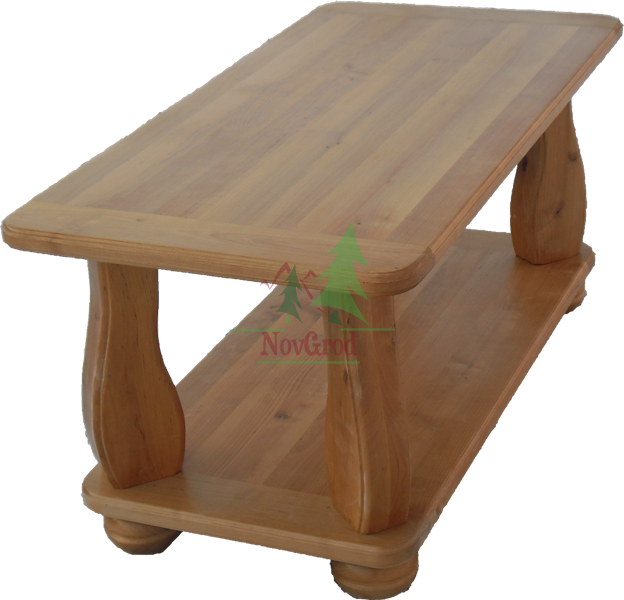 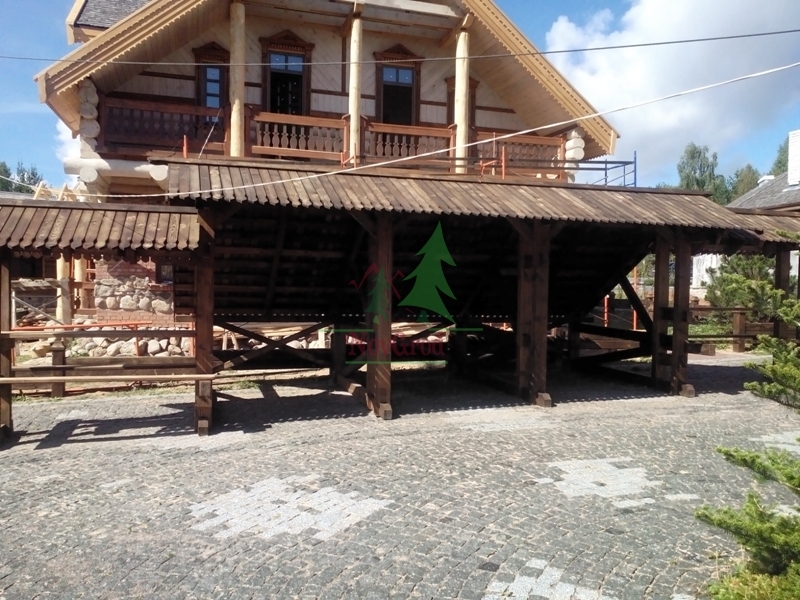 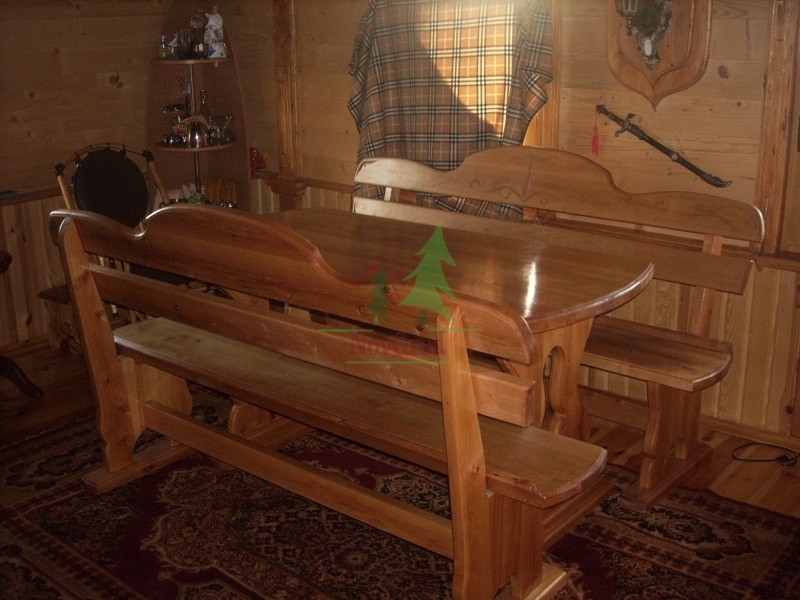 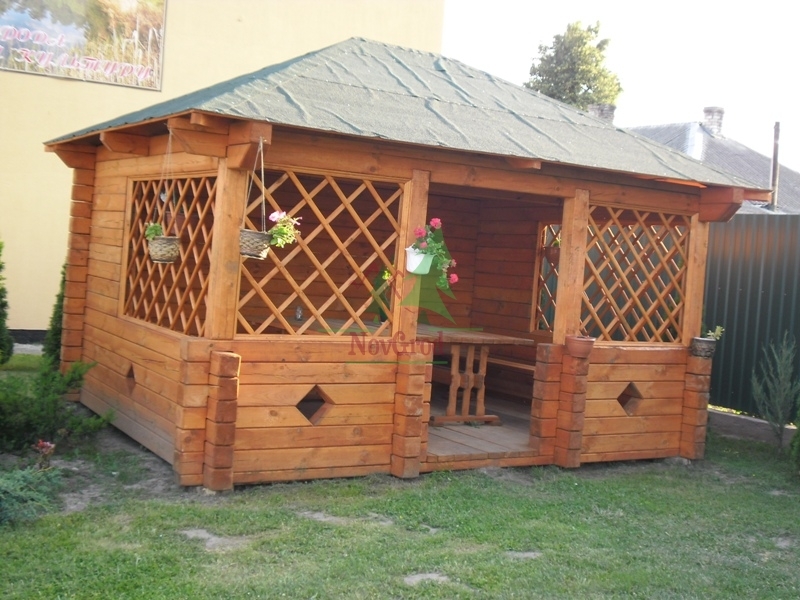 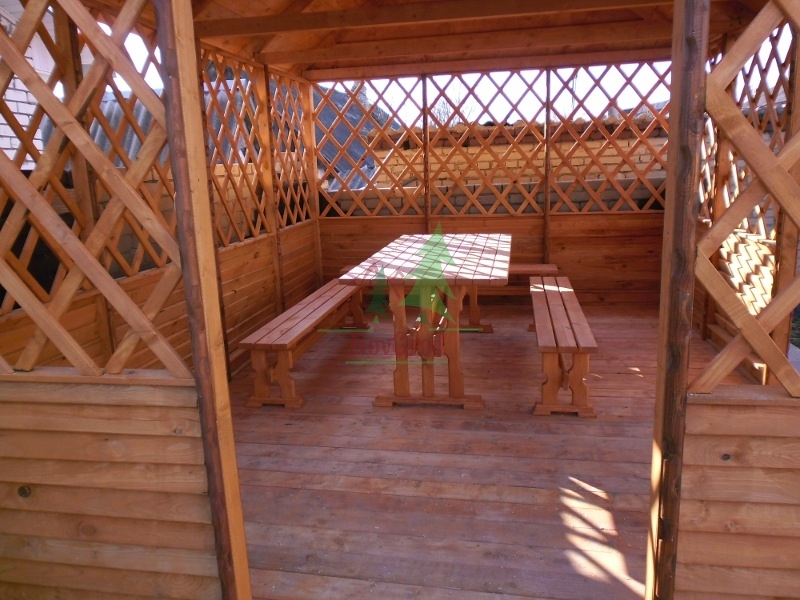 Buy gazebo of wood from the company NovGrod . 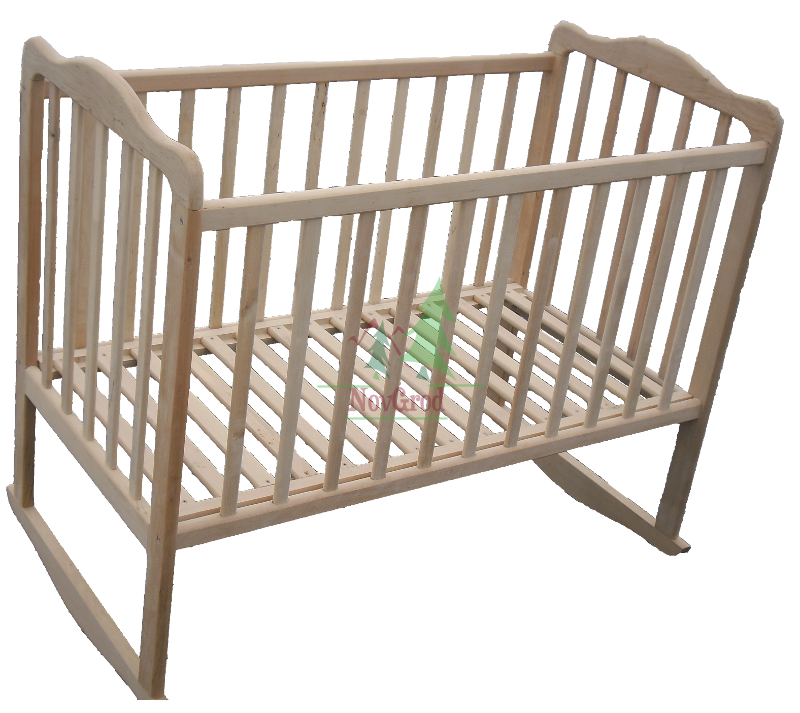 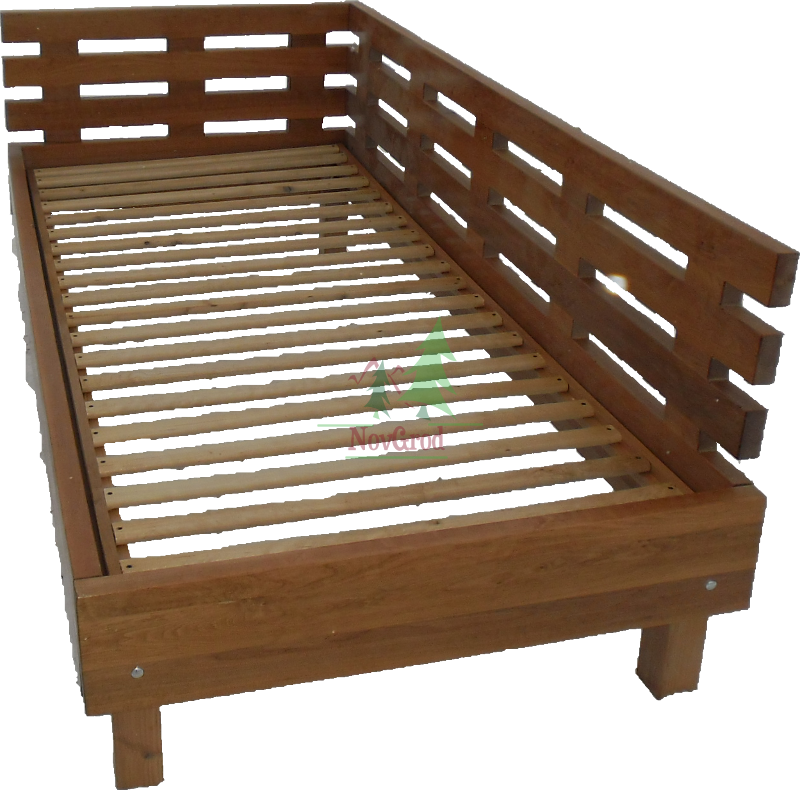 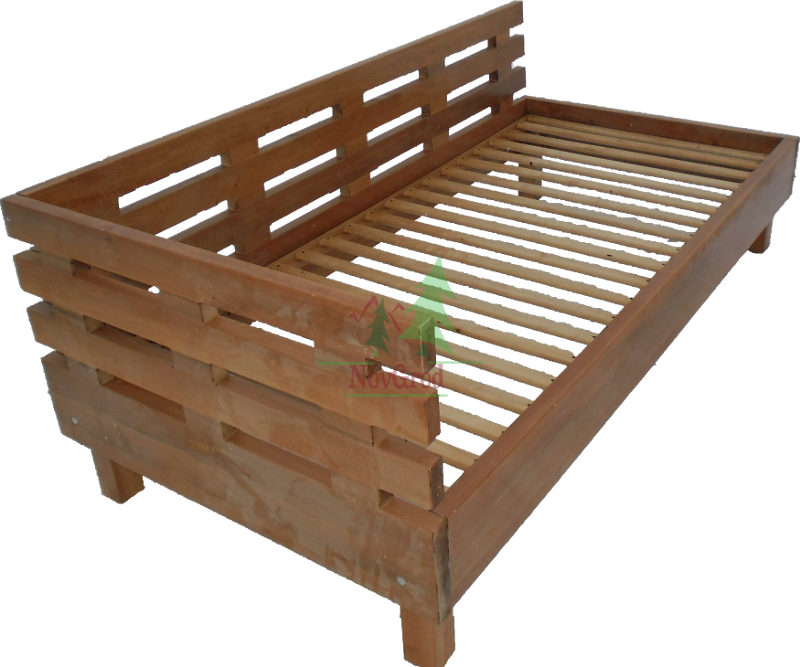 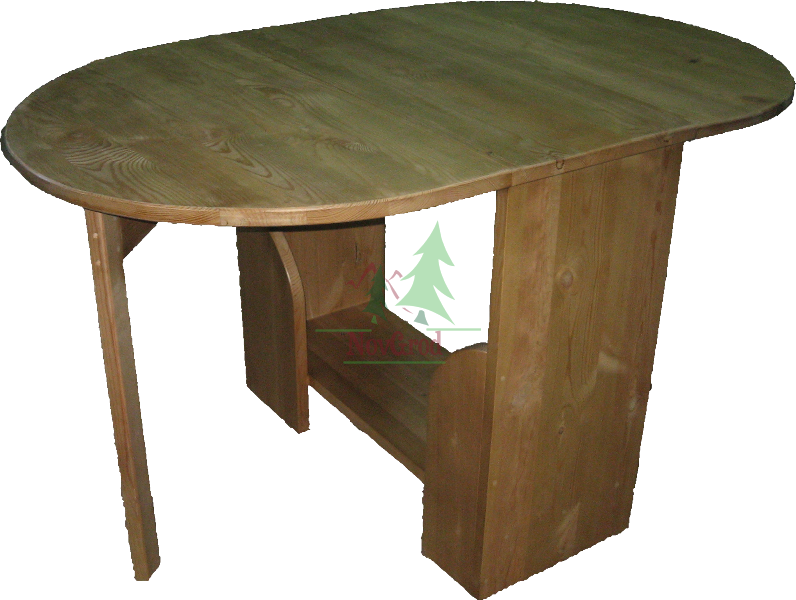 We use only high quality wood and is completely environmentally friendly materials. 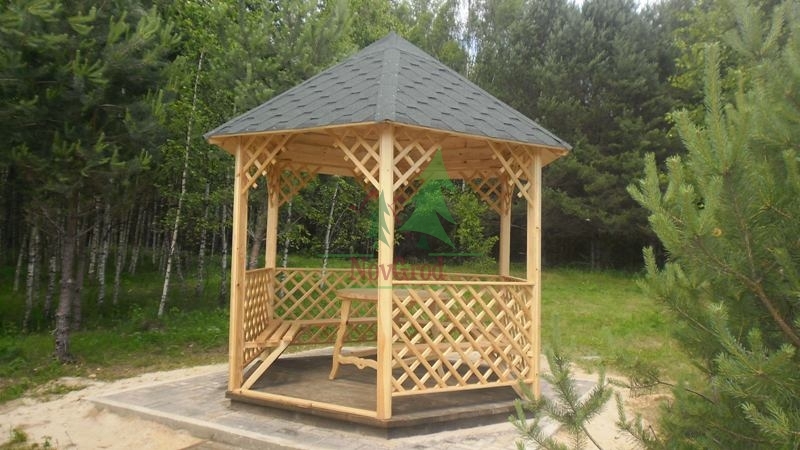 We present to you summer arbors , prefabricated kiosks , wooden gazebo , shield gazebo , timber arbors . 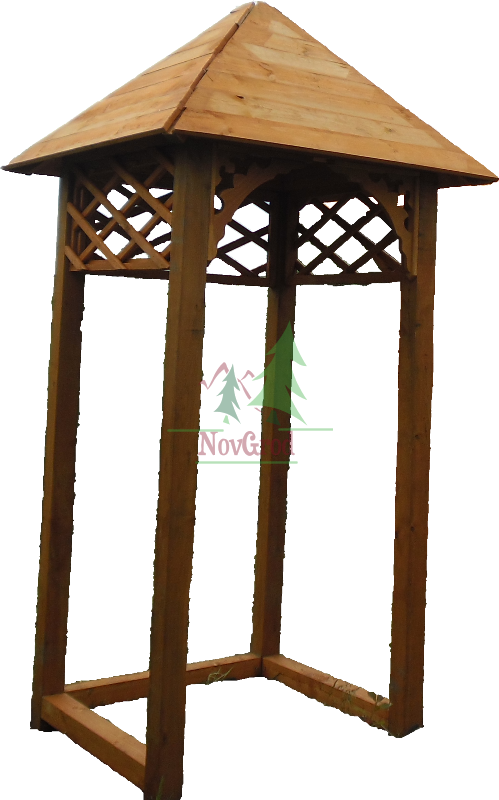 There are pergola customized . 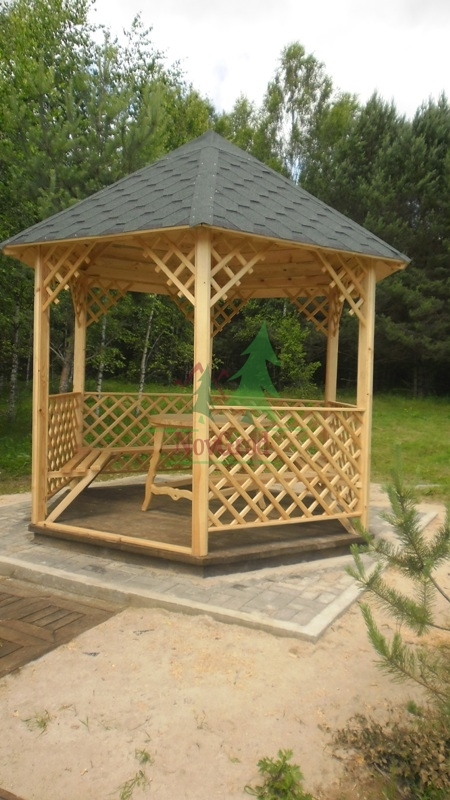 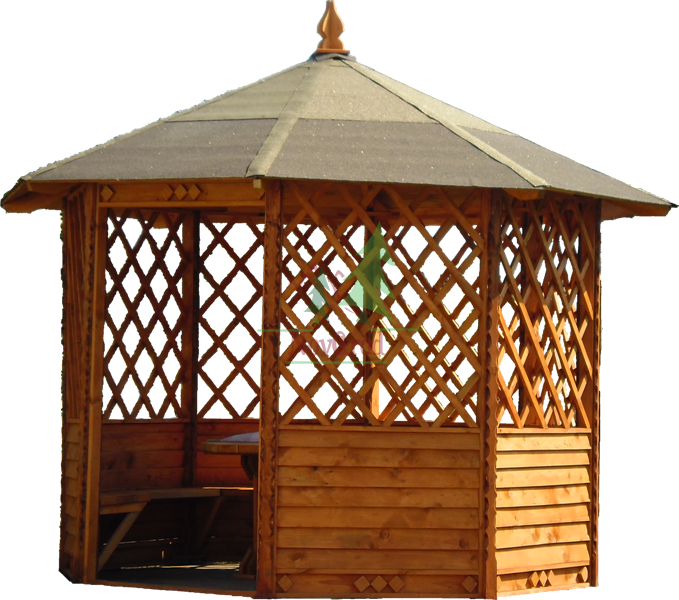 You can buy solid wood gazebo softwood, buy a gazebo in the UK and throughout Europe.